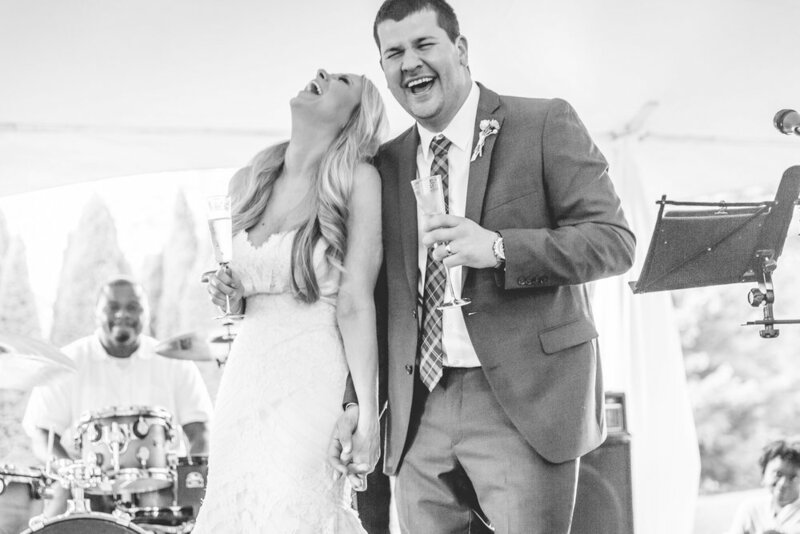 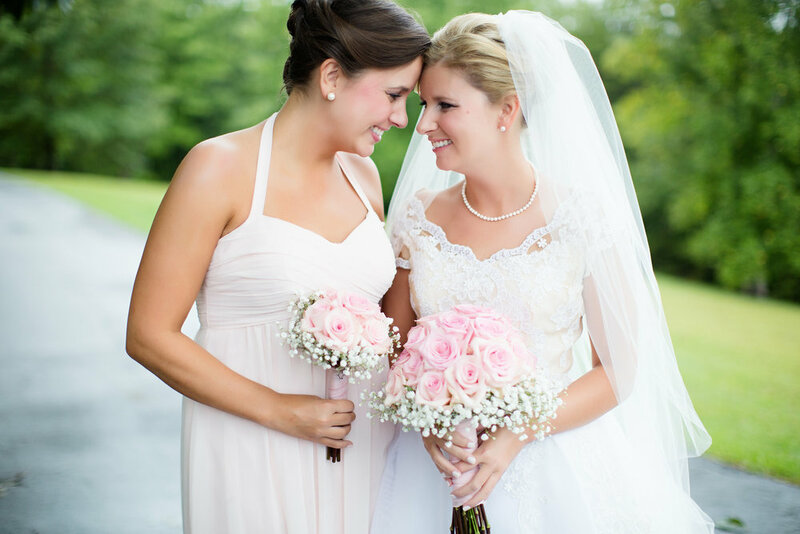 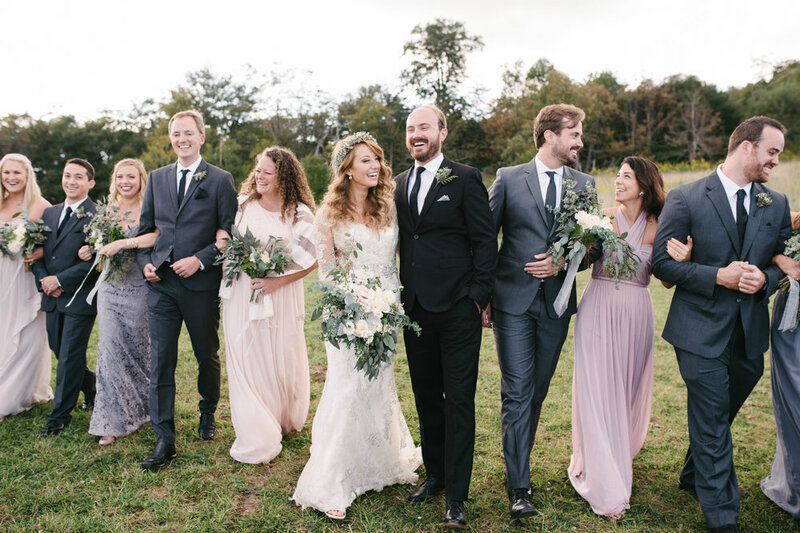 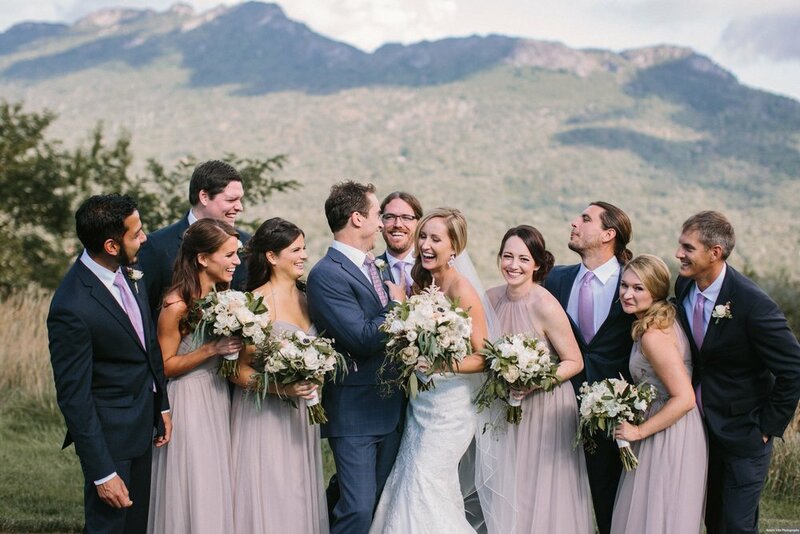 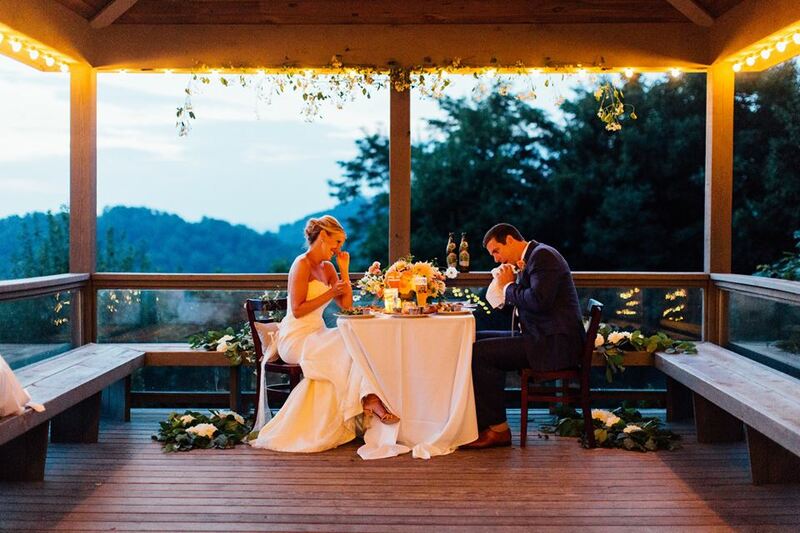 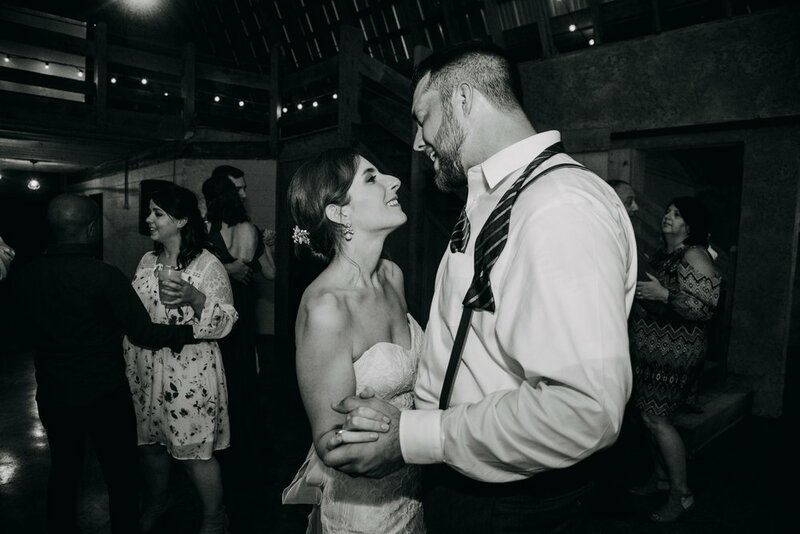 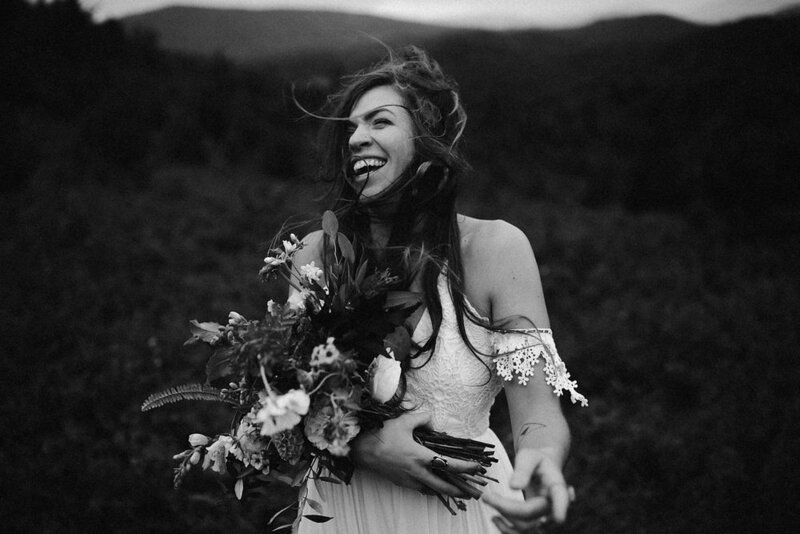 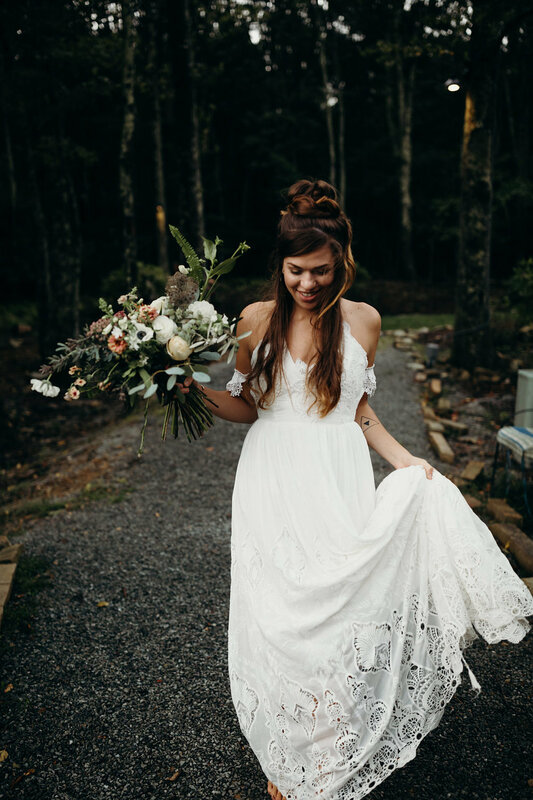 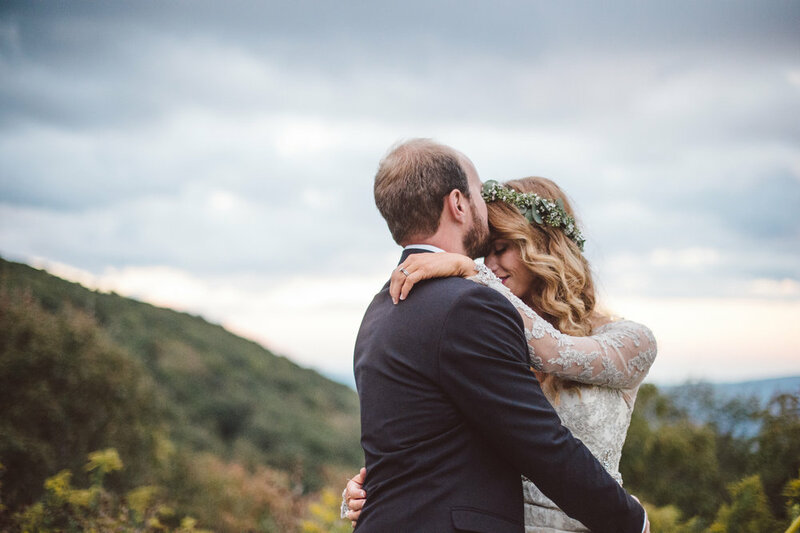 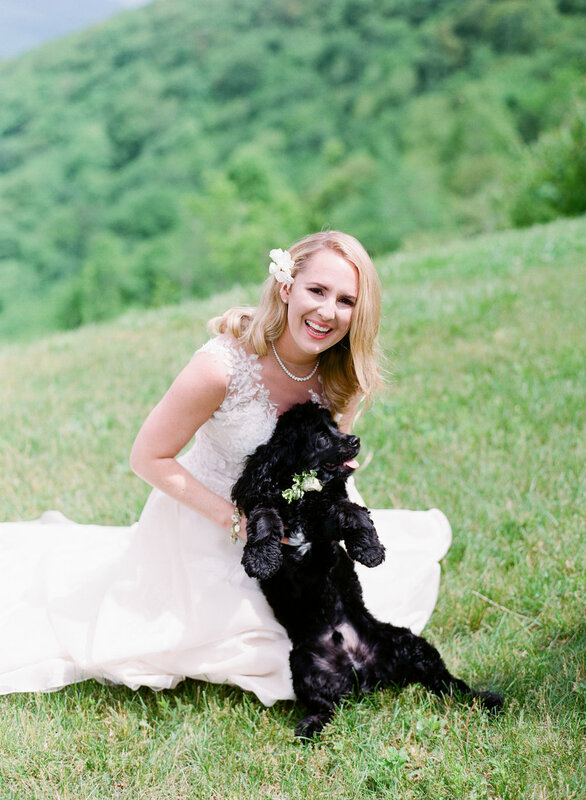 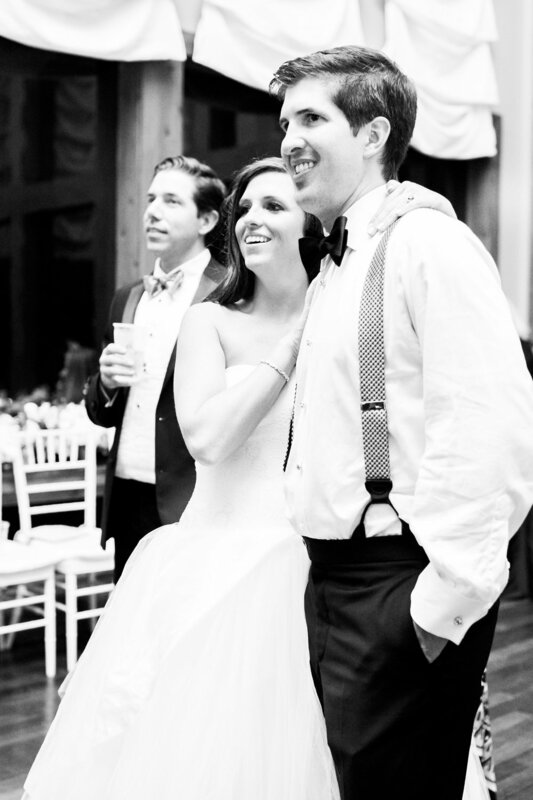 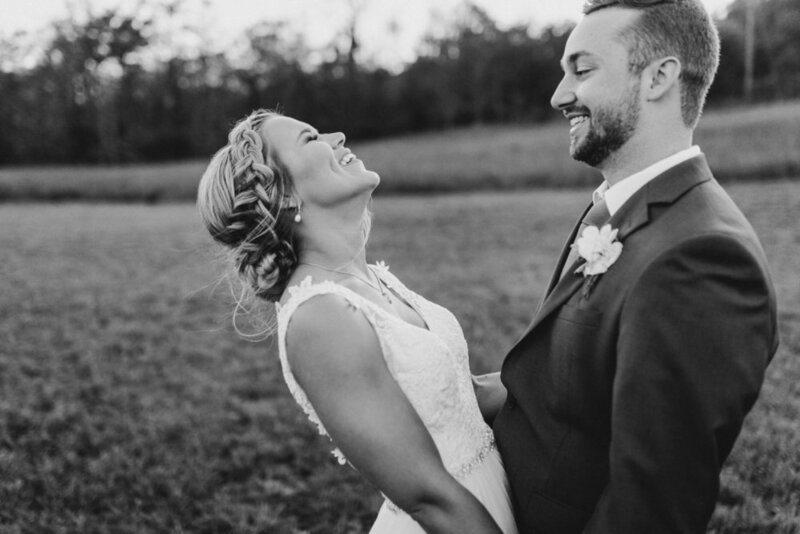 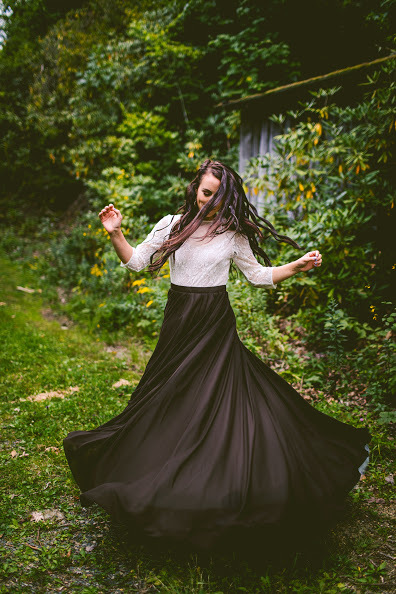 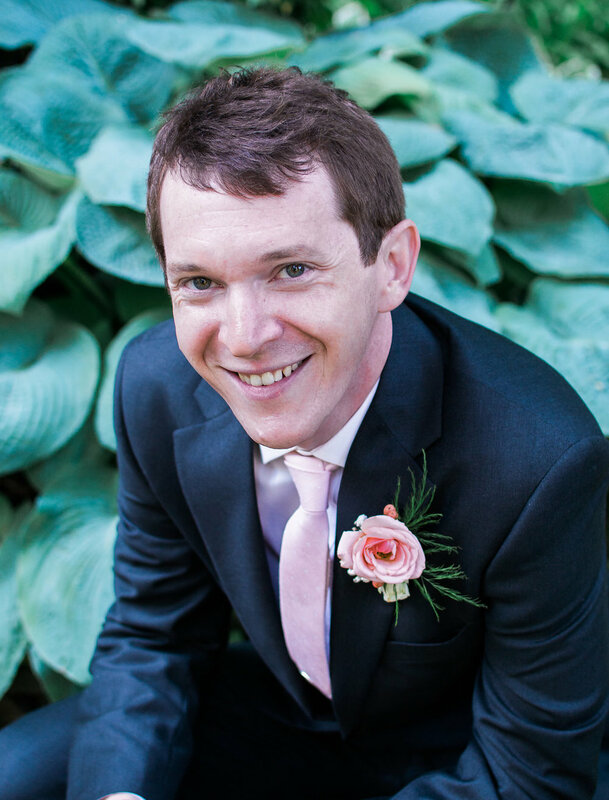 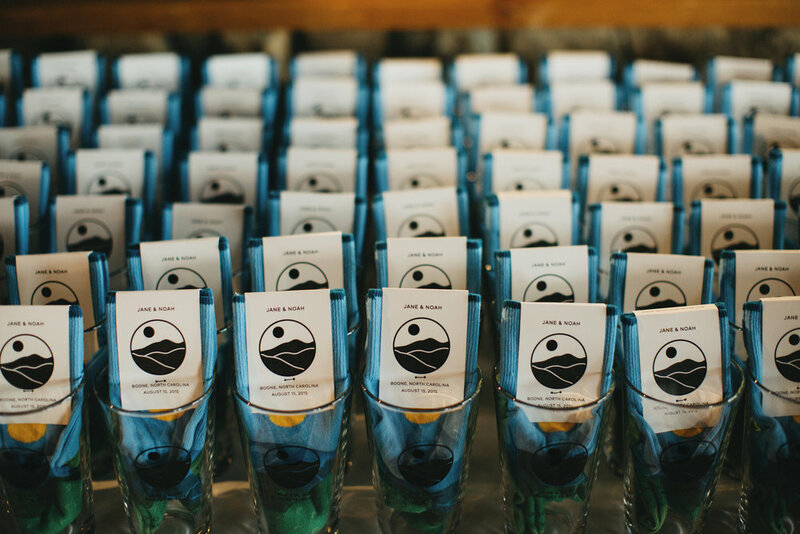 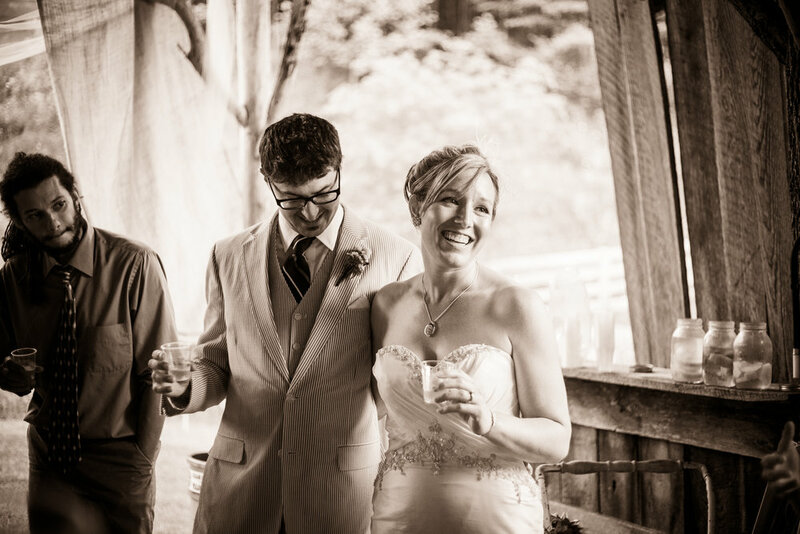 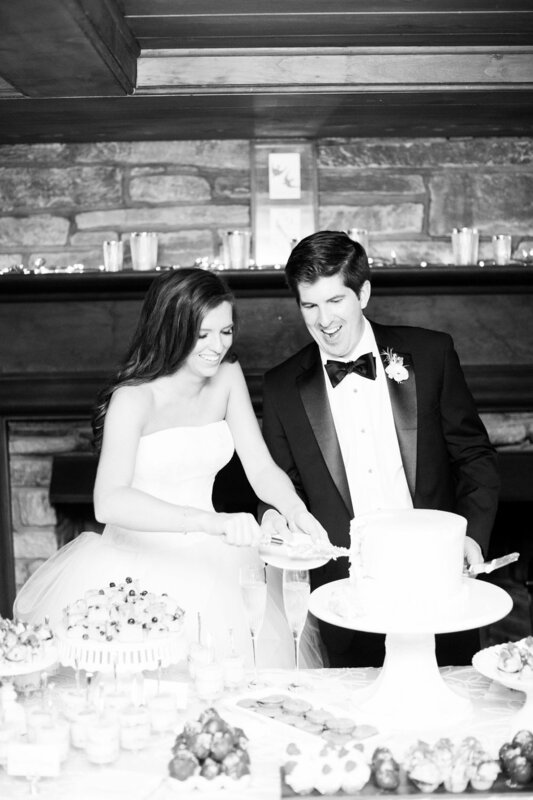 Happiness Simplified I North Carolina Event Planners specializing in NC mountain weddings. 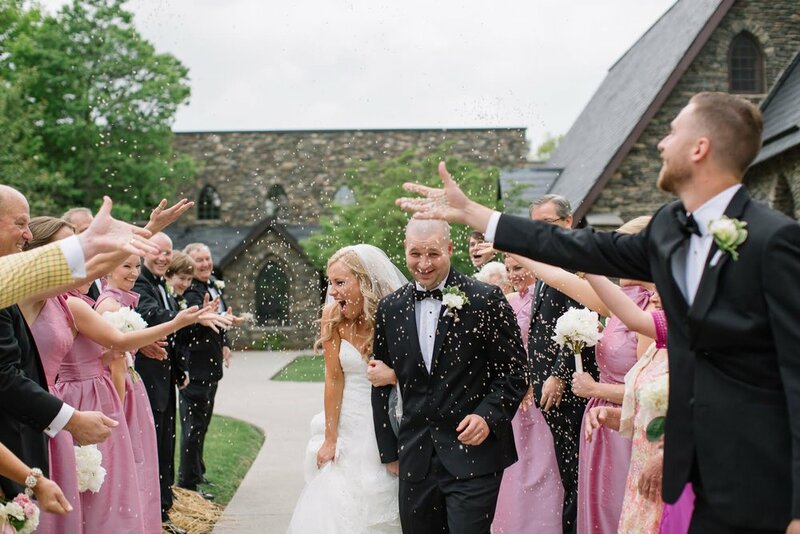 Wills and Chaney’s wedding was nothing short of spectacular. 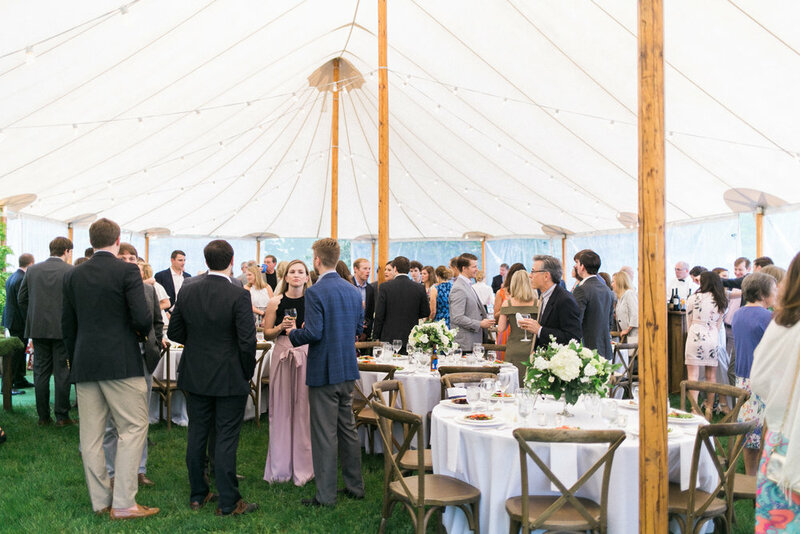 Guests enjoyed a 5 star Rehearsal Dinner under a beautiful Sperry Tent on the lawn of Westglow Resort and Spa in Blowing Rock NC with live music from Tellico, one of our favorite local bands. 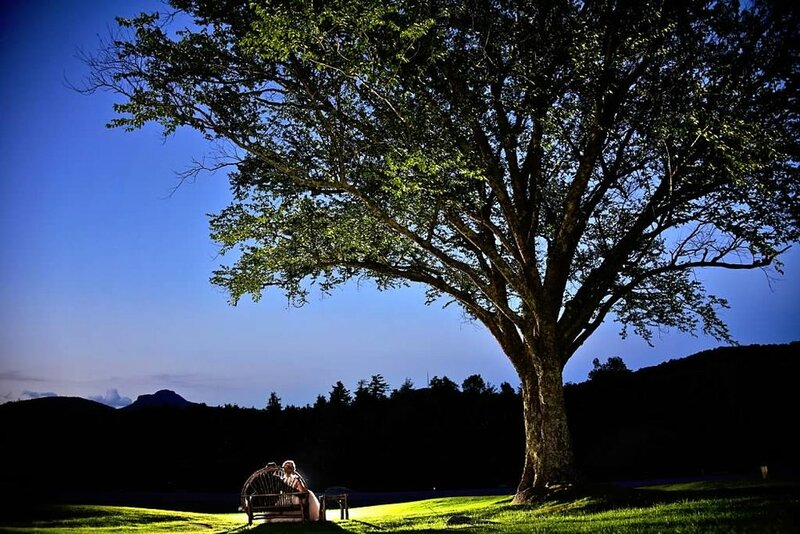 On the wedding day, the ceremony was also held on the lawn at Westglow and then guests were shuttled to the Blowing Rock Country Club where they danced the night away to the rocking tunes of Sleeping Booty. 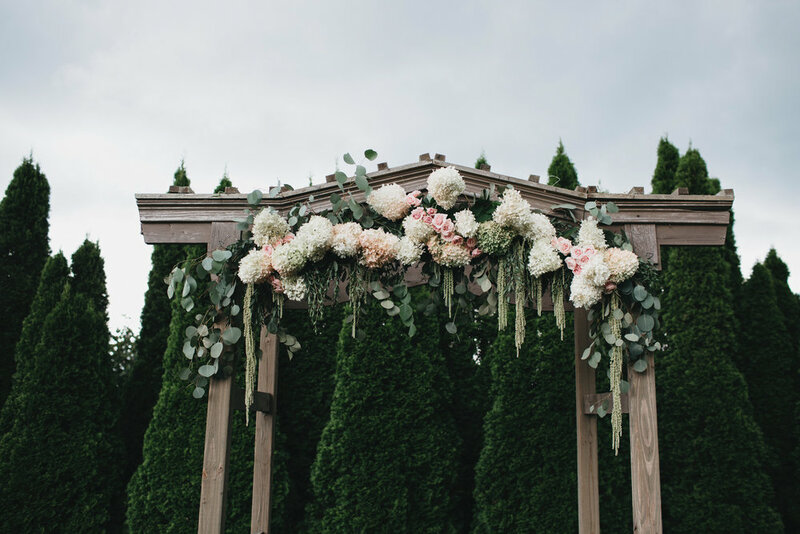 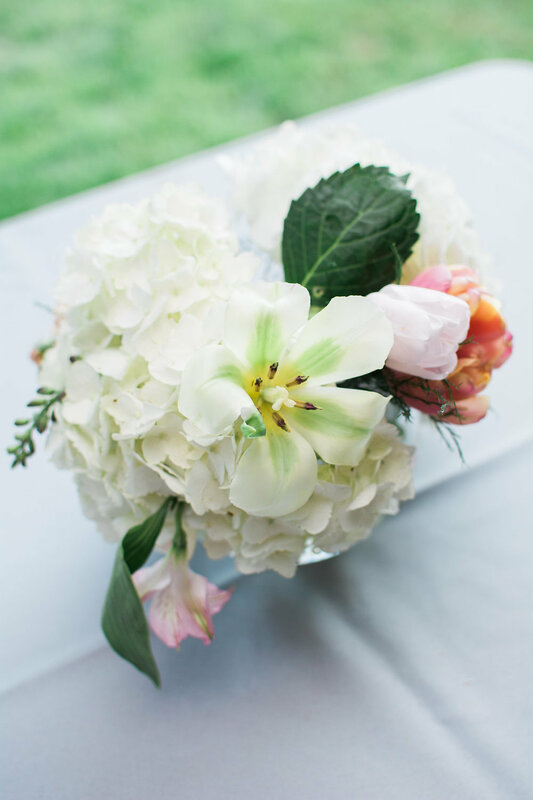 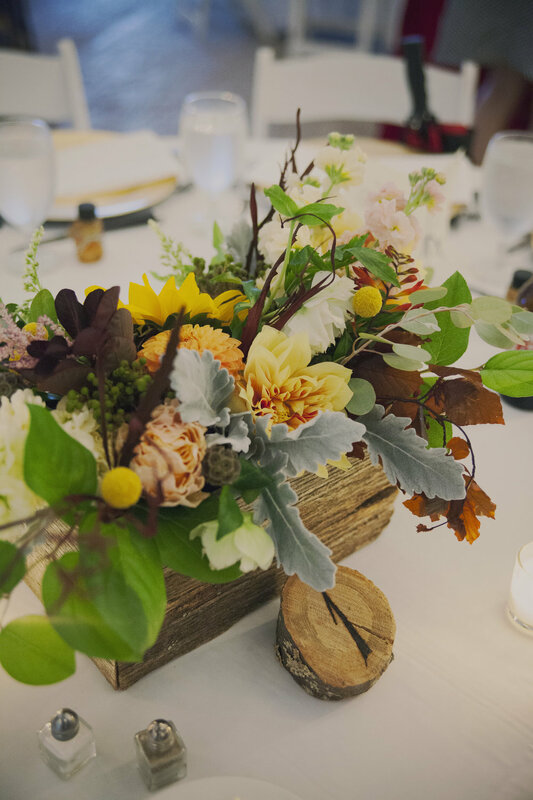 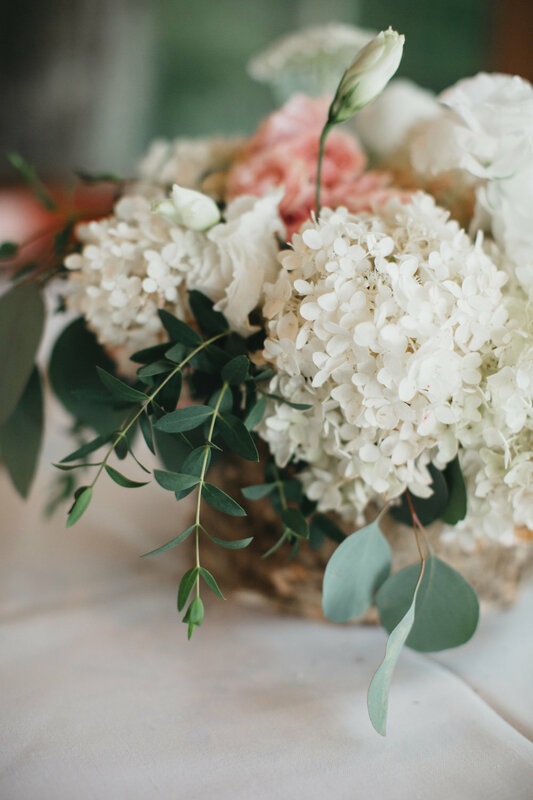 Florals by Millefleurs were out of this world and Almond Leaf Photography captured the day with grace and elegance. 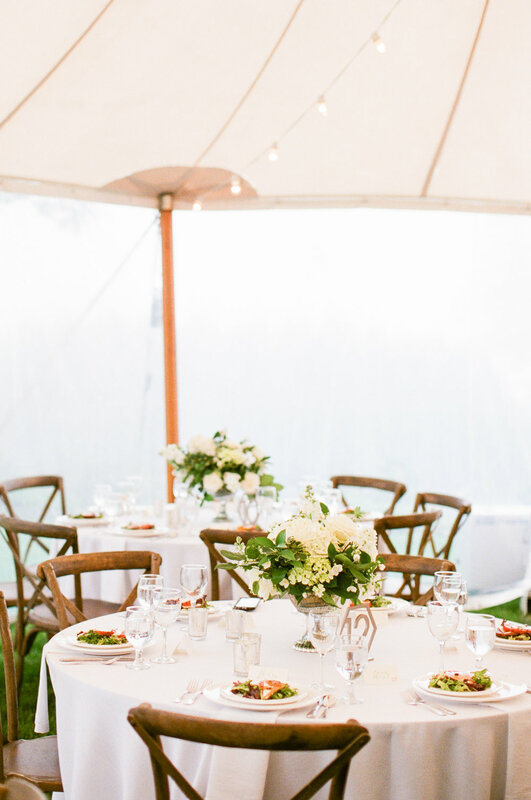 We were truly honored to be a part of this stellar team of vendors. 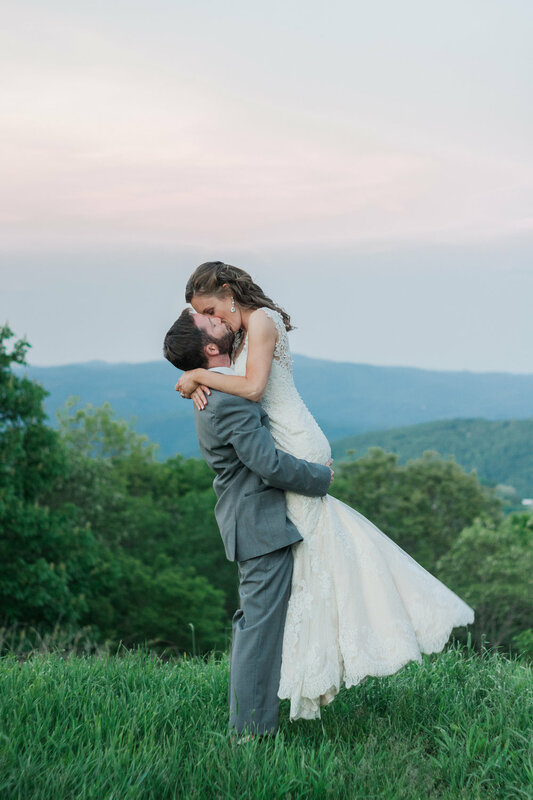 Planning and Coordination - The Whole Shebang, Rehearsal Dinner and Ceremony Venue - Westglow Resort and Spa, Reception Venue - Blowing Rock Country Club, Photography - Almond Leaf Studios, Rehearsal Dinner Band - Tellico, Ceremony Musicians - Bella Musica, Reception Music - Sleeping Booty/East Coast Entertainment, Rentals, Sperry Tents, Chair and Equipment Rentals, Transportation - Air Haven Limo, Hair and Makeup - Sharla Bance Makeup Artistry/Haircut 101, Flowers - Millefleurs, Cake - Blowing Rock Country Club, Ceremony Sound - Haynes Event Productions, Decorative Trees - The Mustard Seed Market, Grooms Cake - Ugga Mugga Bakery, Photobooth - Tin Can Event Co.
Emily and Jake's wedding was simply stunning. 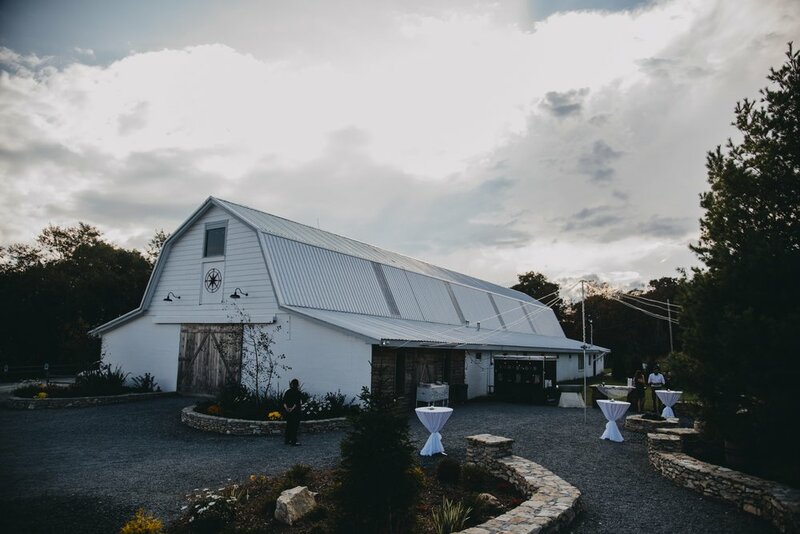 As you can probably tell, we do a ton of weddings up at The Overlook Barn and I'm always amazed at how different each wedding is. 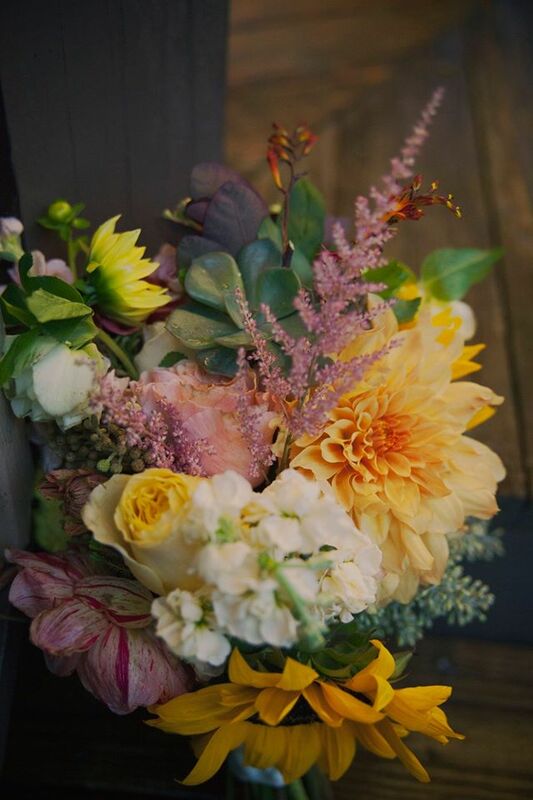 The florals from Edenhouse were absolutely out of this world and the desert spread from Ugga Mugga Bakery...to die for! 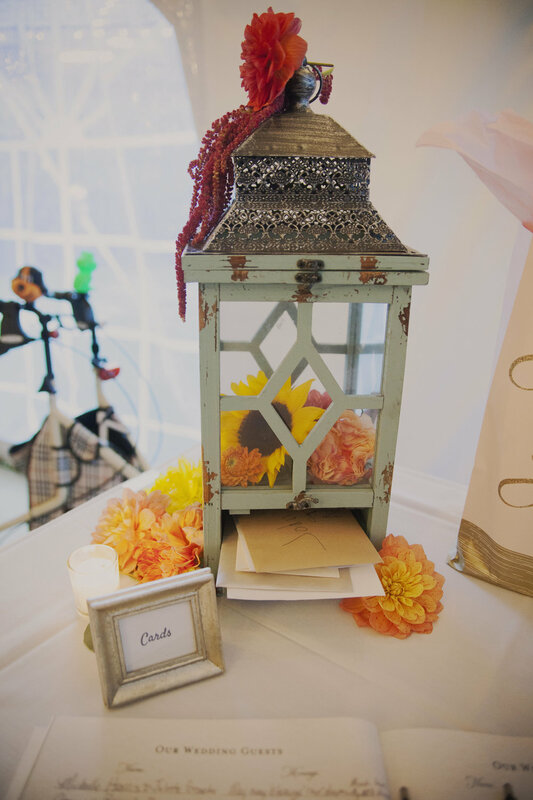 Oh and lets not forget all of the great fun details from A Bushel and a Peck and Miss Match Rentals. 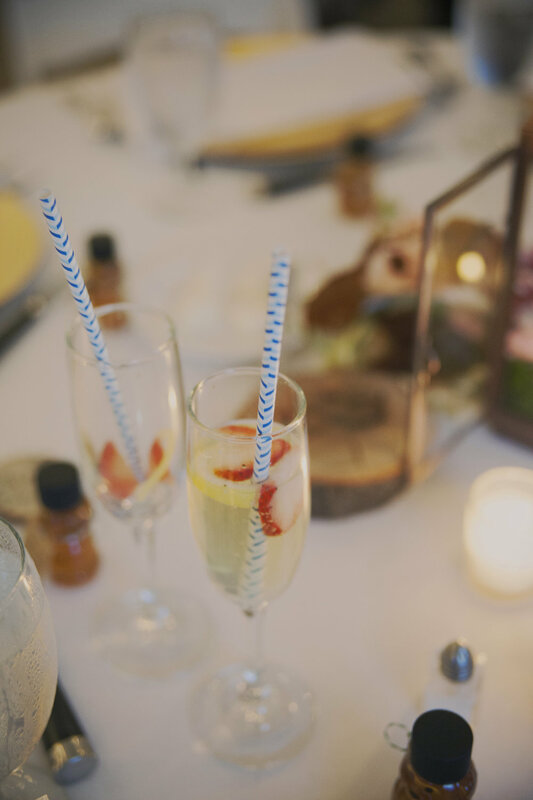 We had so much fun getting creative mapping out the miss matched goblets and place settings. 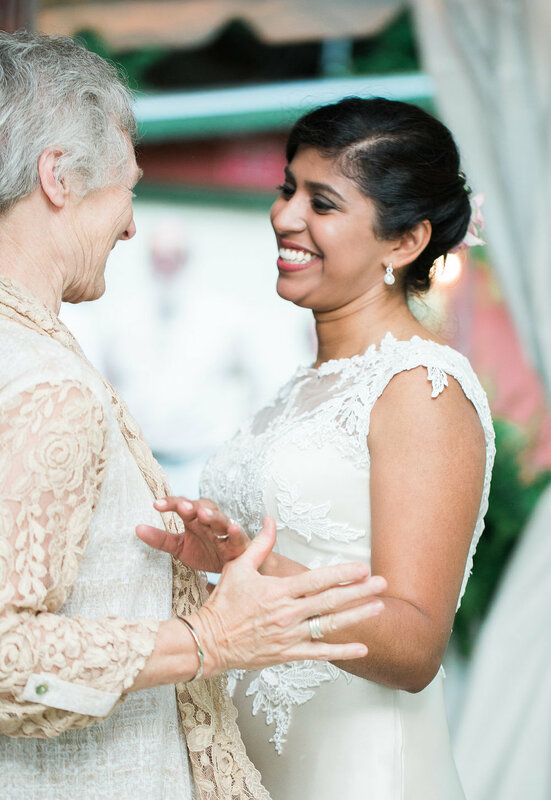 And shout out to Mother of the Bride Sharon for the sweetest Mom of the year award!!!! 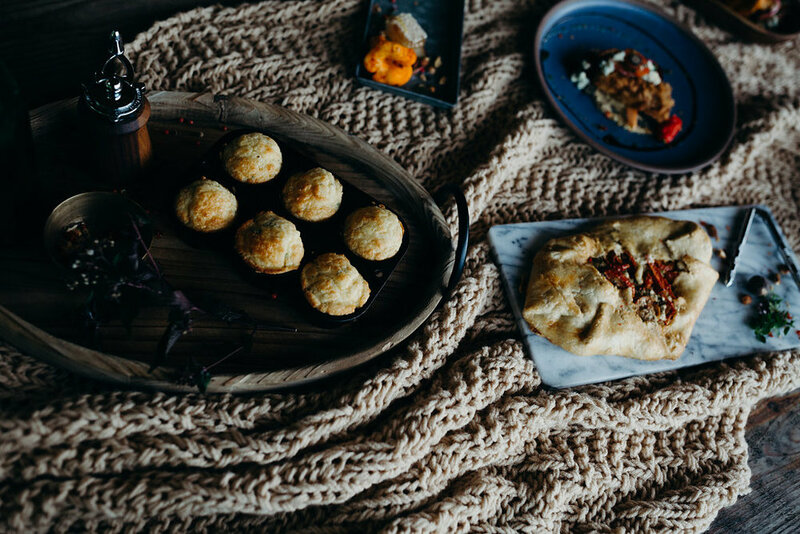 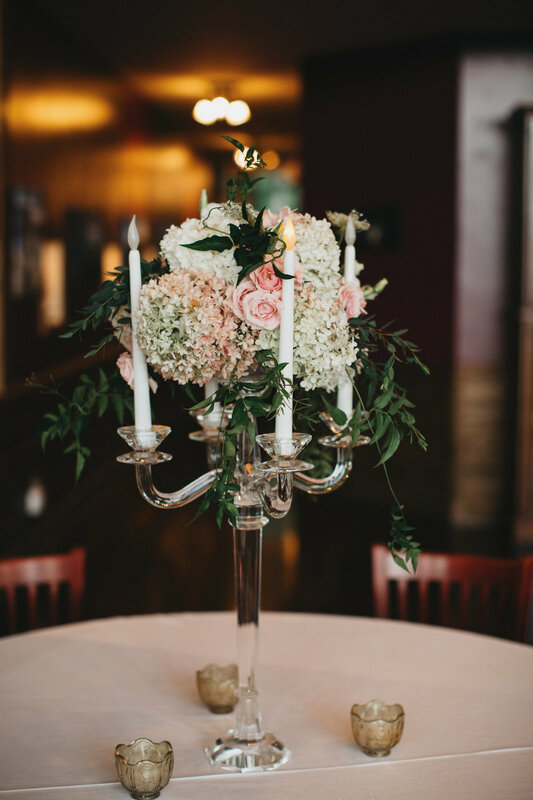 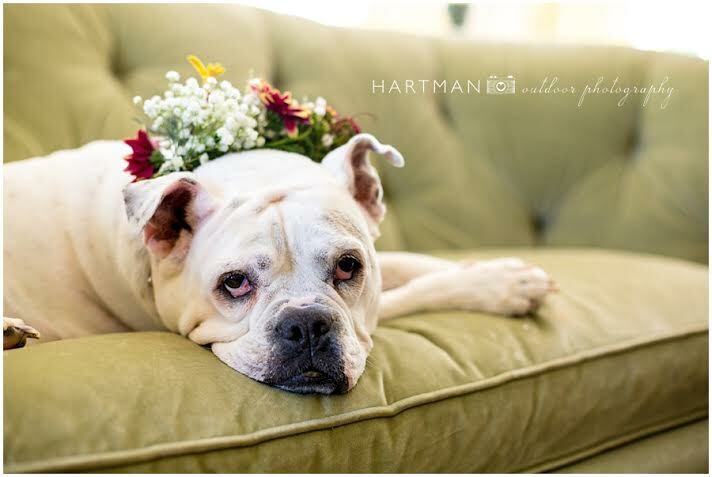 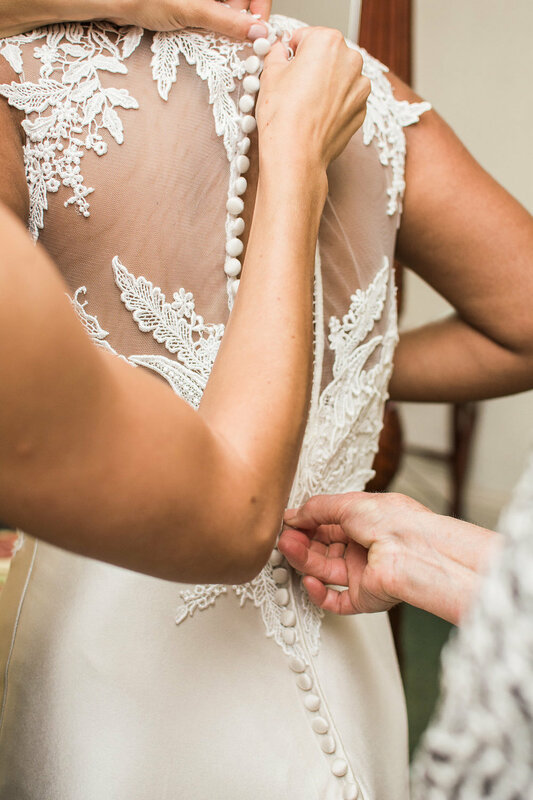 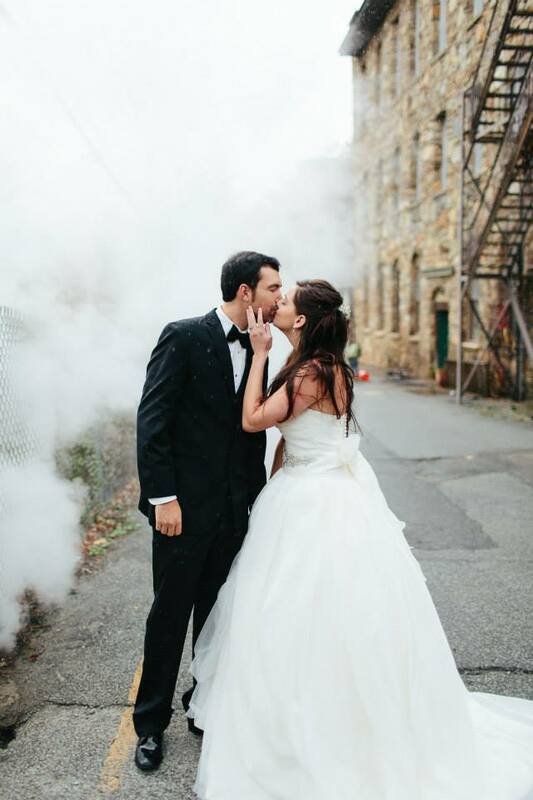 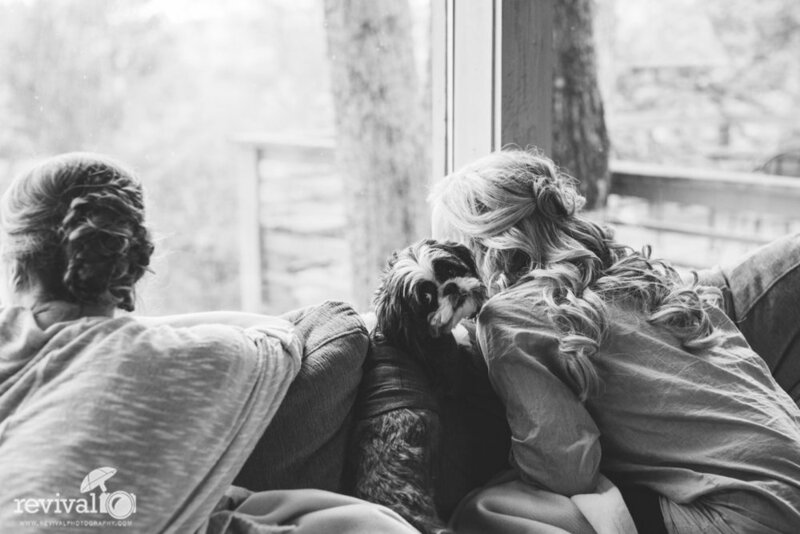 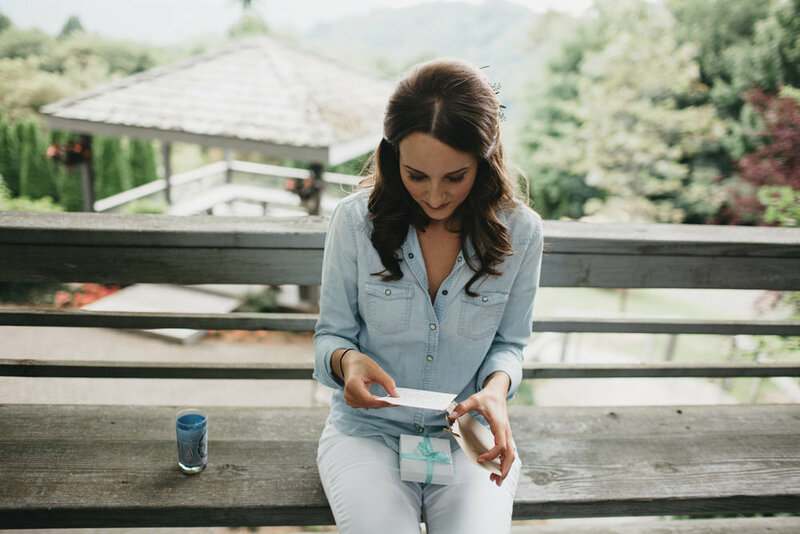 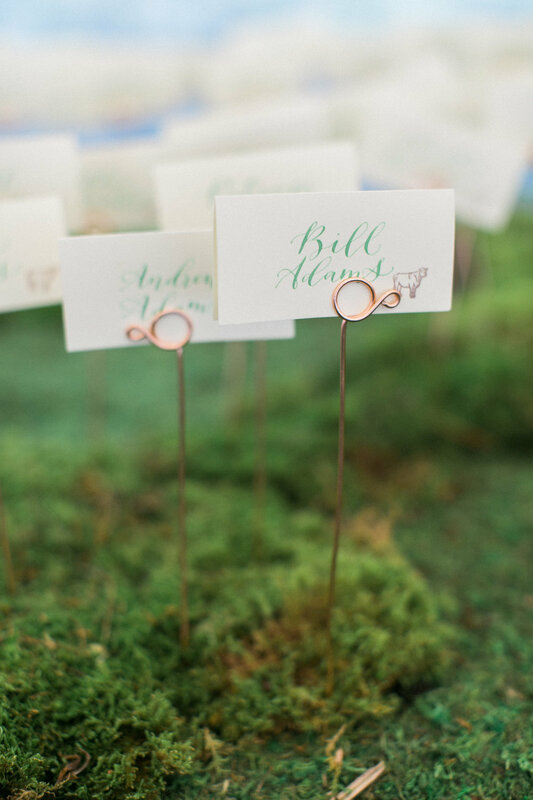 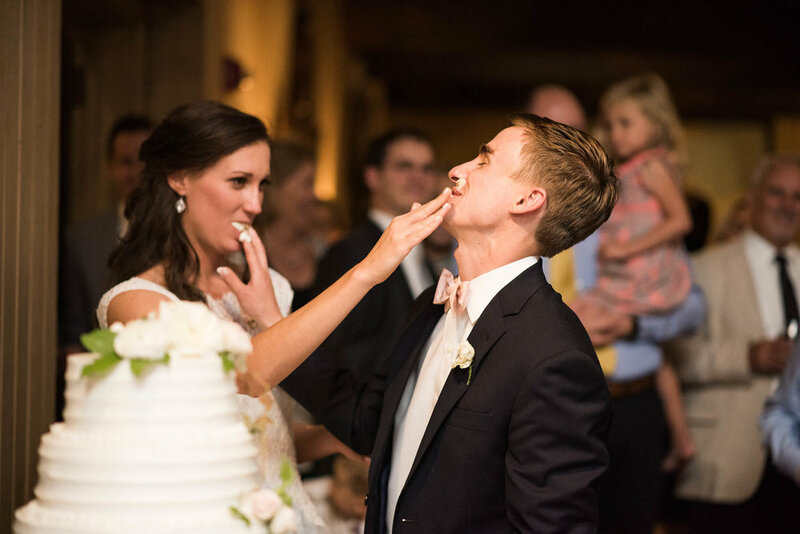 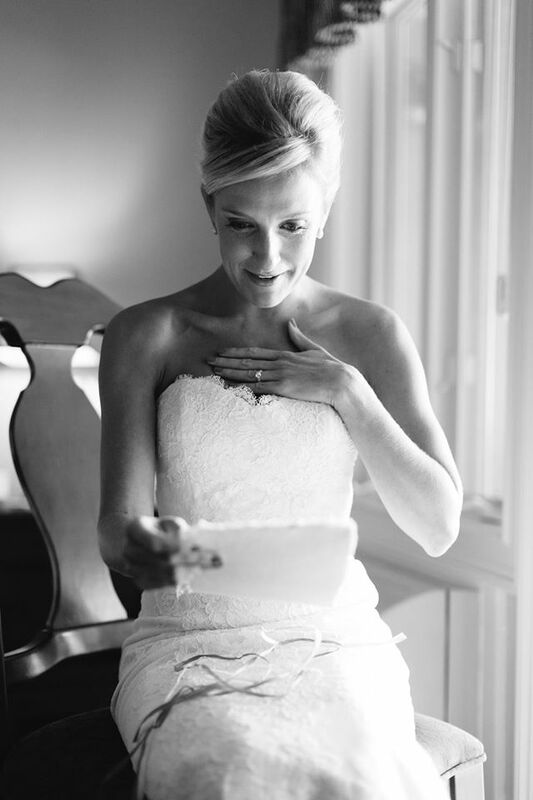 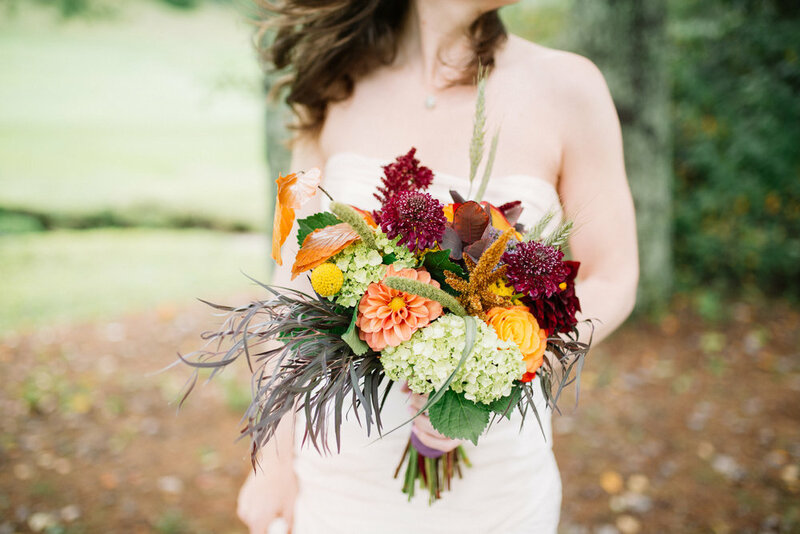 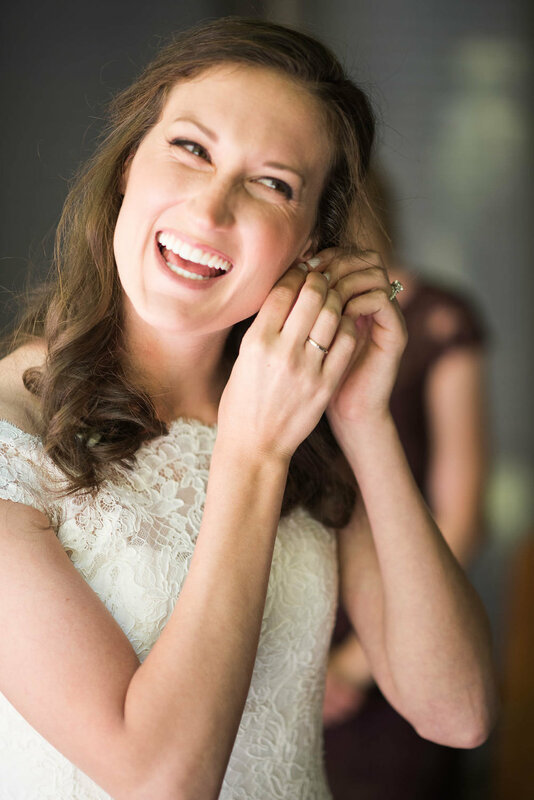 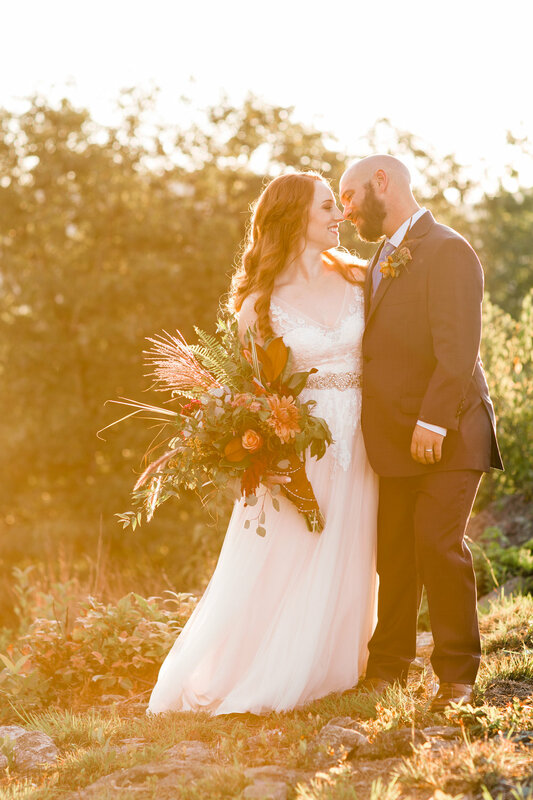 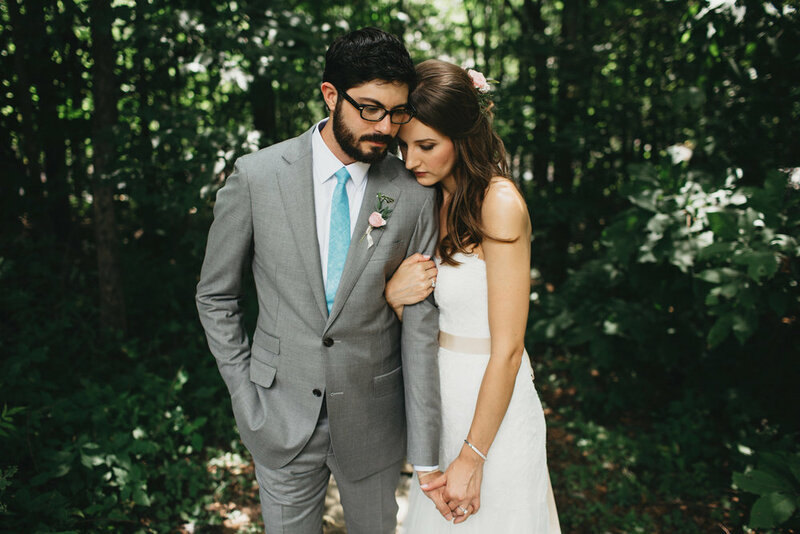 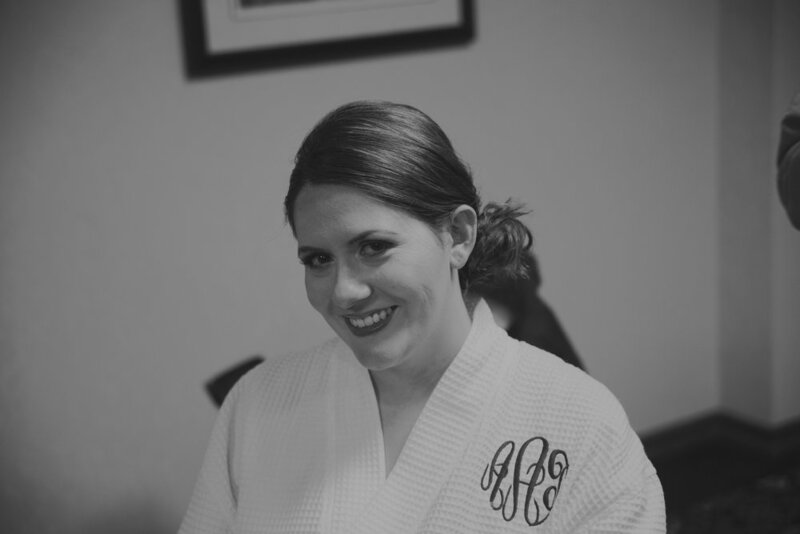 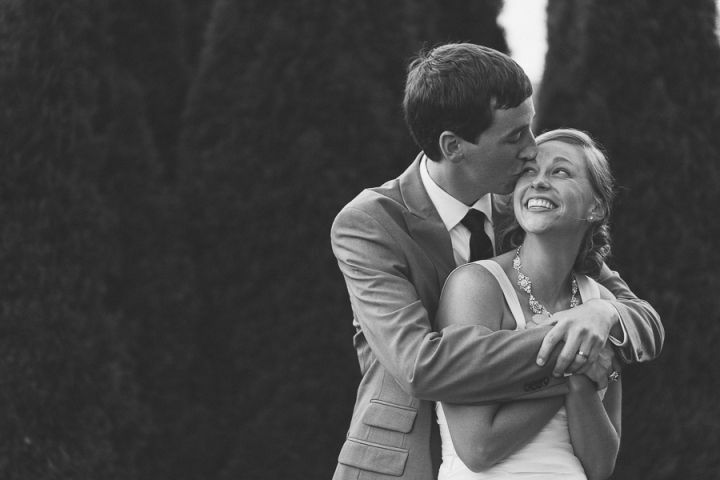 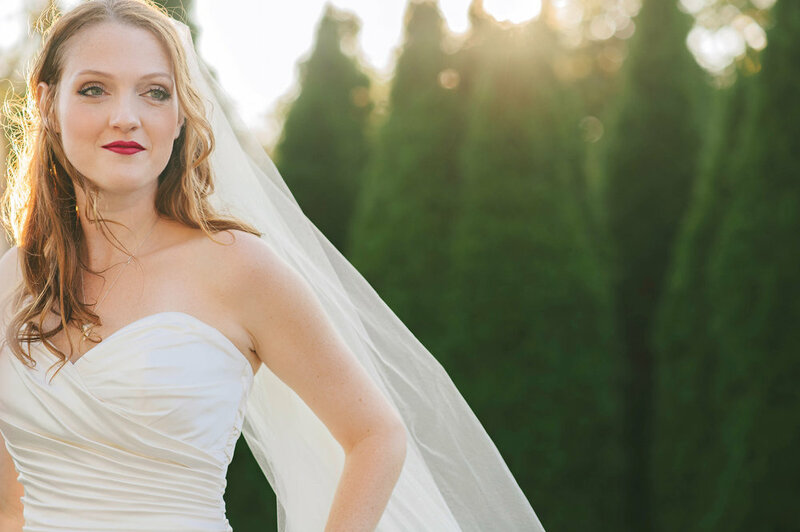 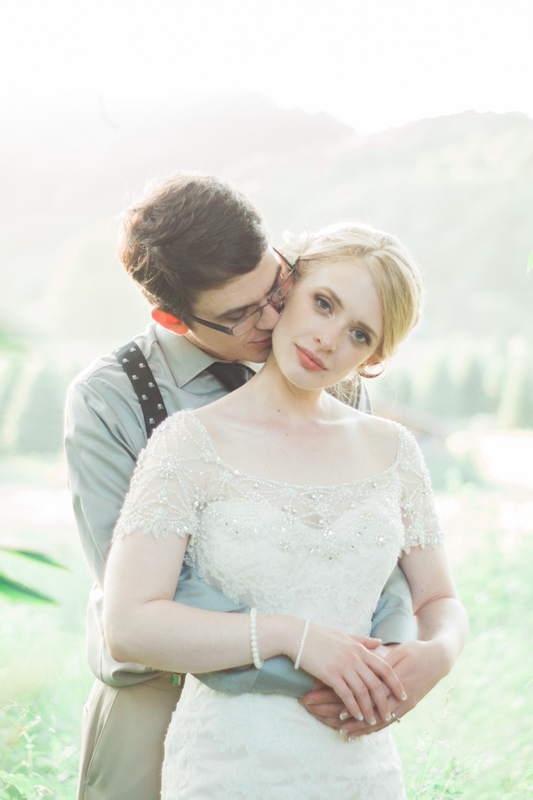 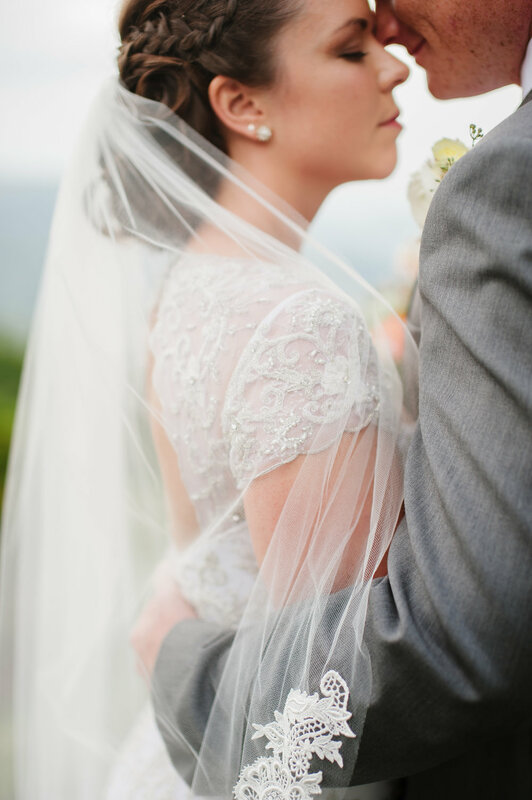 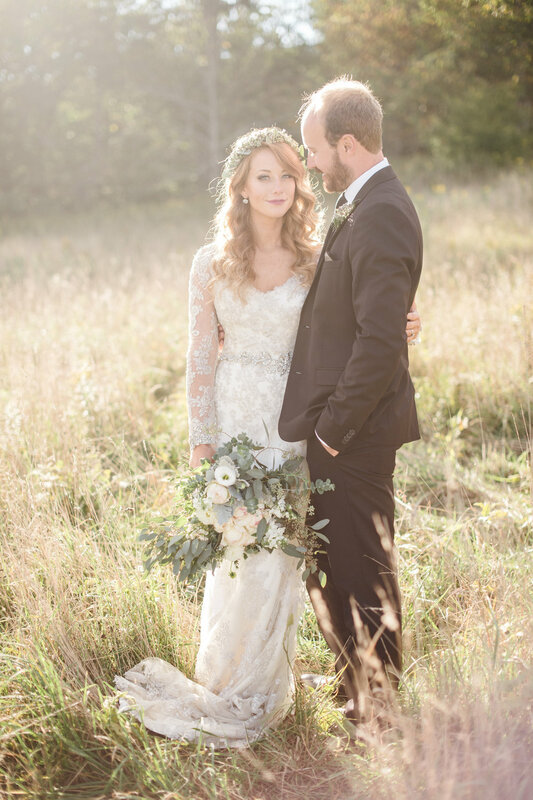 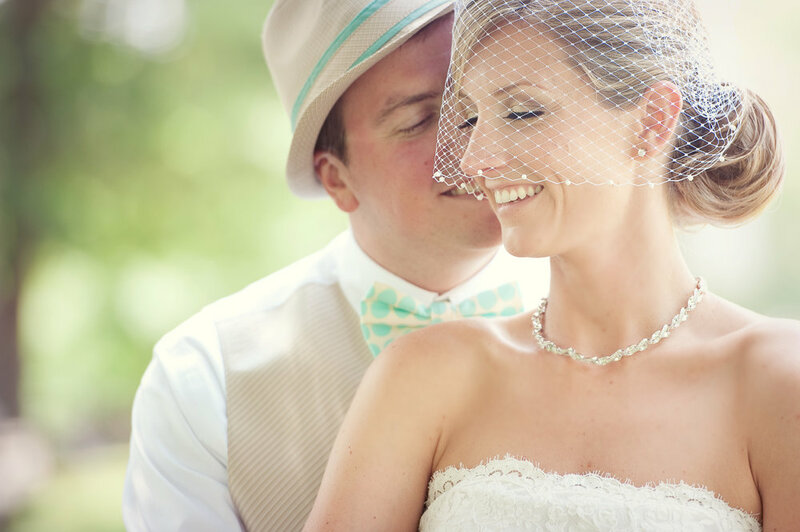 We seriously have the best clients : ) Check out the gallery below from Bekah Morton Photography! 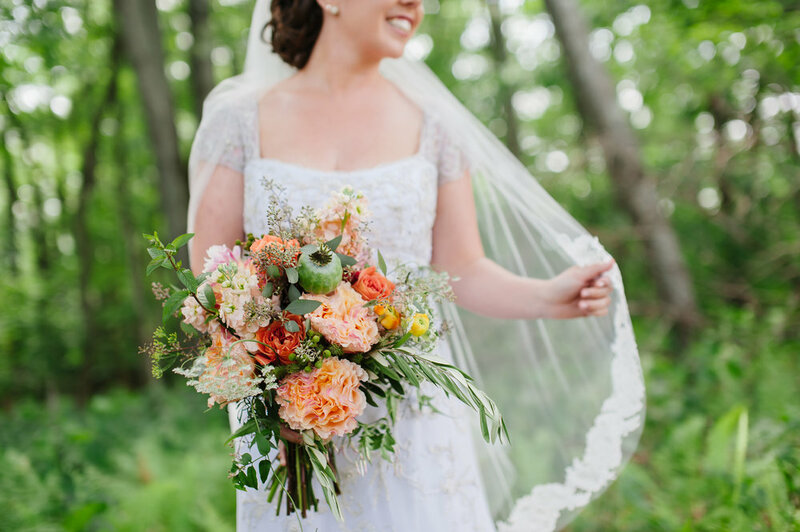 So so so so excited to share this styled shoot that was a true labor of love pieced together by an amazing group of local vendors. 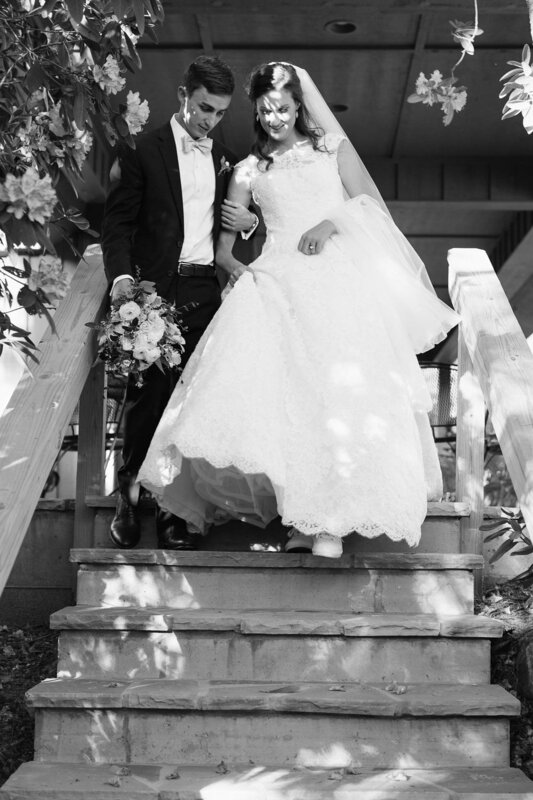 We planned and dreamed for over 6 months and when the big day finally came, the weather less than ideal but such is life right? 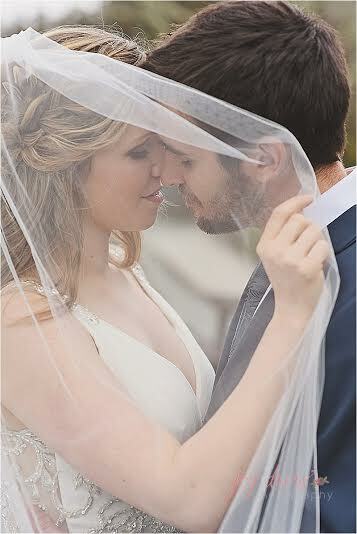 In true wedding day fashion, everyone pulled together and made the best of things and we got all of the shots that we could in between raindrops and gale force winds. 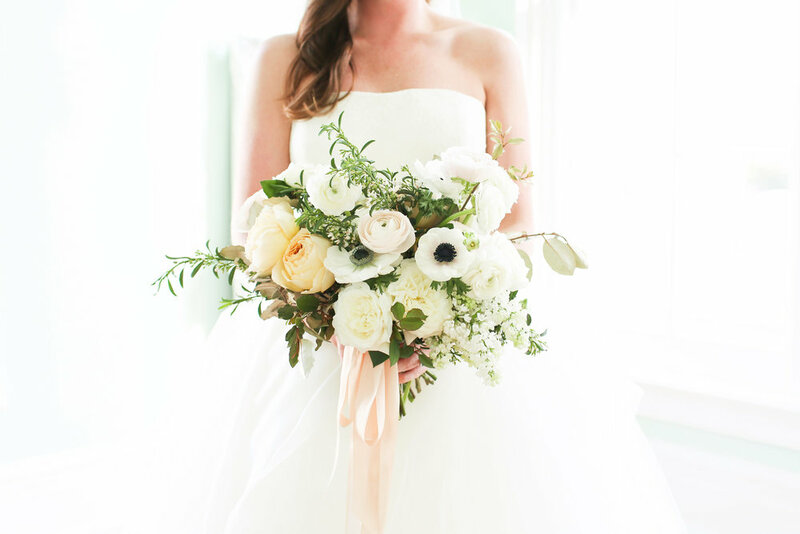 I am just so incredibly in love the finished product and over the moon that it's featured in Junebug Weddings!!!! 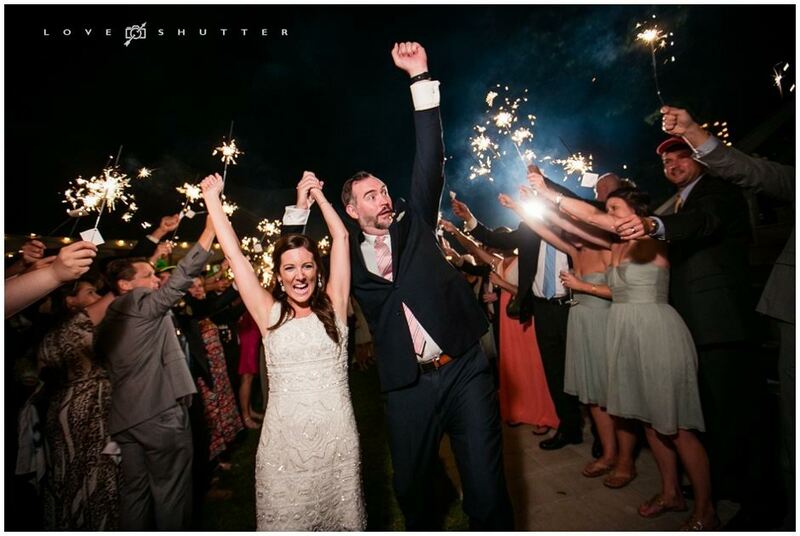 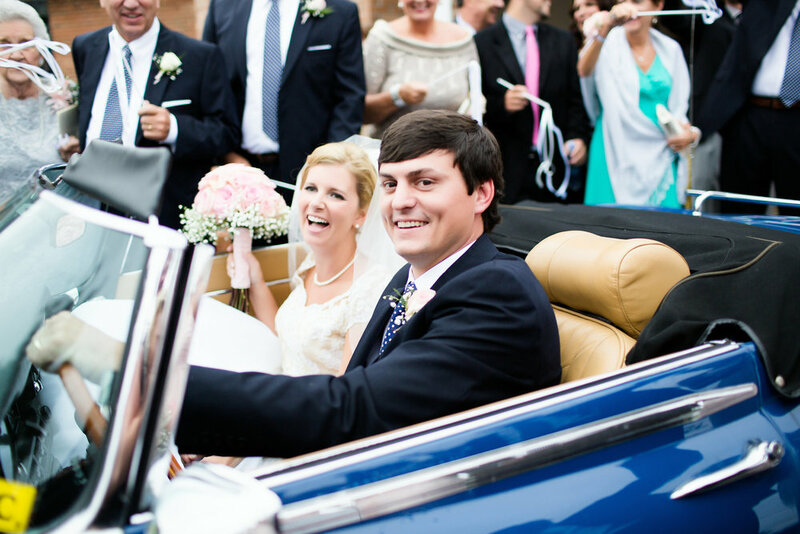 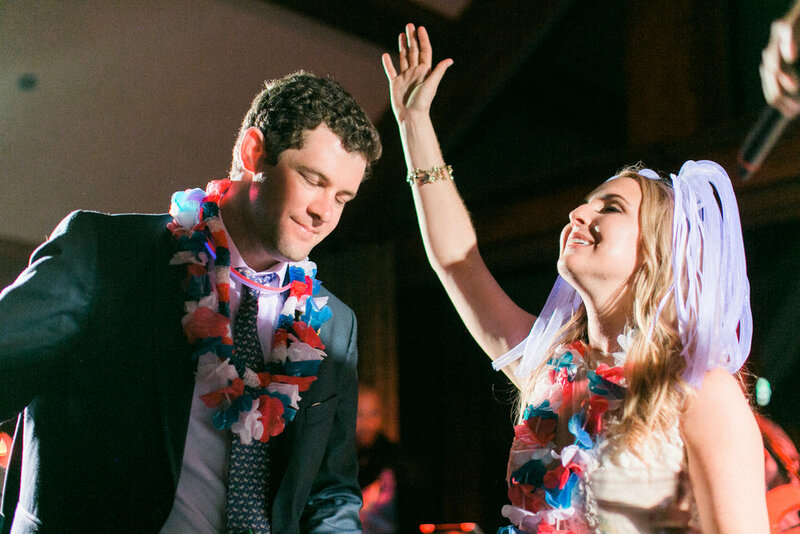 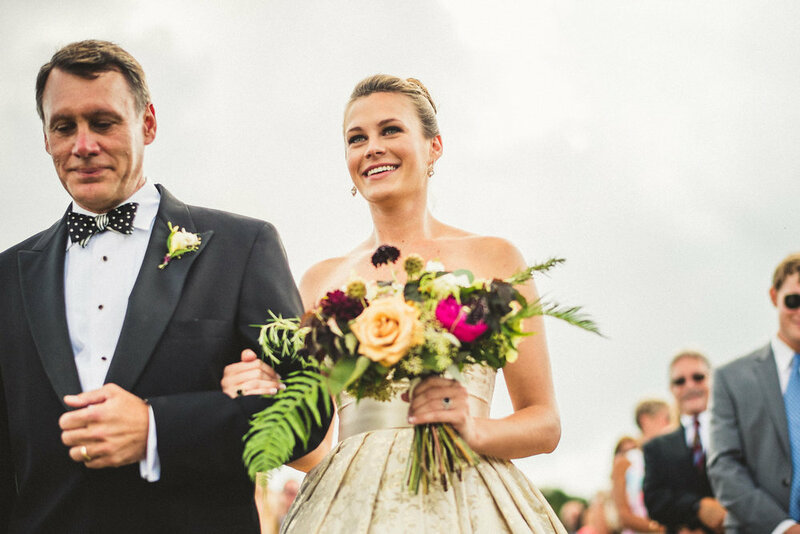 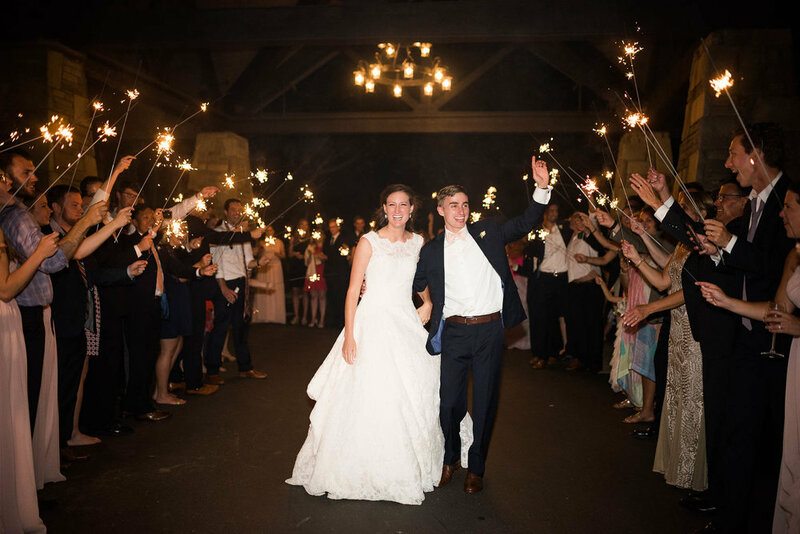 We absolutely loved Katie and Owen’s sophisticated wedding at Grandfather Golf and Country Club! 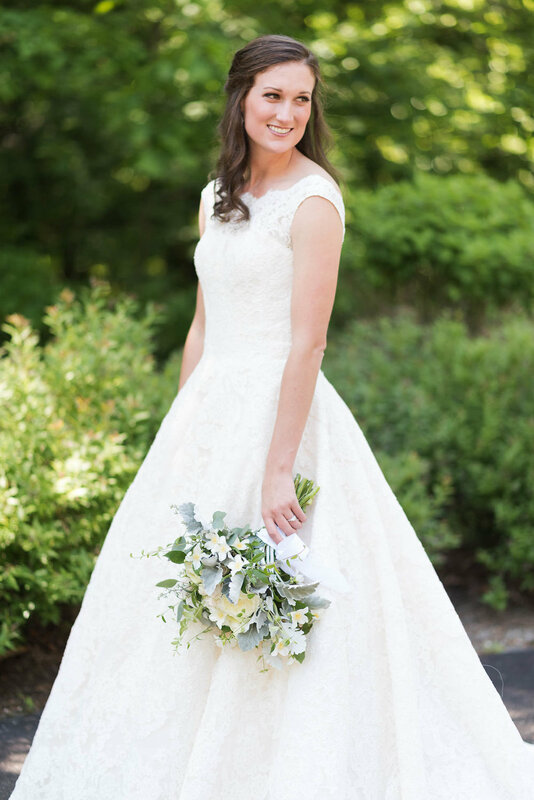 Her dress had to be a top contender as one of the favorites for the season! 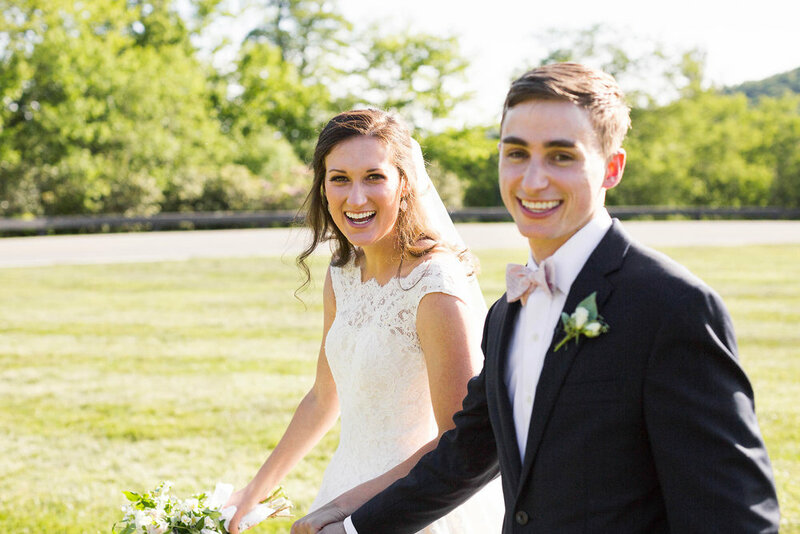 These two’s playful attitude made for a fantastic day with smiles and laughter all around. 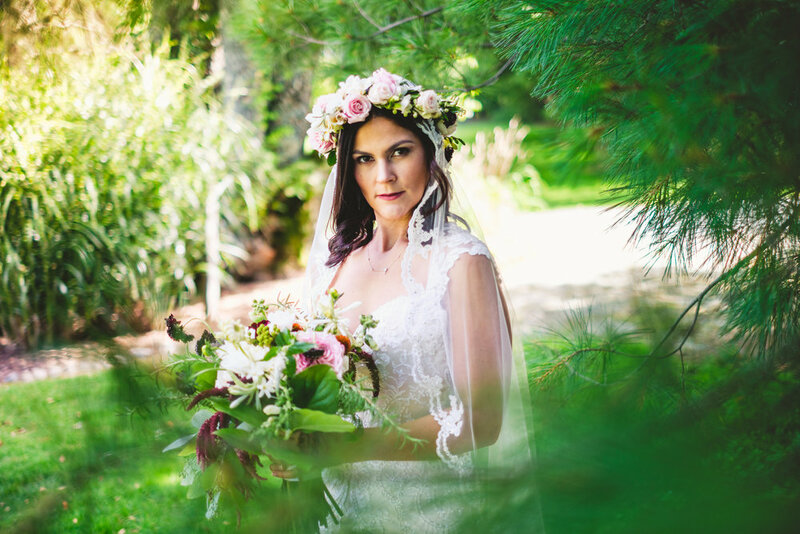 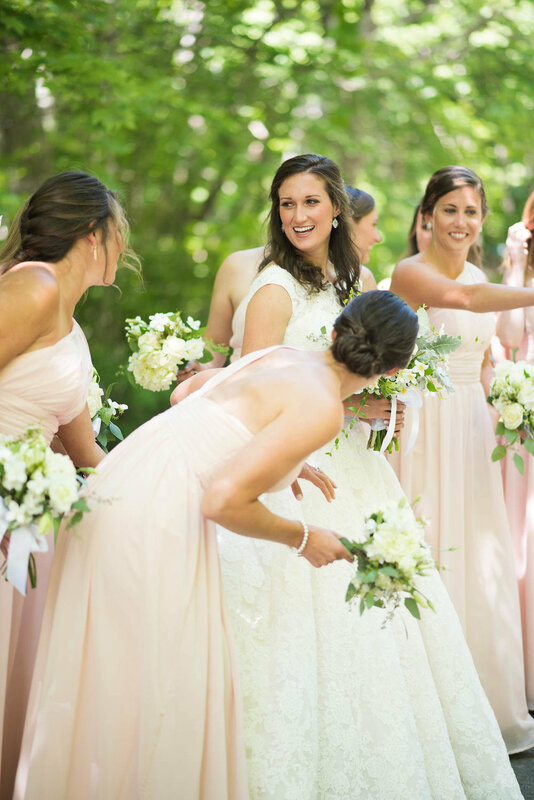 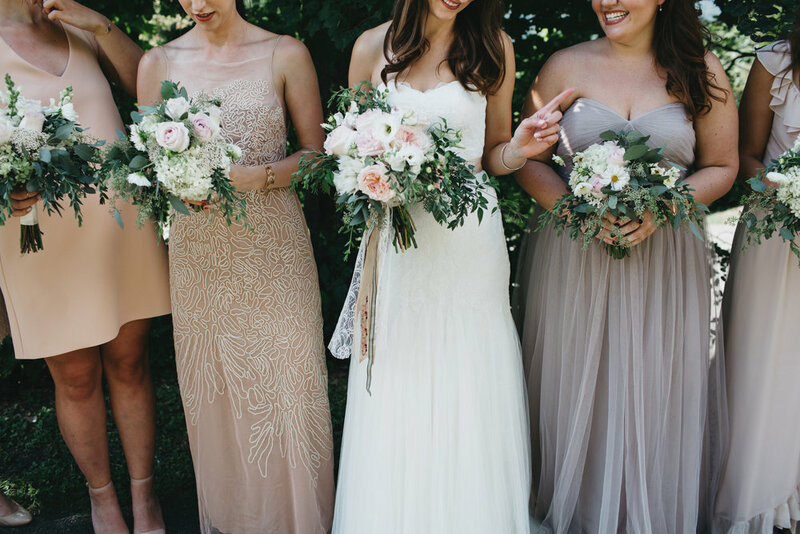 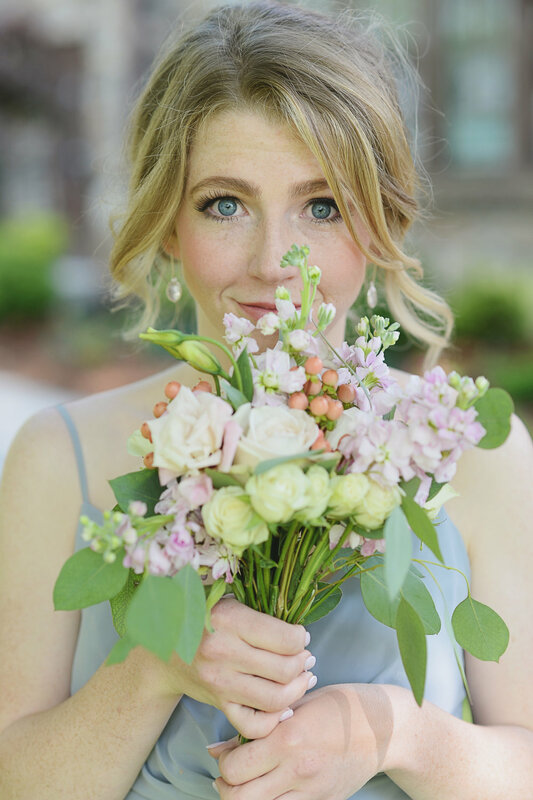 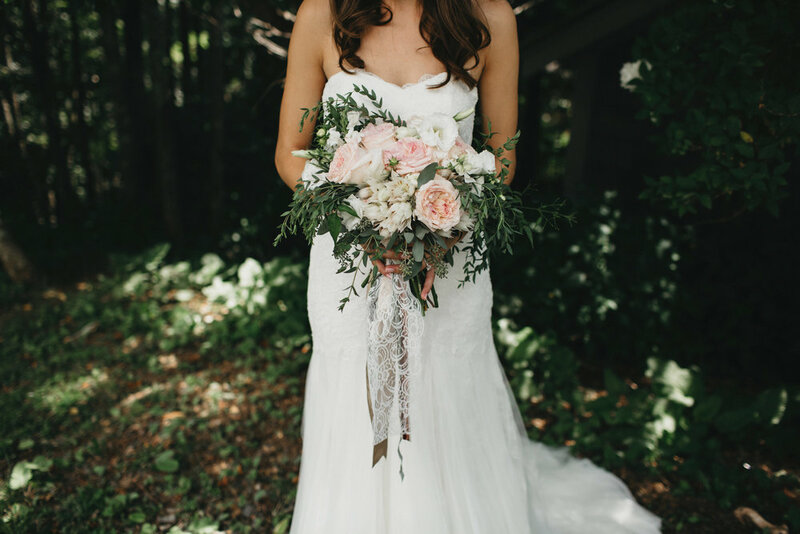 Katie’s vision fit perfectly with her early June wedding as the girls looked stunning in blush holding bouquets of simple greenery filled with blossoming ivory flowers. 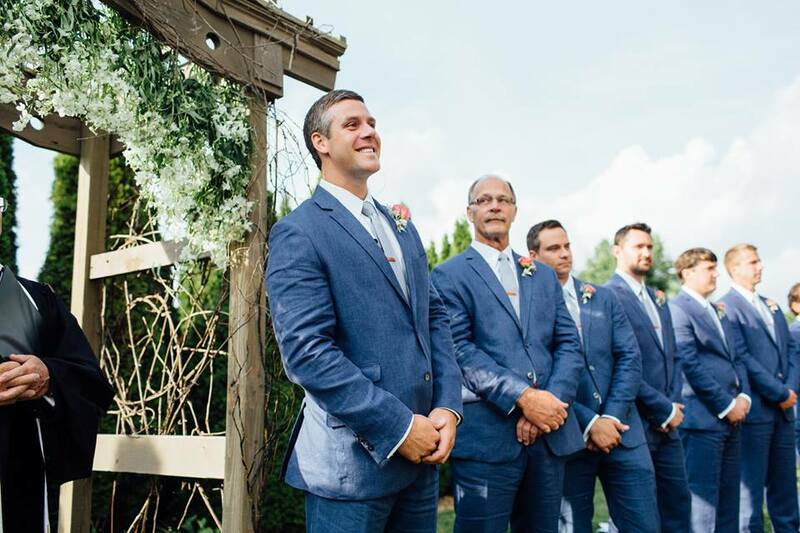 Sunglasses were the perfect favor for guests as they arrived to the helipad ceremony without a cloud in the sky. 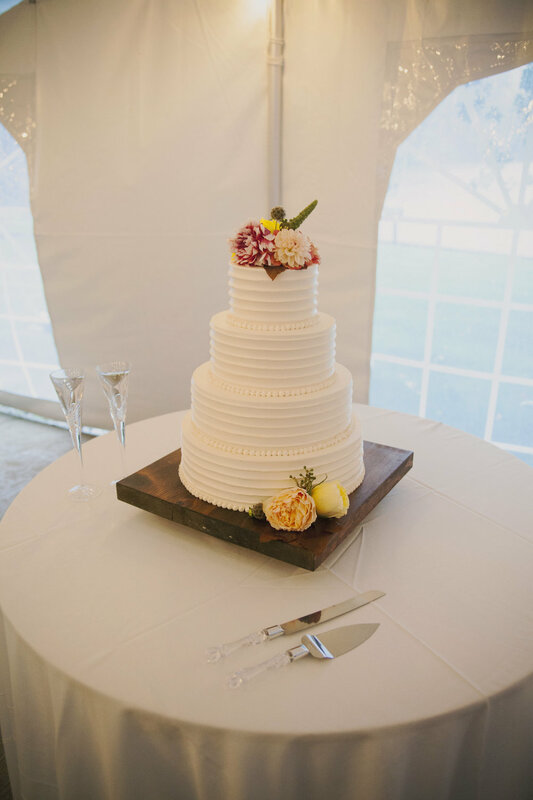 A 5 tier wedding cake with different flavors in each pleased the guest list, and had some coming back to test more! 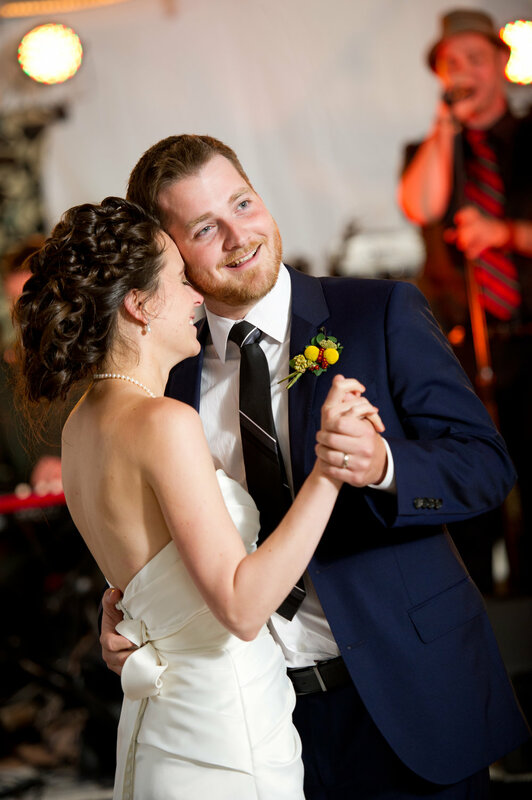 A rockin’ party went down on the dance floor as The Company Band played through the night! 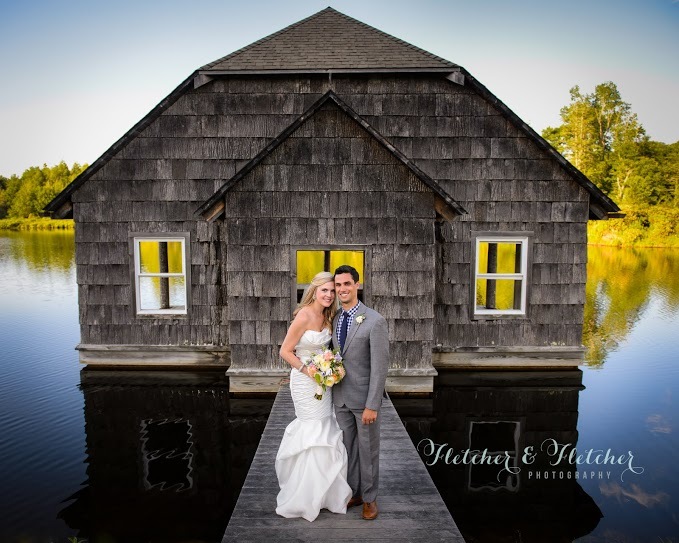 The Taylor House holds a special place in my heart because that's where my husband and I tied the knot 10 years ago. 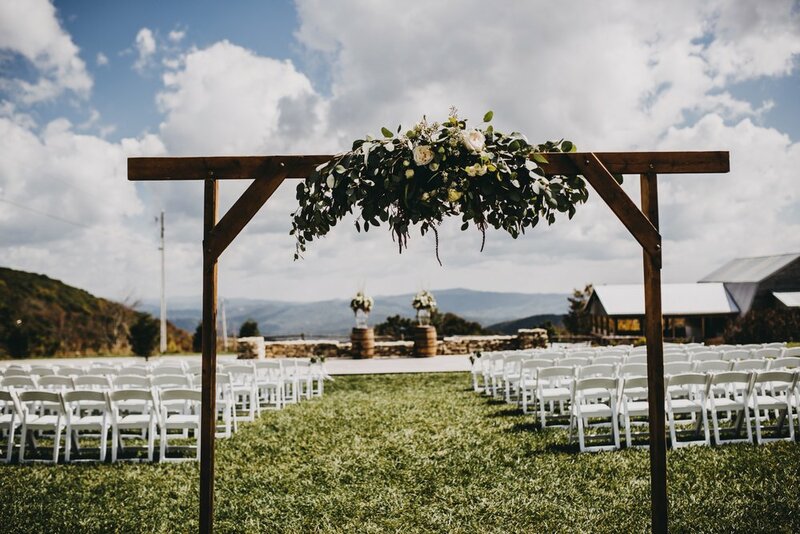 We don't get a chance to work out there that often so it's always really nostalgic when we get the pleasure of planning a wedding there. 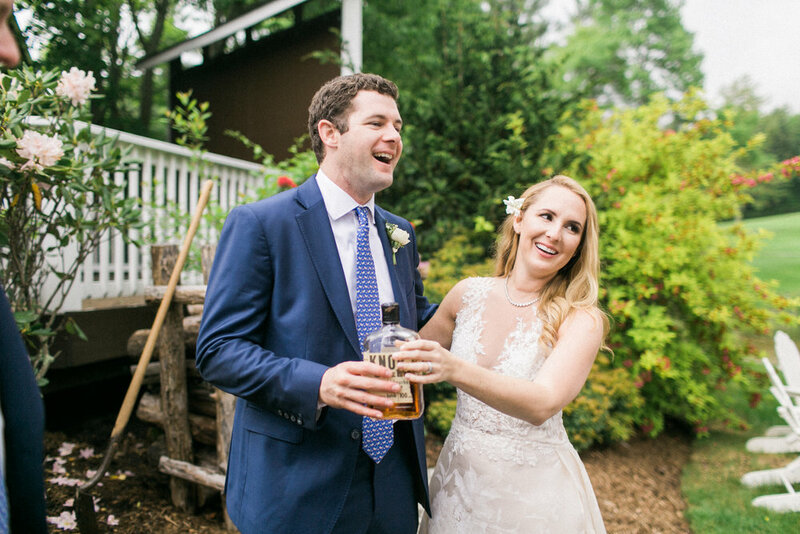 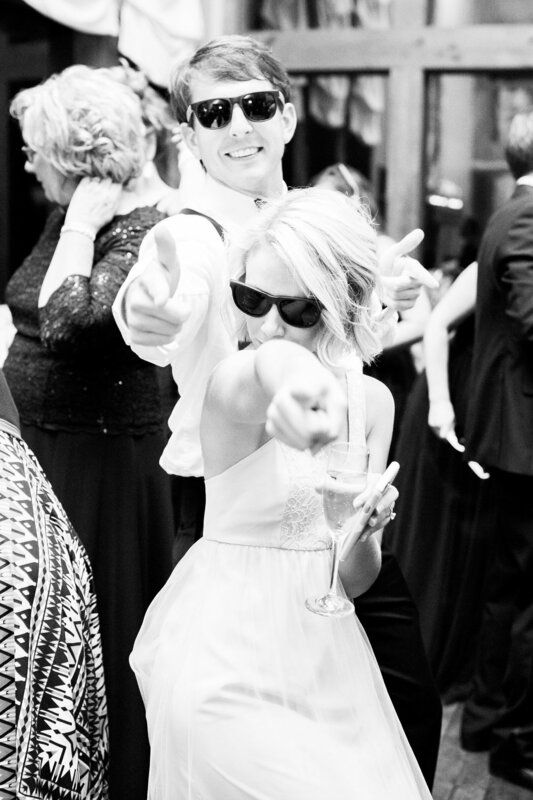 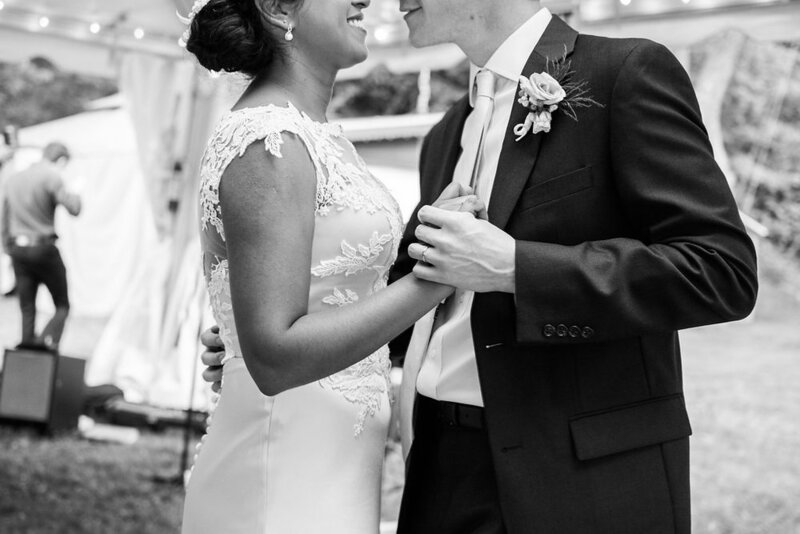 Loved everything about Janeli and Daniel's fun laid back wedding. 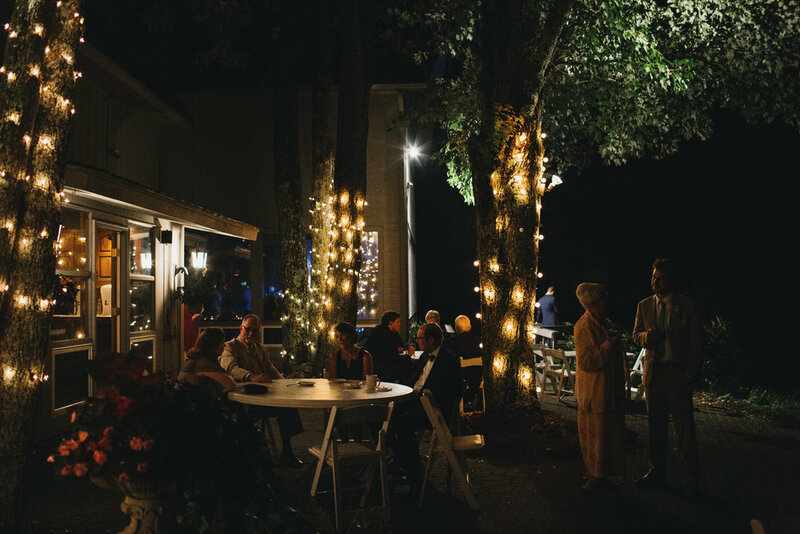 From the Tapp Trailer, to the custom corn hole boards and yard games, to the massive desert bar, live bluegrass band and all of their wedding party getting to stay on site and hang together all weekend. 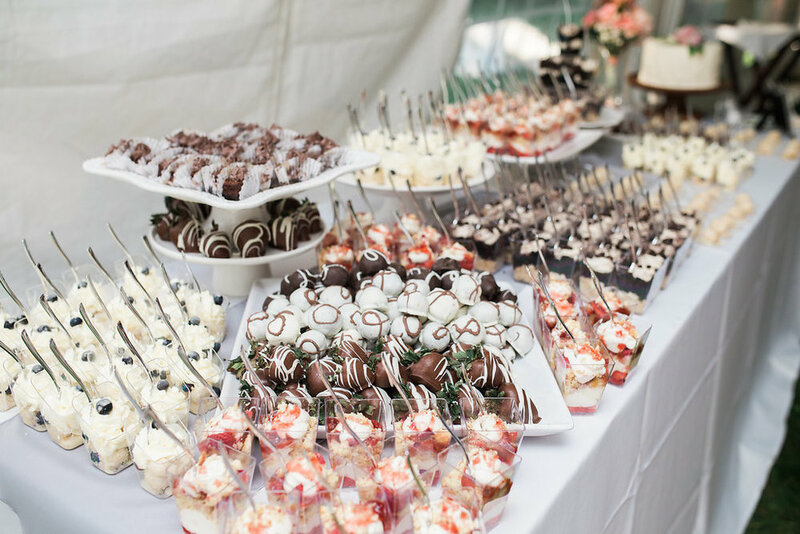 Yes it was as amazing as it sounds!!! 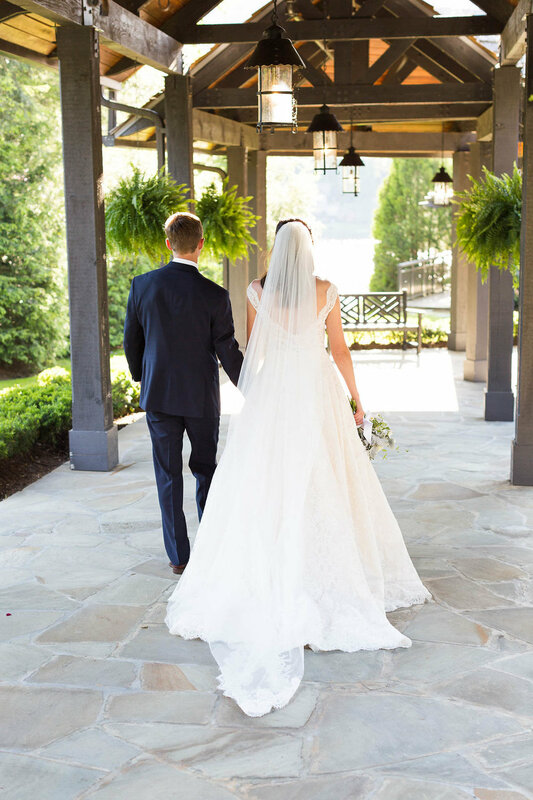 We love a good front porch!!! 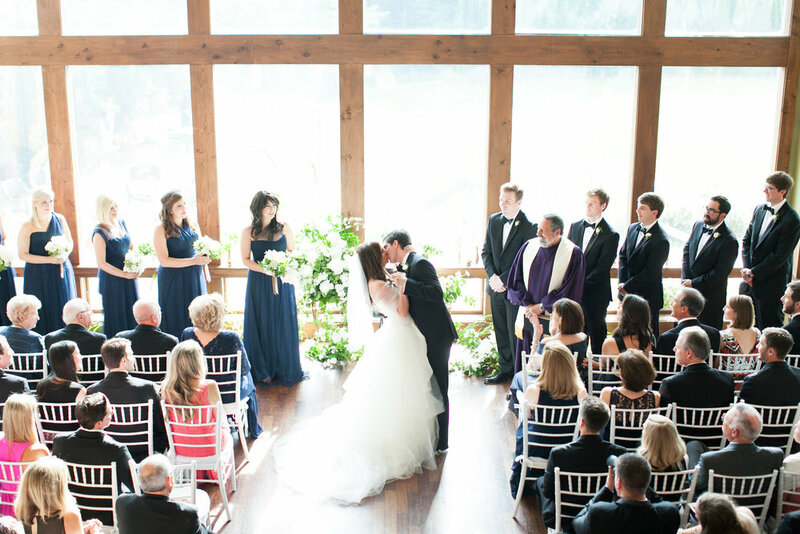 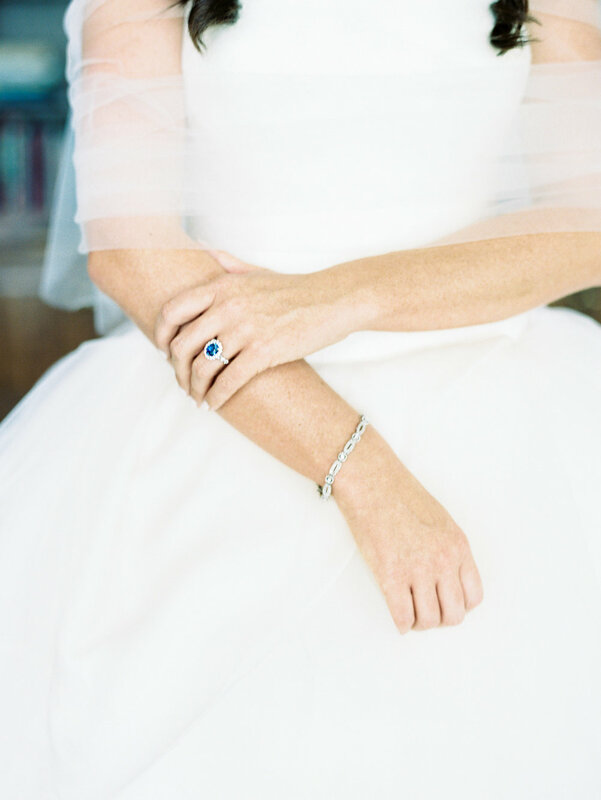 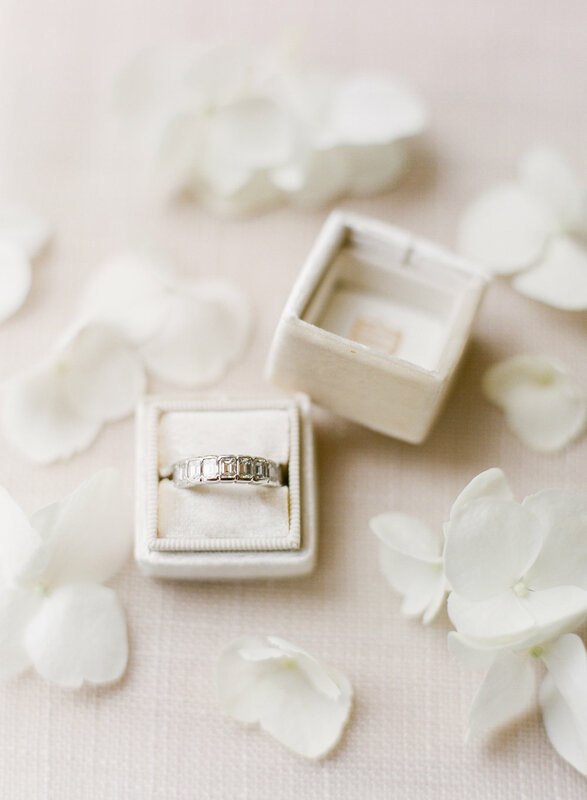 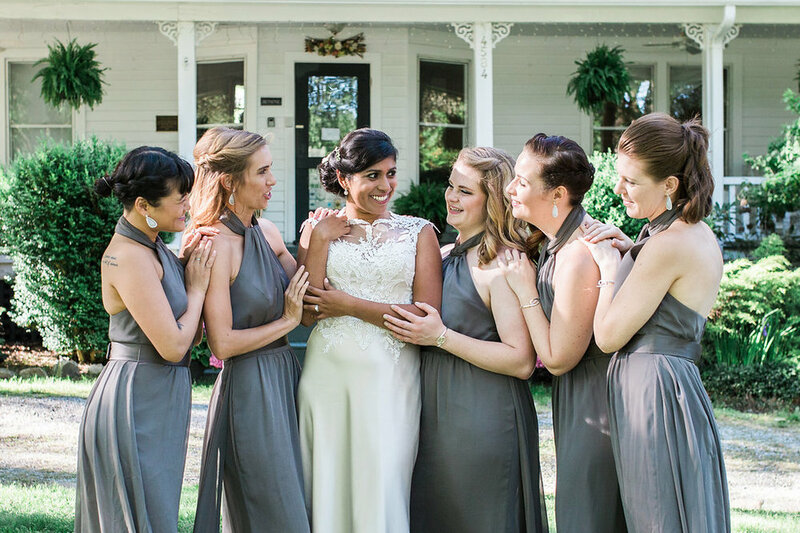 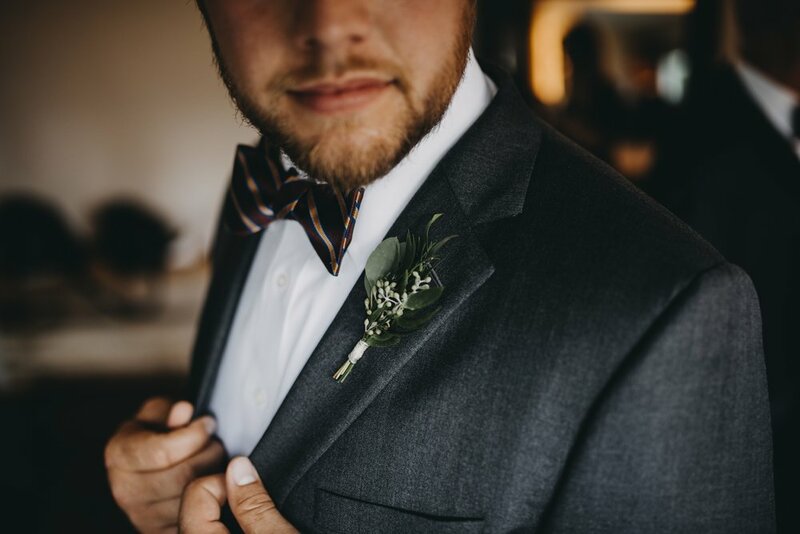 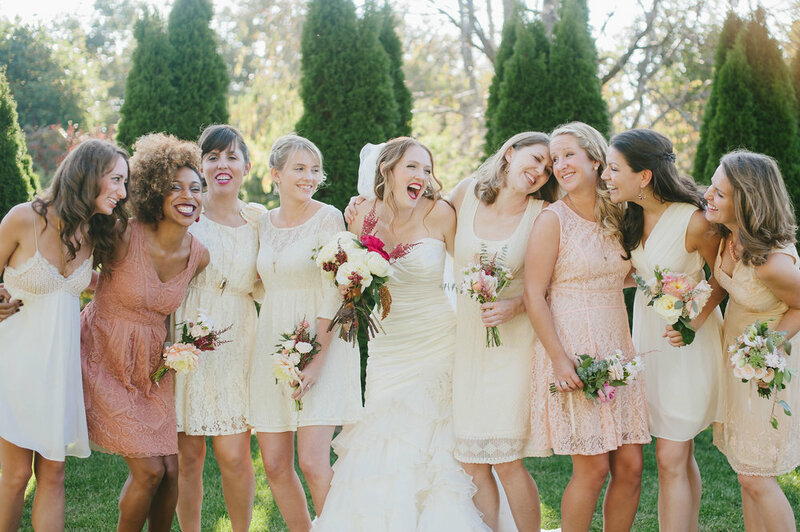 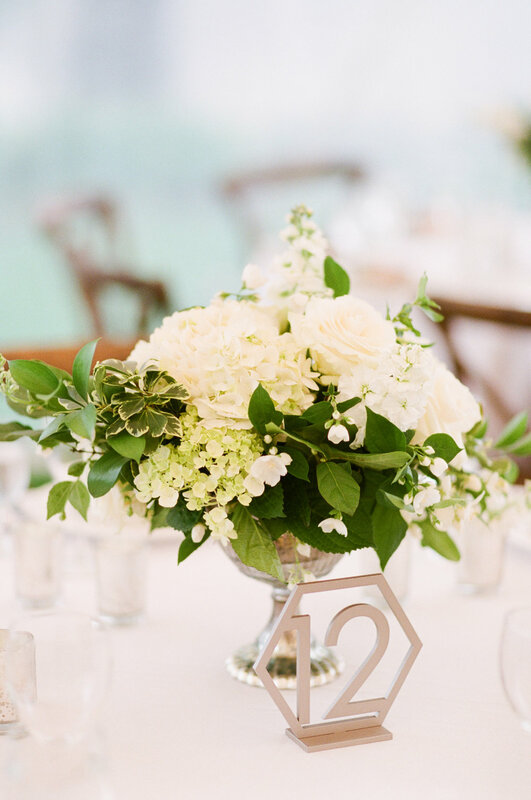 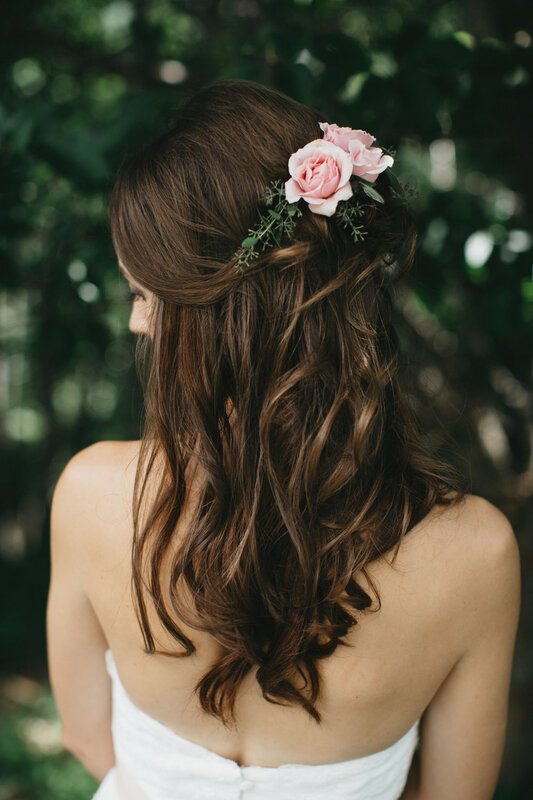 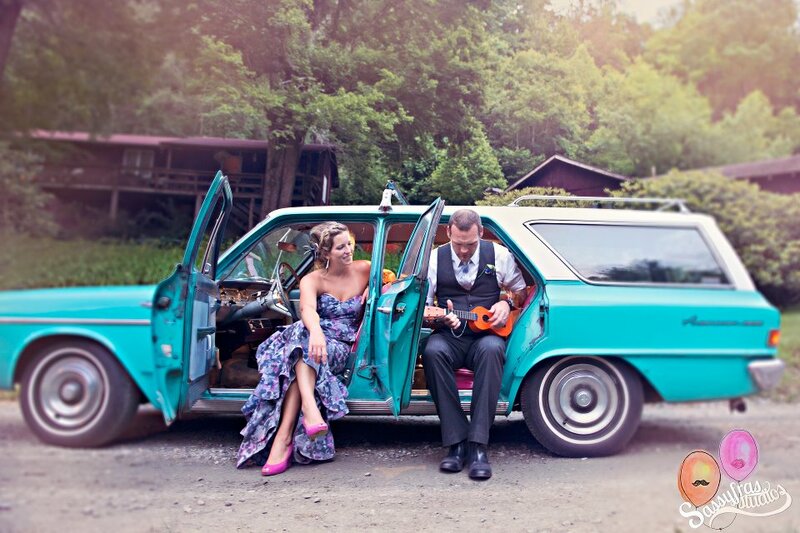 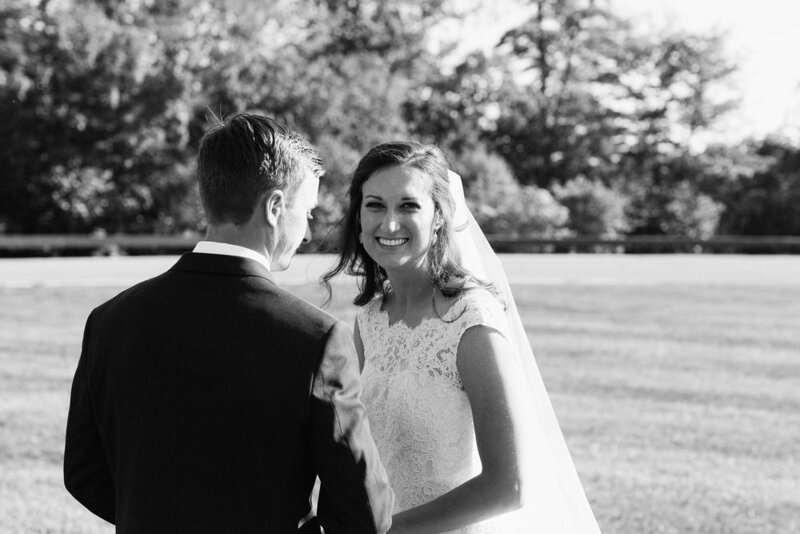 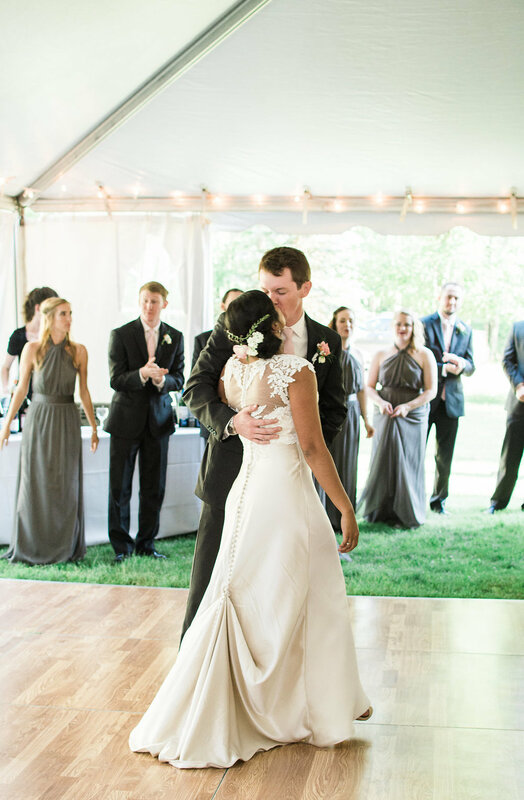 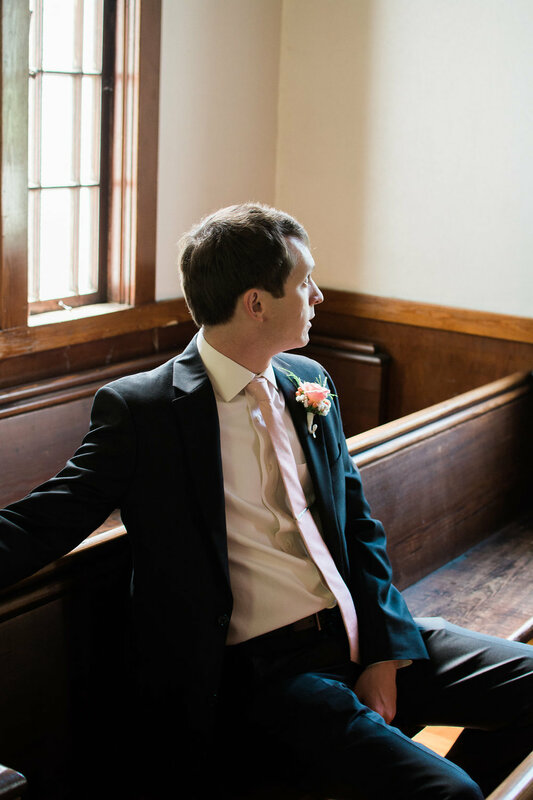 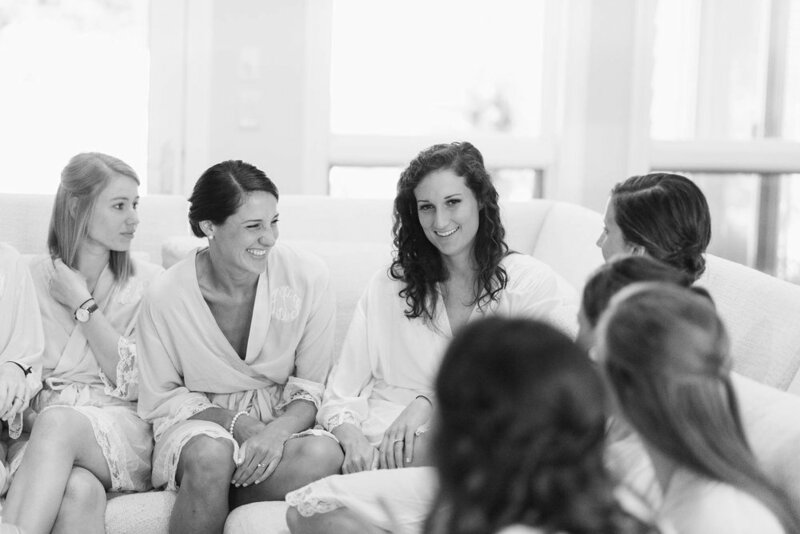 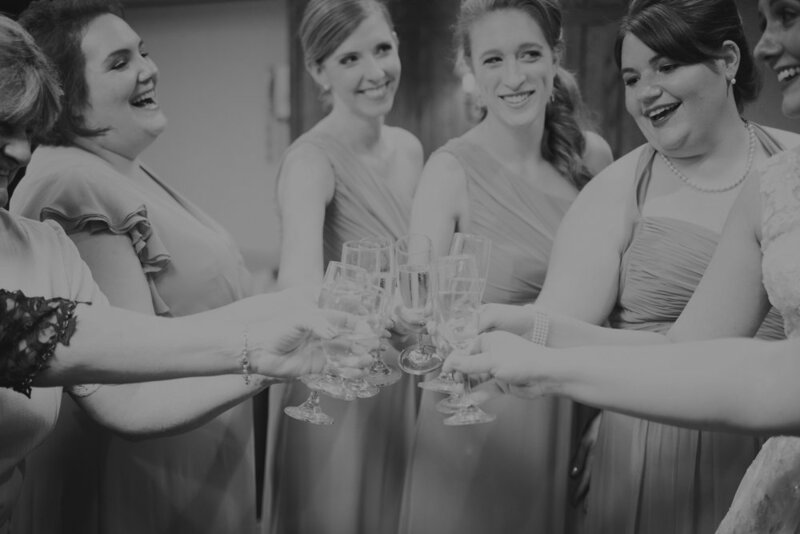 We love weddings with Nicole Huffman Photography. 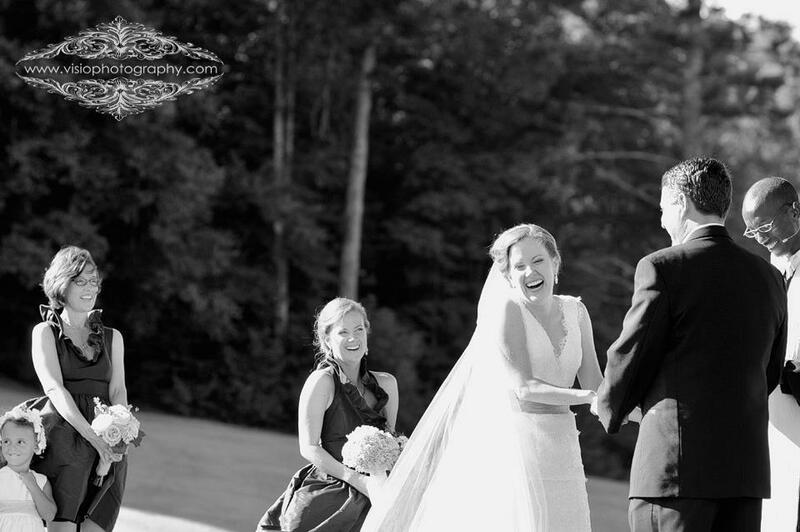 Click Here for another wedding we worked on together! 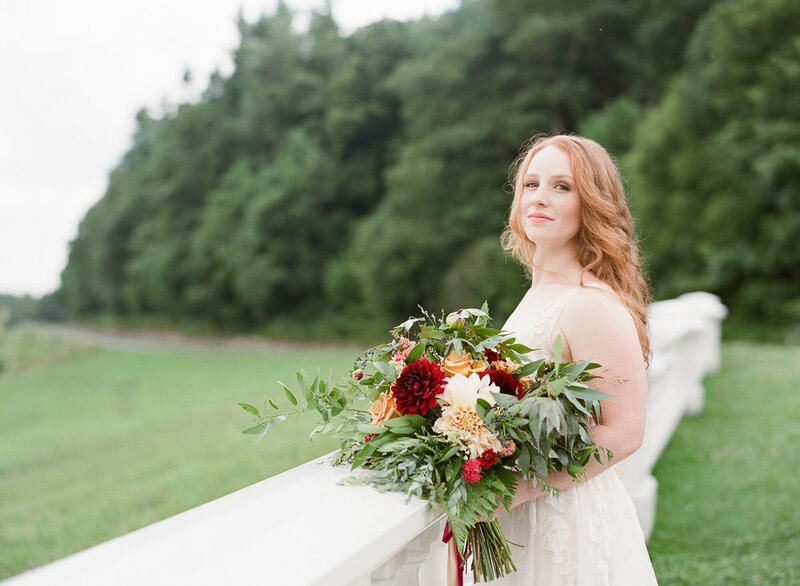 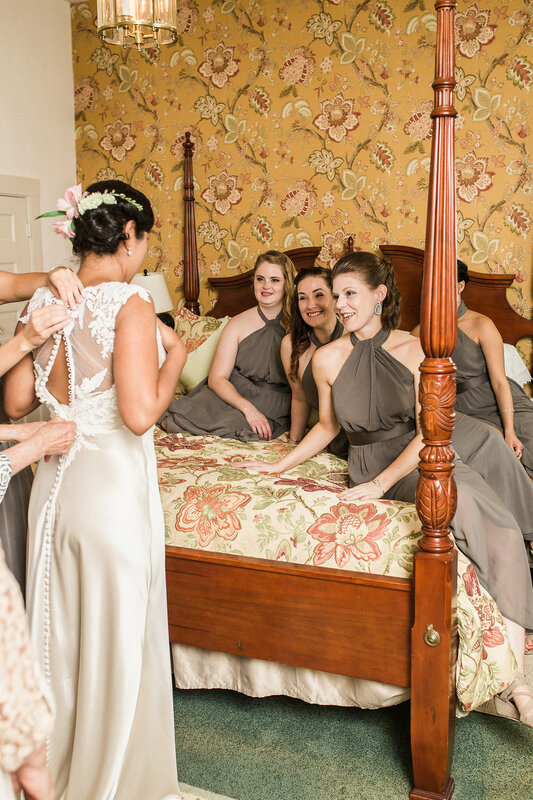 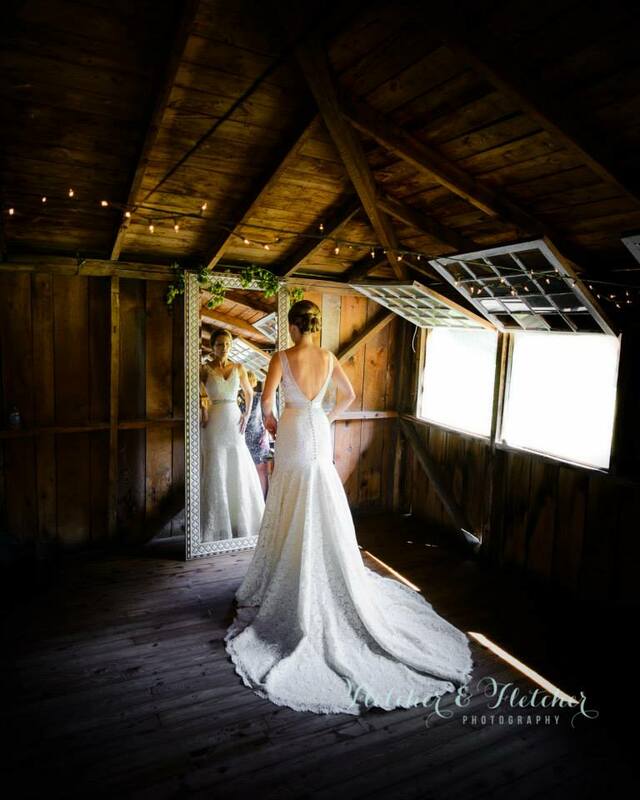 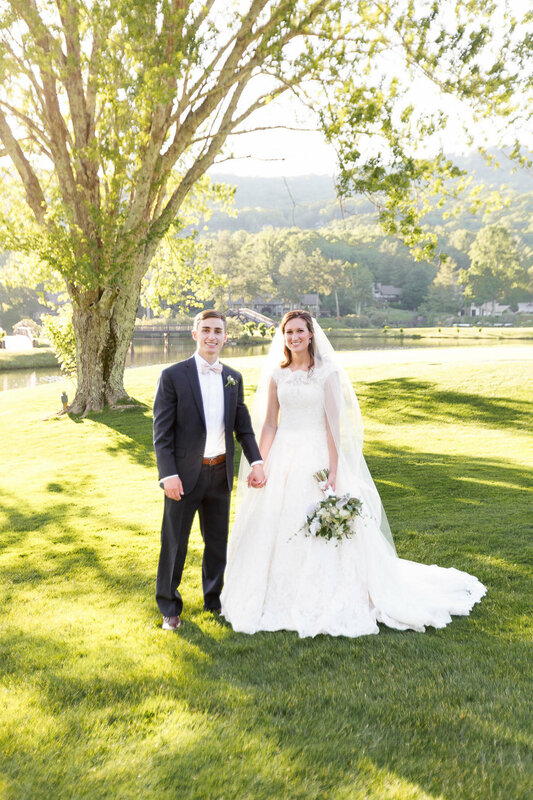 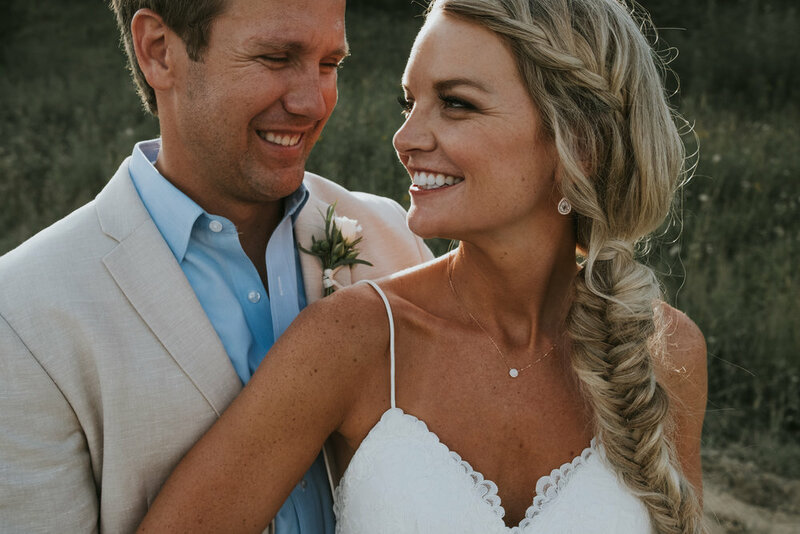 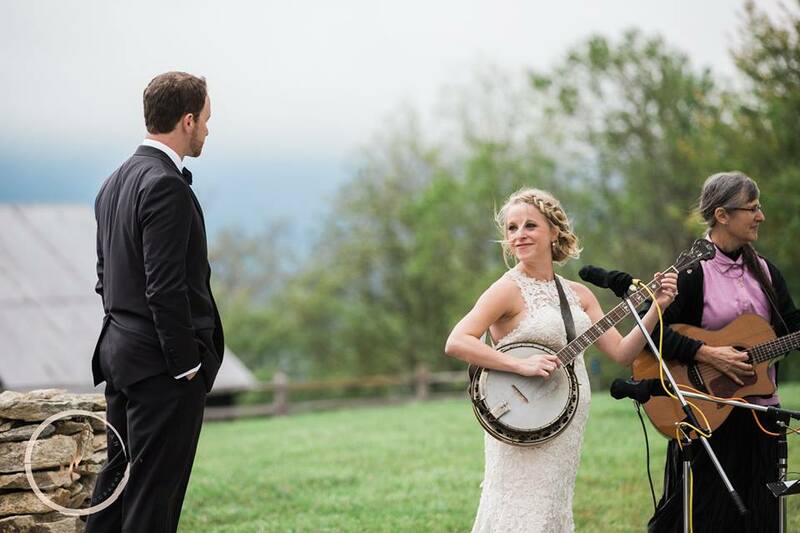 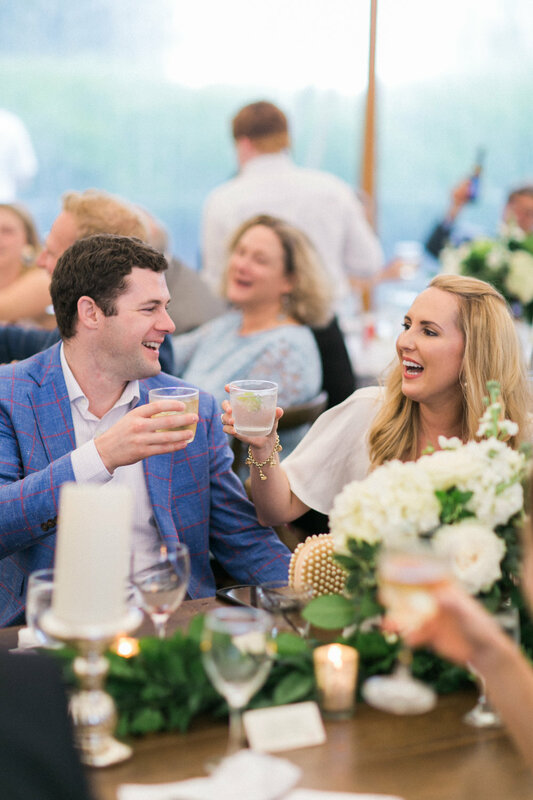 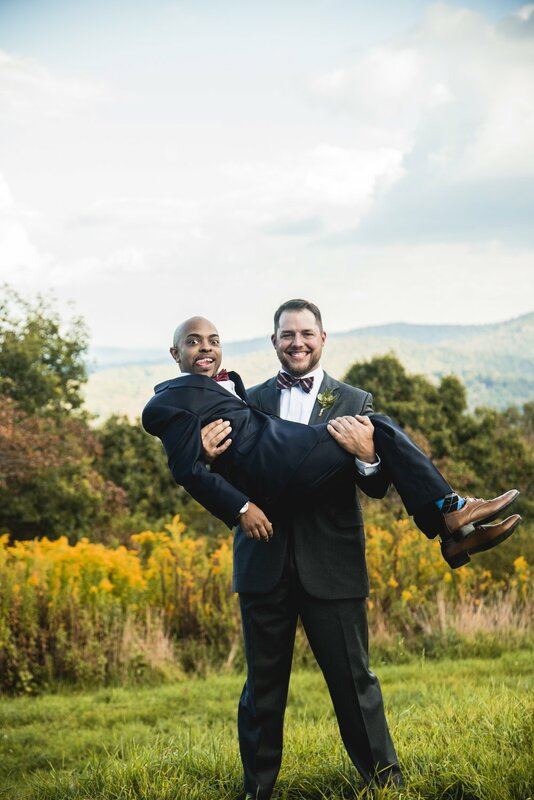 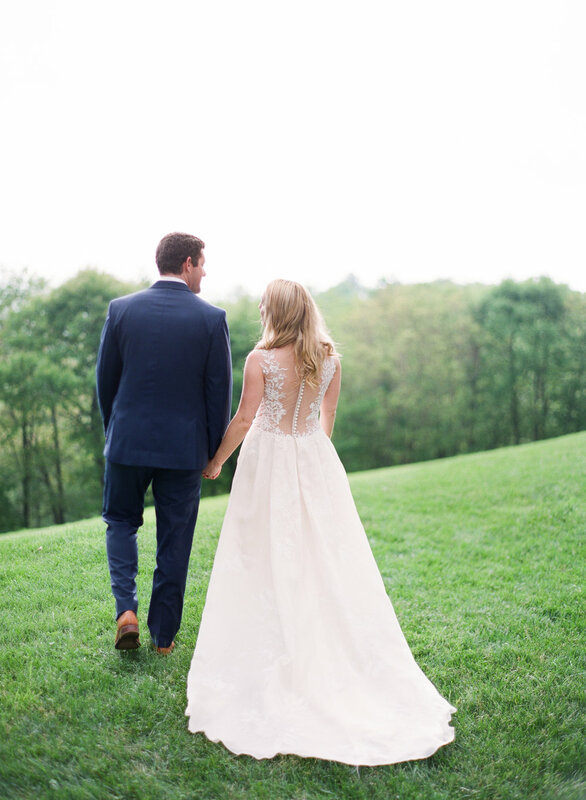 Whitney and Corey's wedding at The Inn at Crestwood located just outside of Blowing Rock, North Carolina was Picture Perfect! 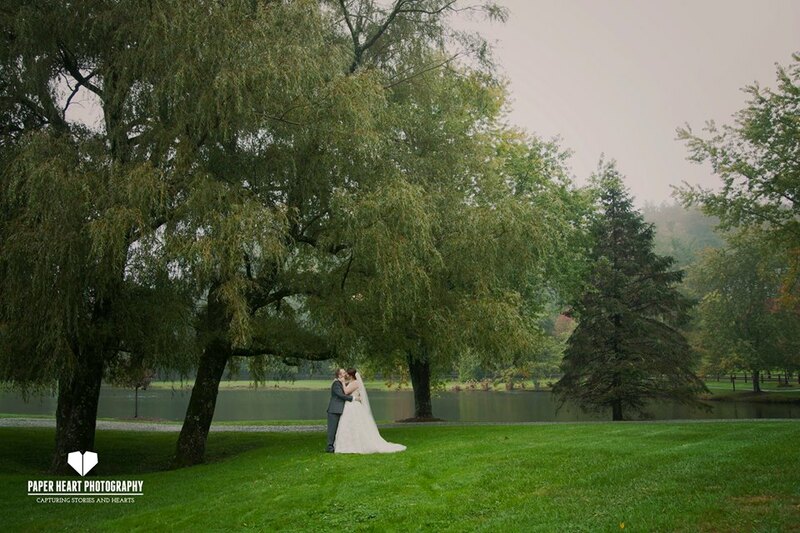 The weather was unpredictable that day but it held out just long enough for the soon to be bride and groom to have their "first look" on the lawn. 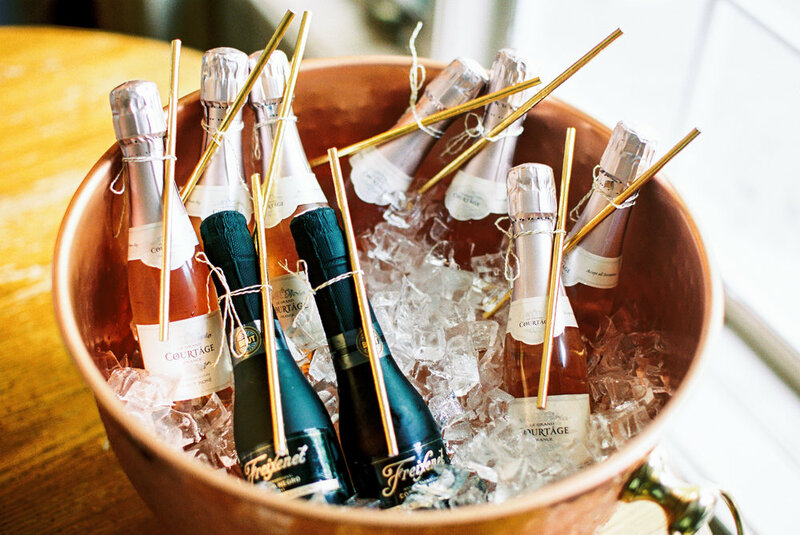 So many favorite things... 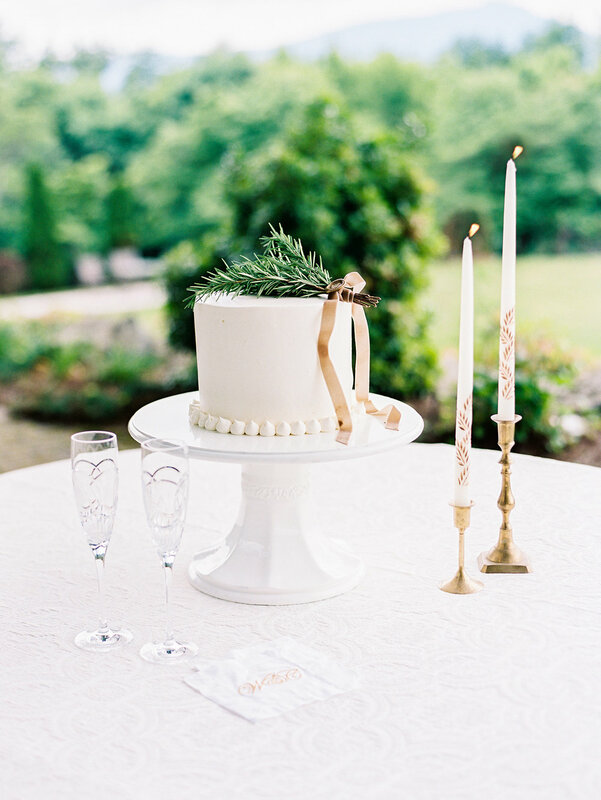 The perfect one tier cake topped with a simple bouquet of rosemary, the larger than life seating chart complete with hand stamped wax seals, the timeless blend of green white and cream florals mixed with textured linens and white chivari chairs... and of course...that dress! 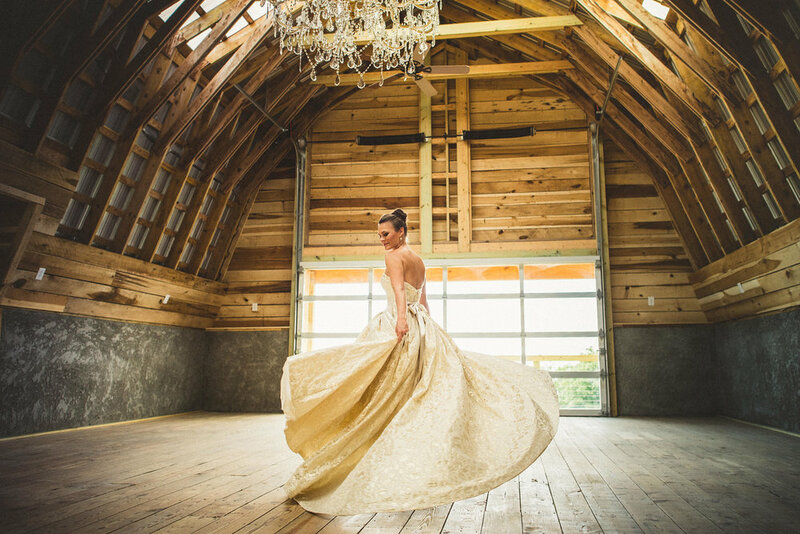 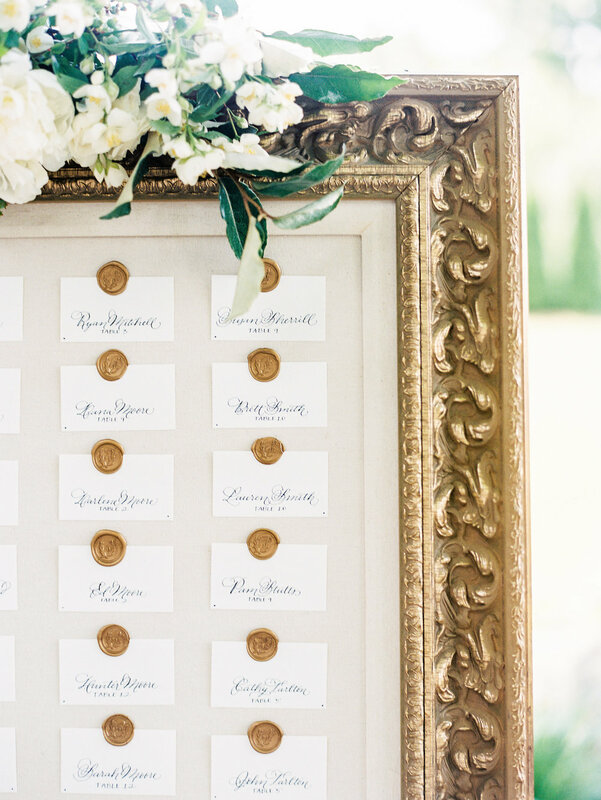 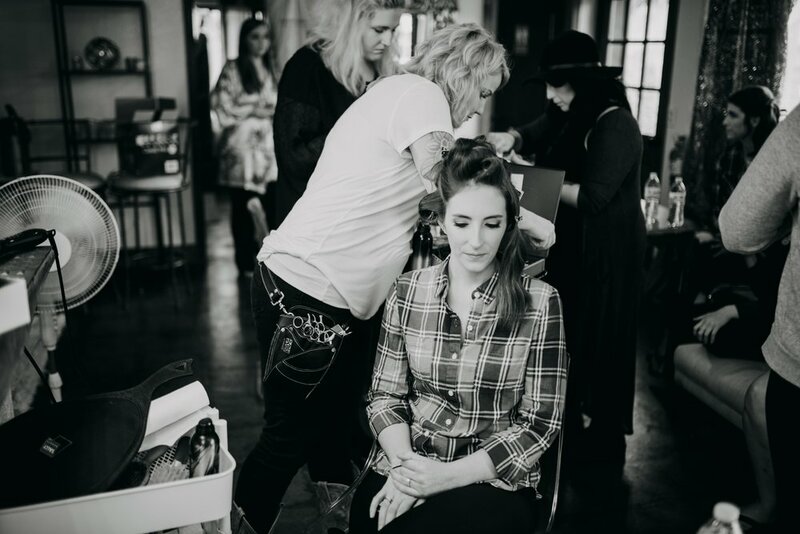 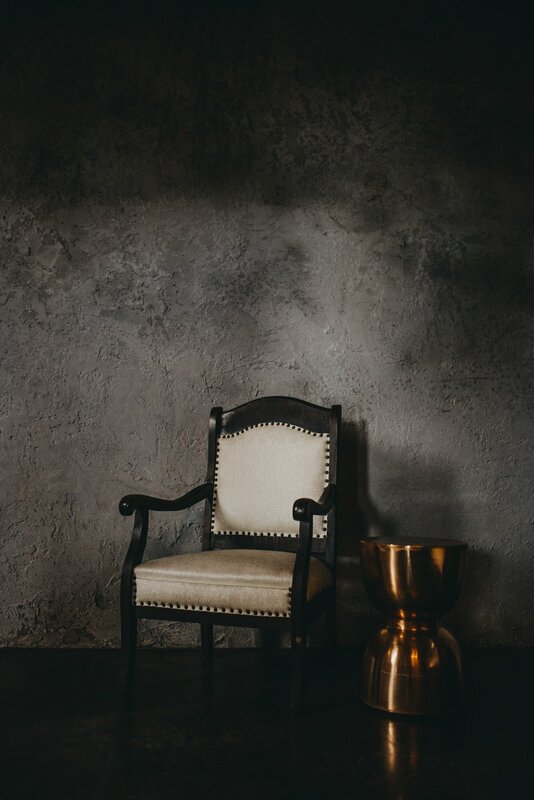 Whitney has a strong sense of style and commissioned an A list team of vendors to carry out her vision. 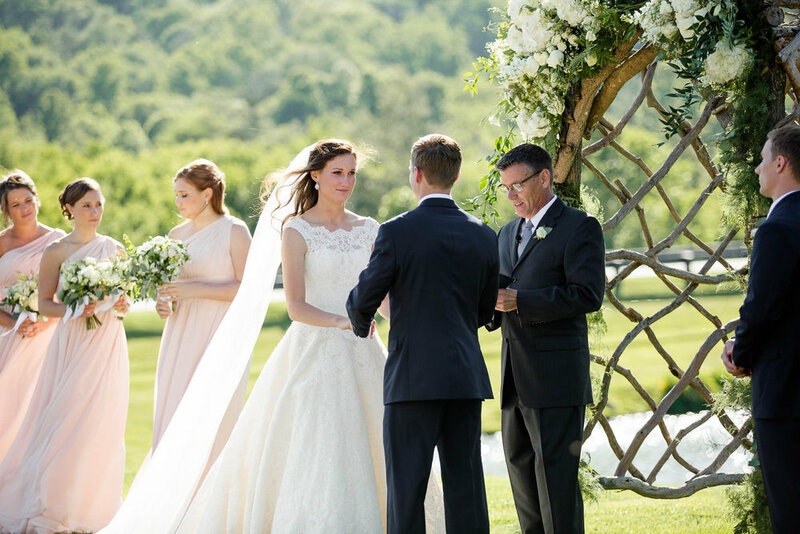 It was a memorable day for us all!!! 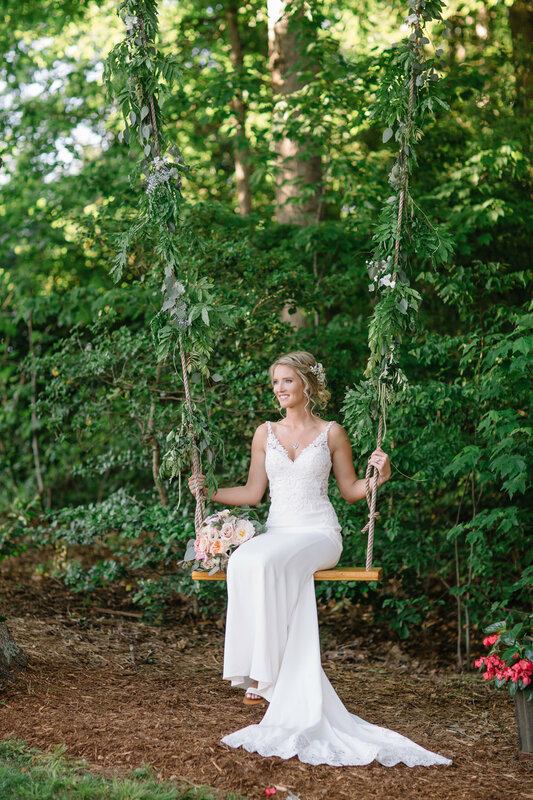 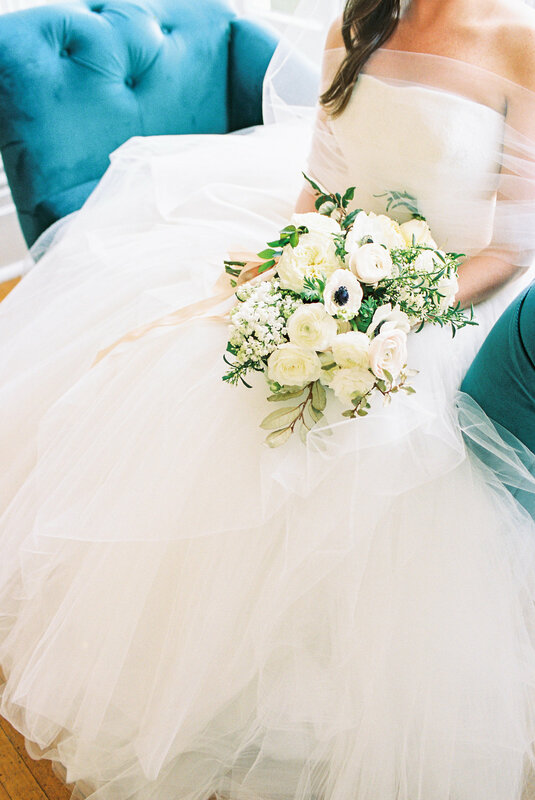 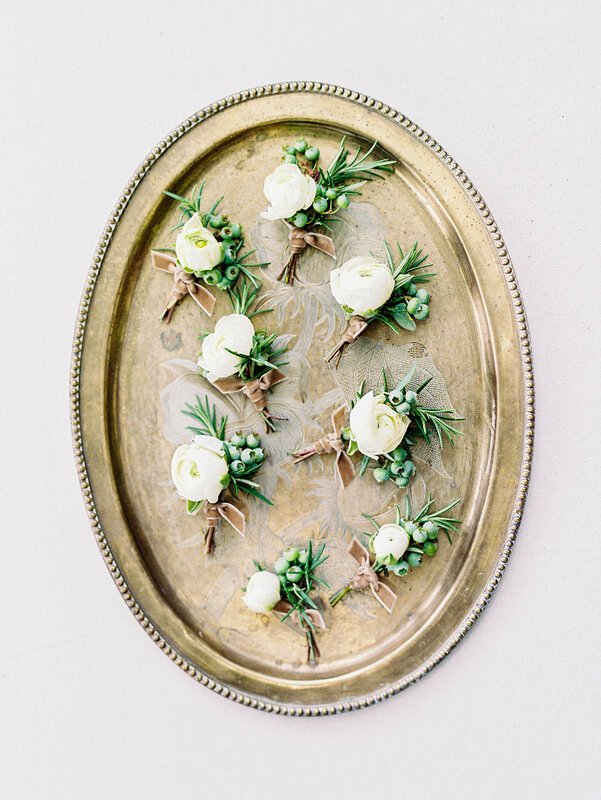 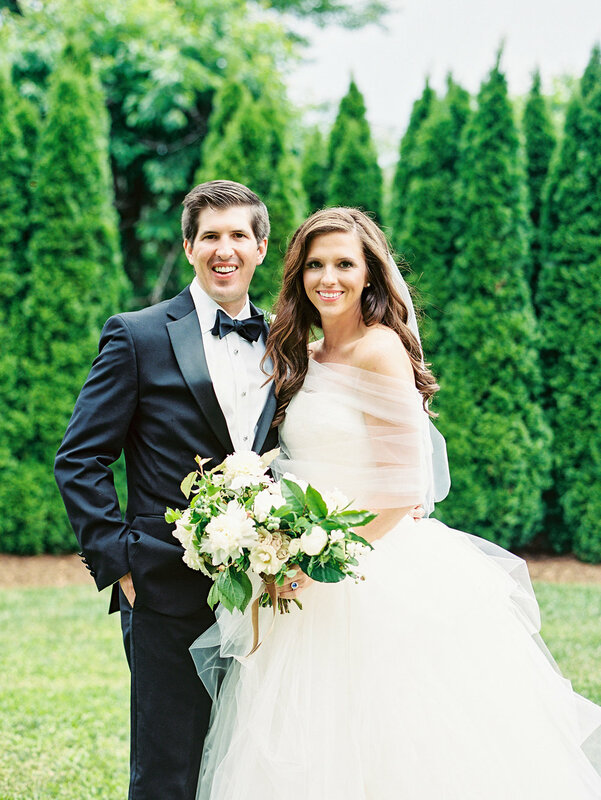 Hop on over to the full feature in Southern Weddings!! 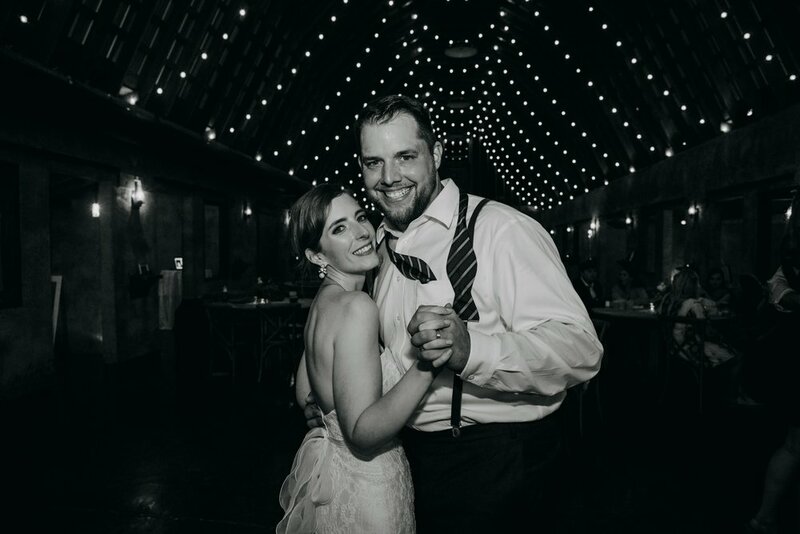 One last 2016 wedding post before we’re on to blogging the 2017 season. 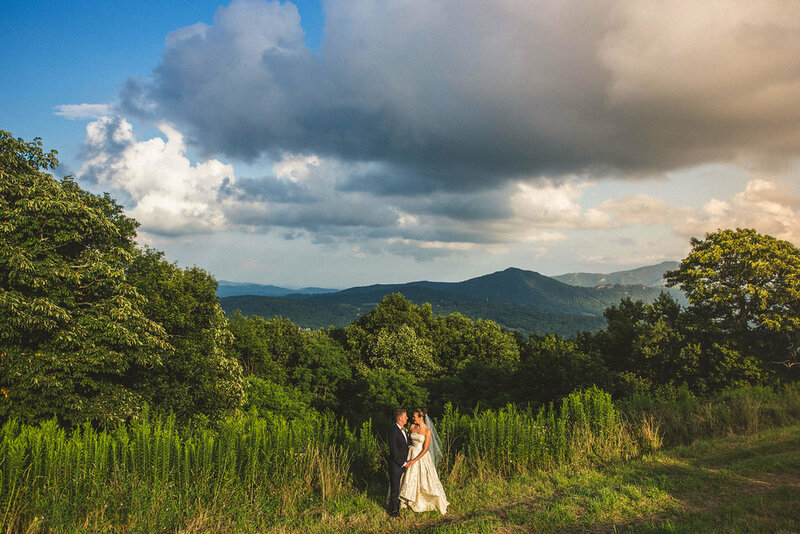 Jane and Noah shared an amazing day with their friends and family in the beautiful Blue Ridge Mountains of North Carolina. 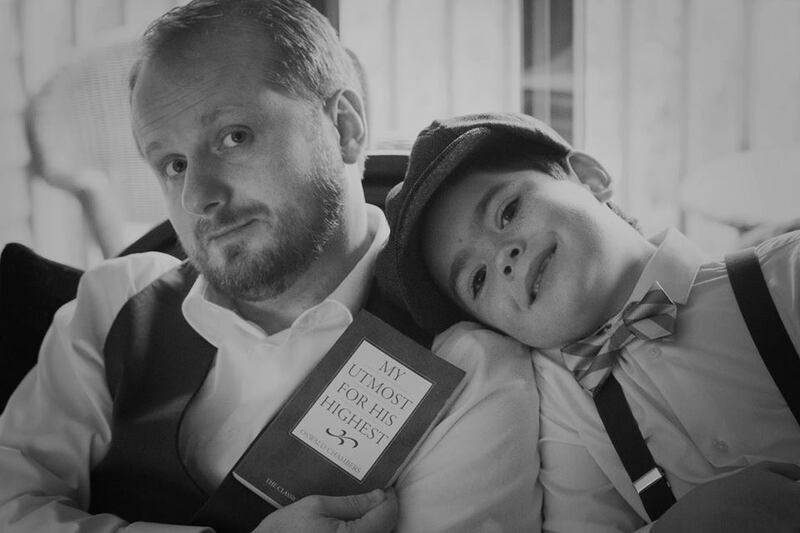 Noah gets our entrepreneur of the year award for his creative favors. 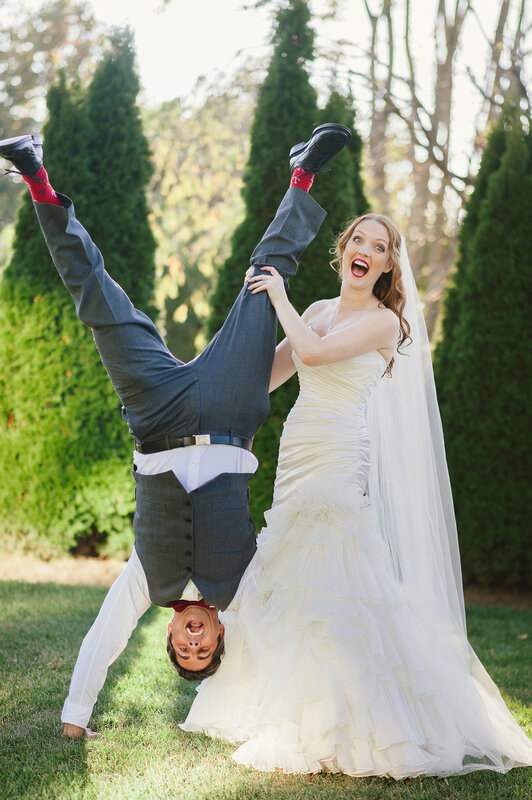 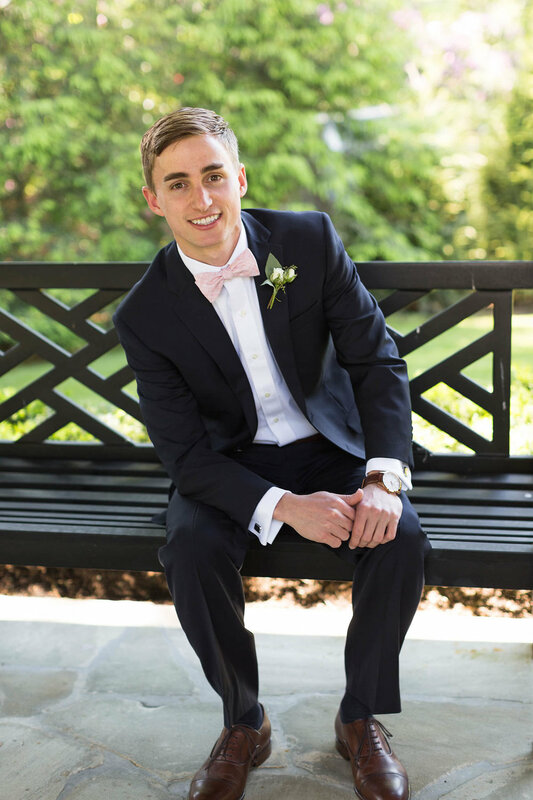 His company “Sock Club” designed custom wedding socks for all of the guests. 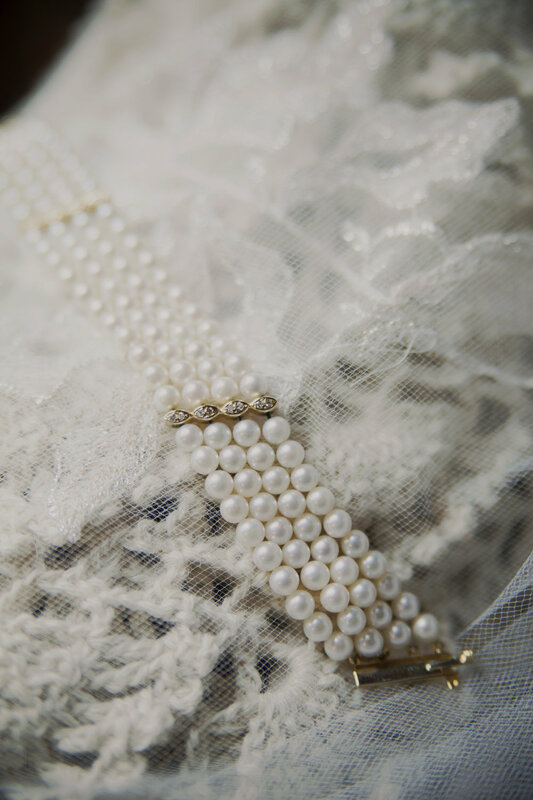 Too many lovely details to list. 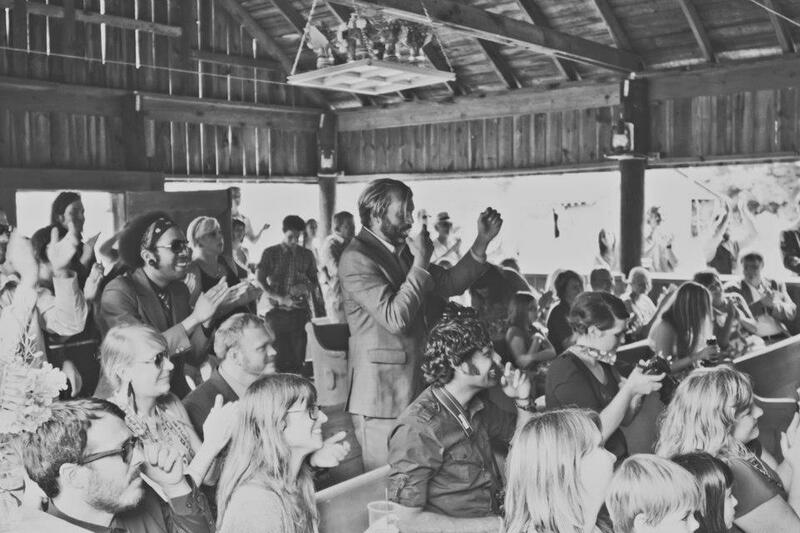 Check out all of the photos from the legendary Boonetown Story below. 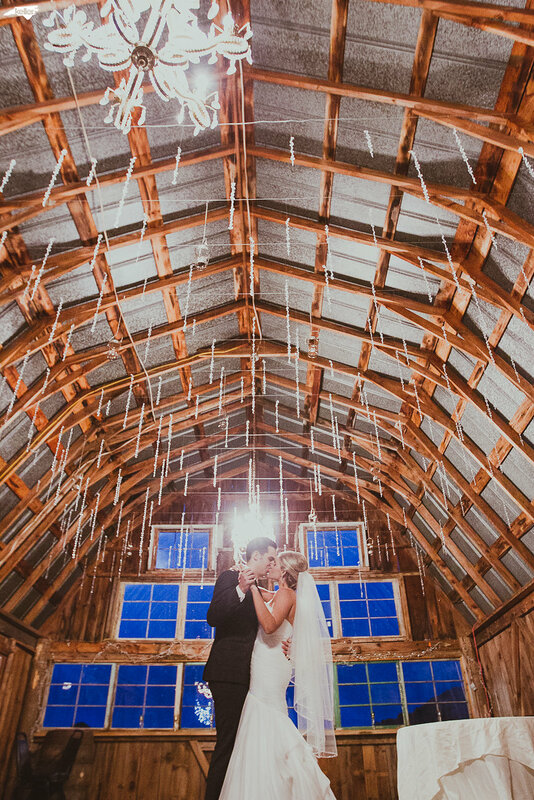 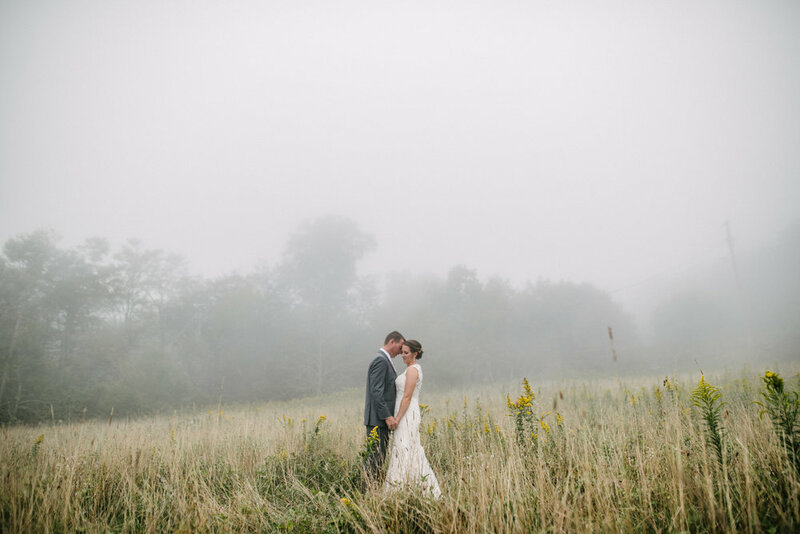 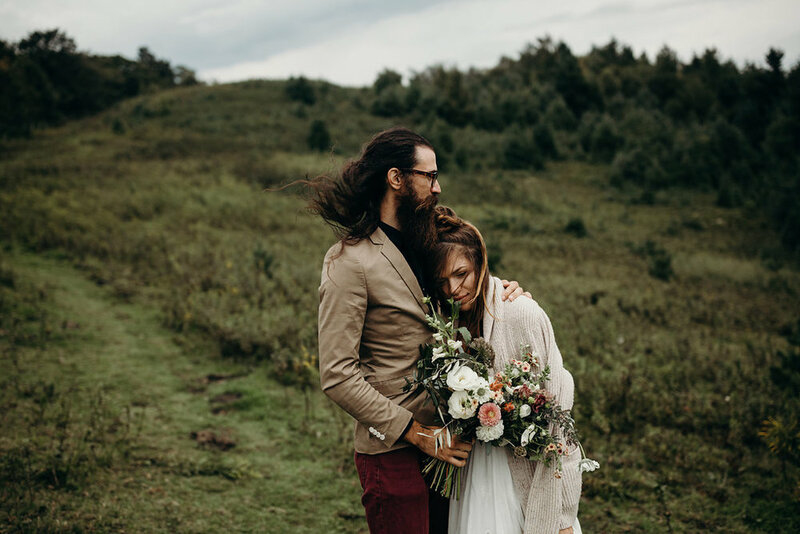 This adventurous couple didn’t let rain on their wedding day dampen their spirits. 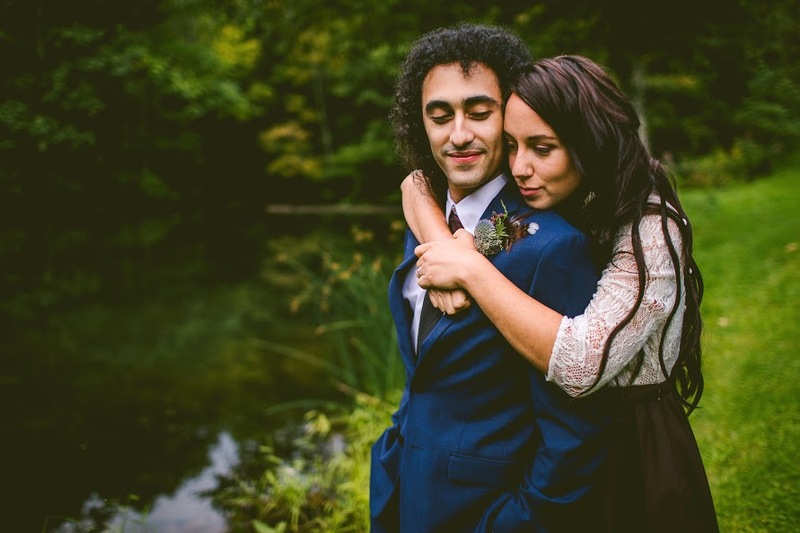 They met the weather head on and suited up with galoshes and umbrellas for an amazing pre ceremony photo session. 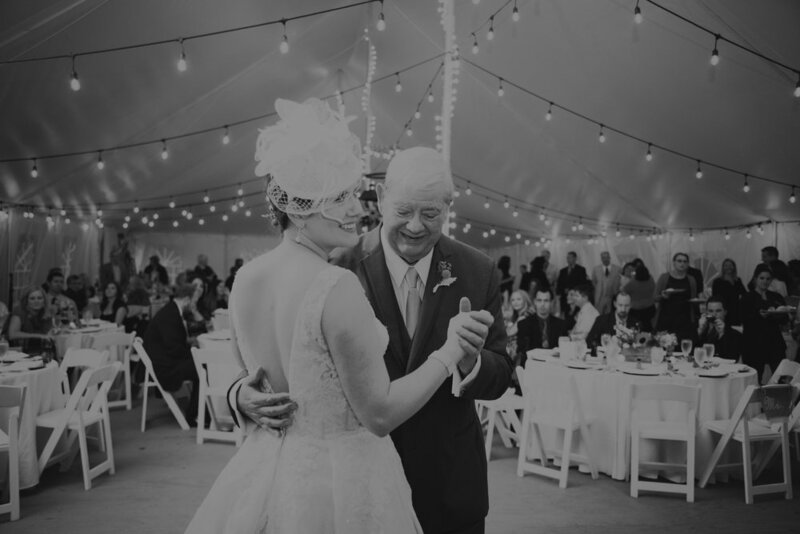 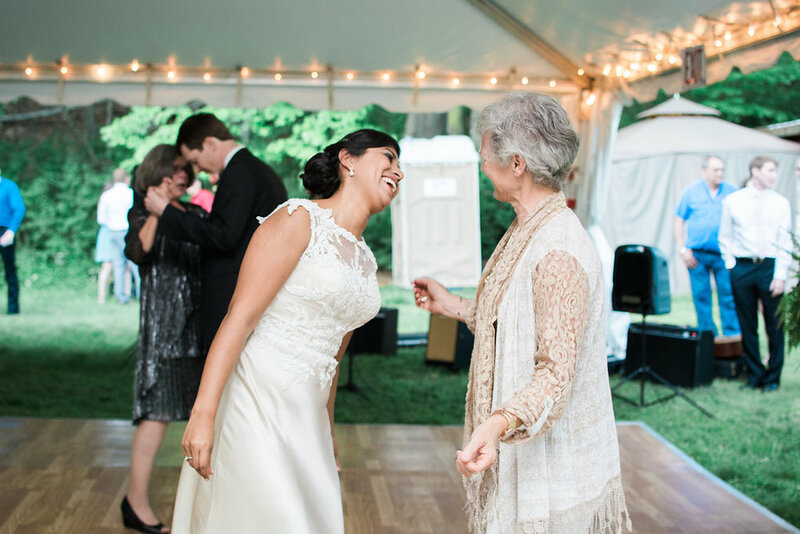 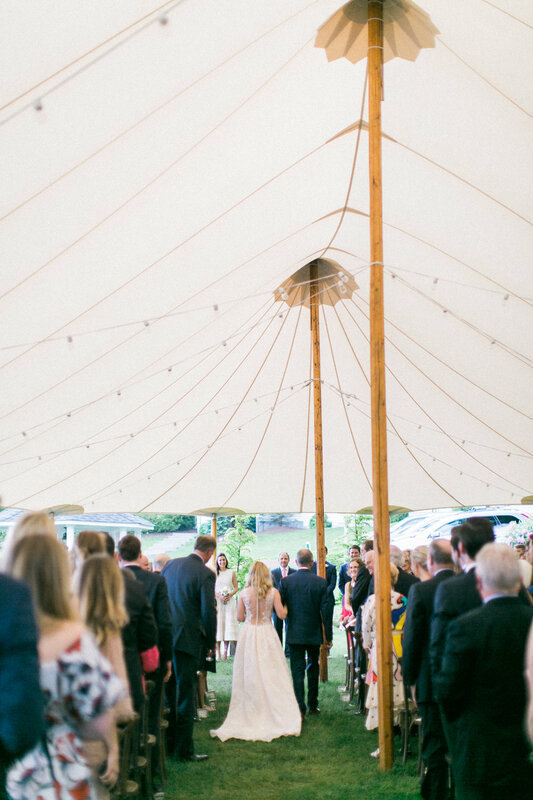 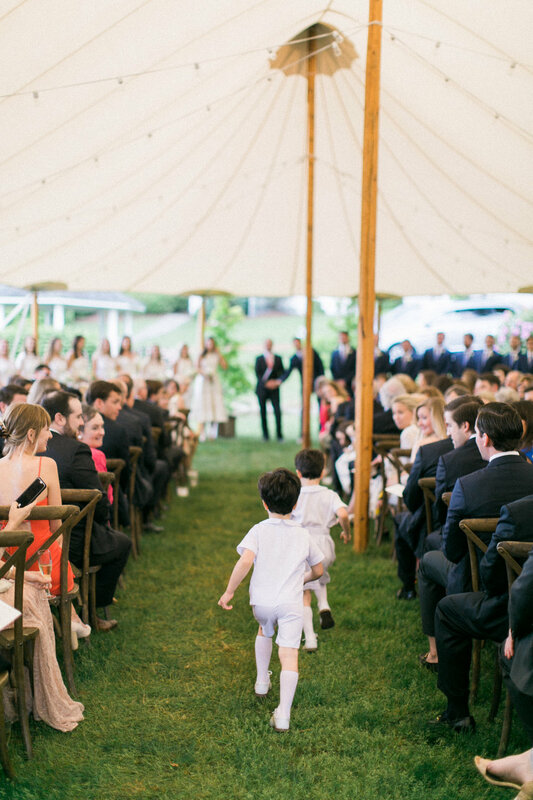 They moved their ceremony into the Evergreen Room at Chetola Resort in Blowing Rock and then danced the night away under the big tent! 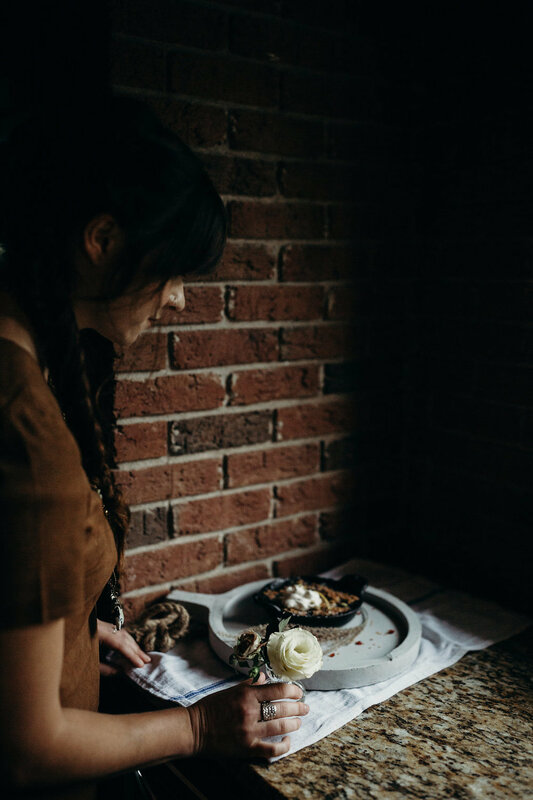 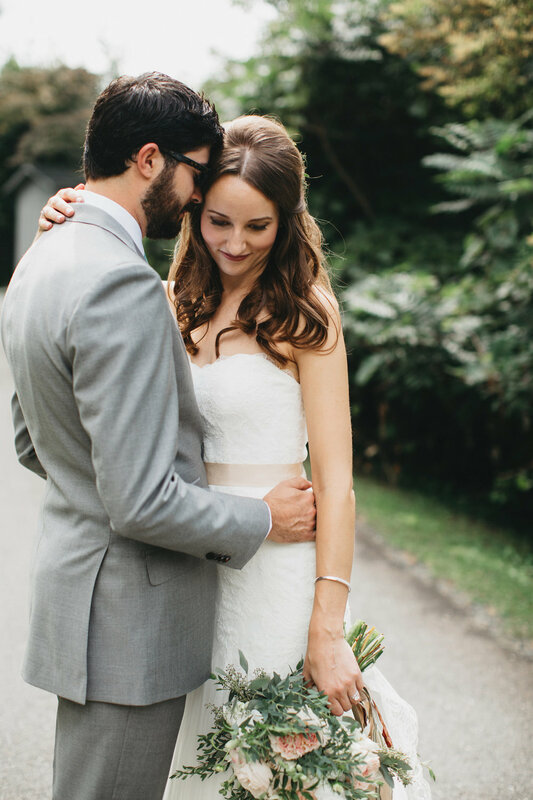 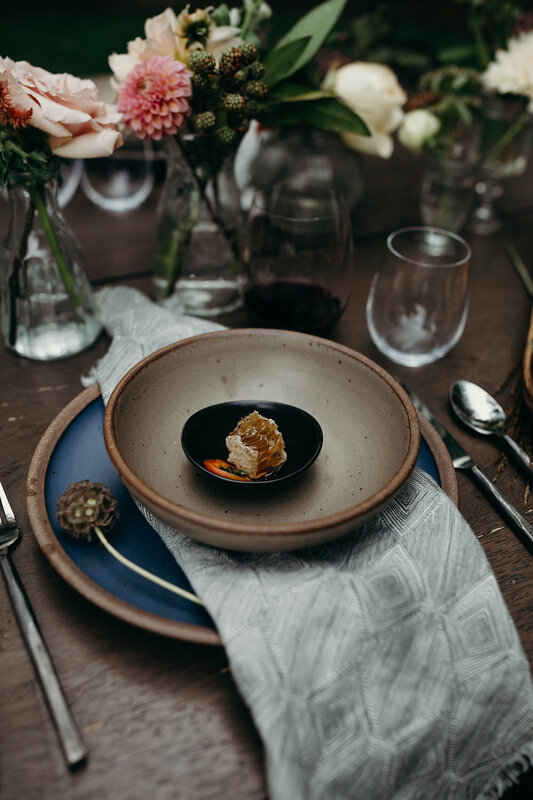 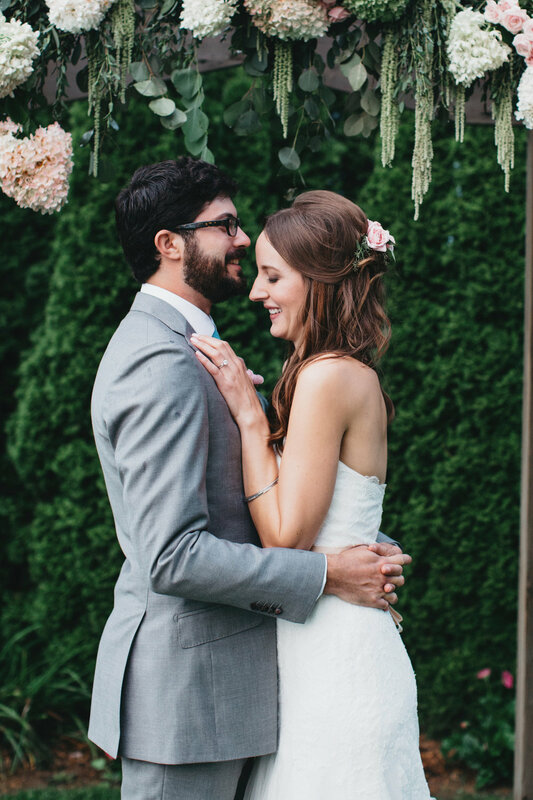 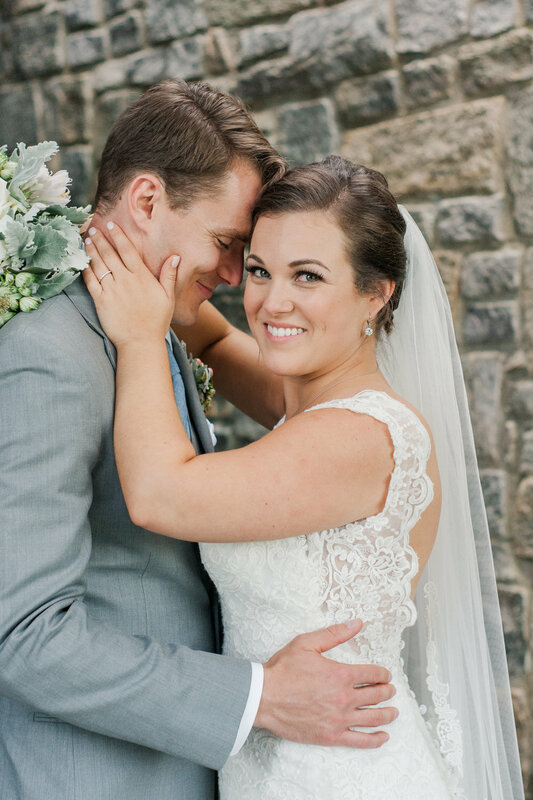 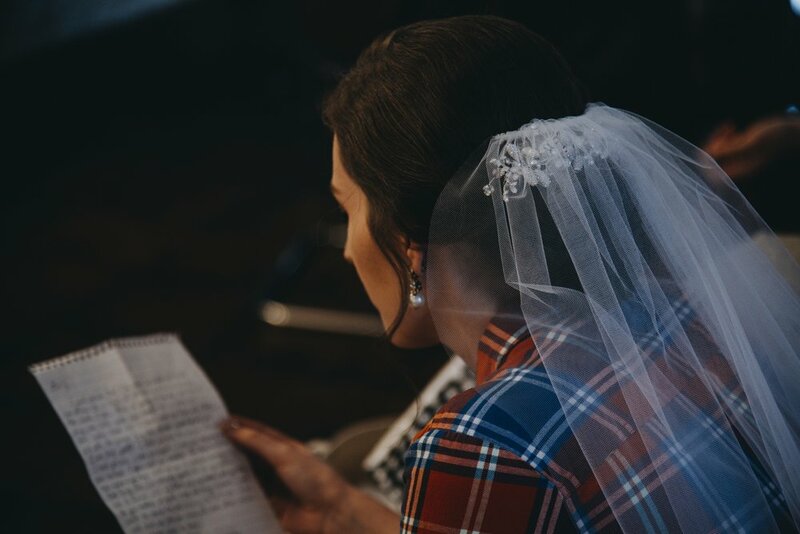 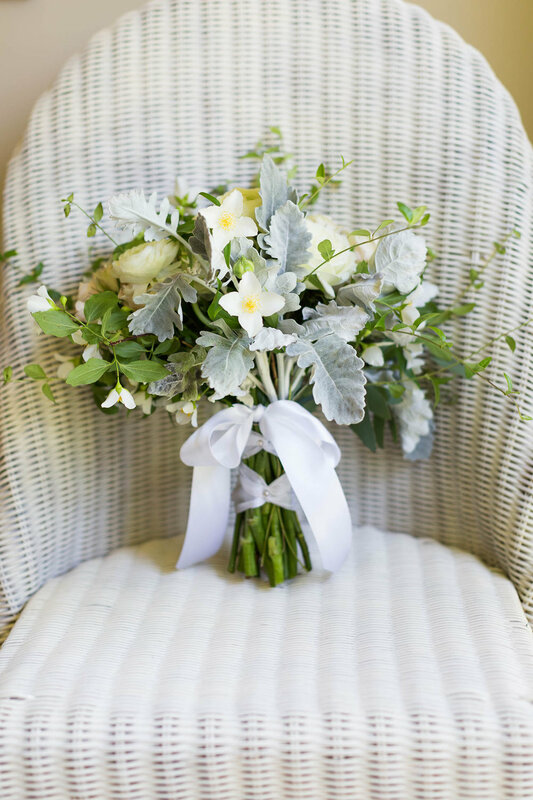 Amy, a writer and anglophile wanted her wedding to have a simple and laid back, yet vintage feel with a little bit of British flair. 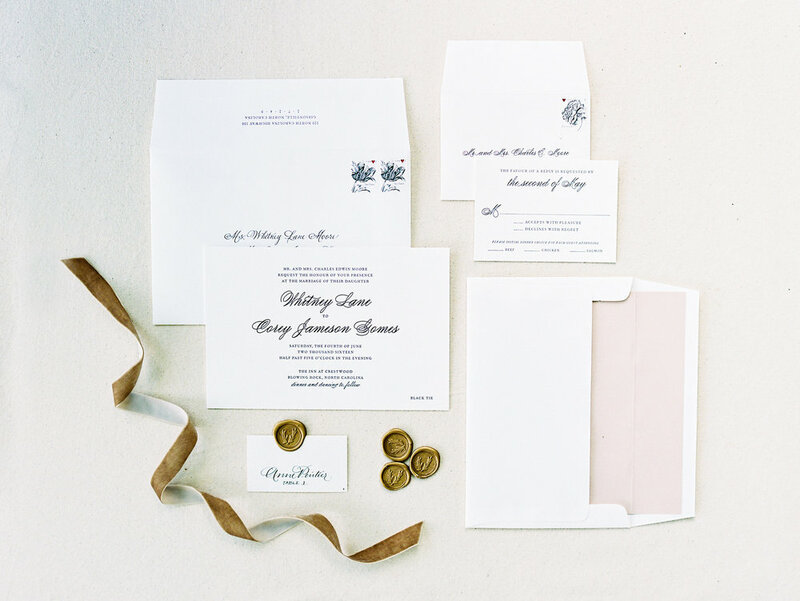 Fuschia Moss and Snow in July Designs fed off of each other to create a cohesive theme that had look of antiquity while also incorporated the colors of the changing seasons. 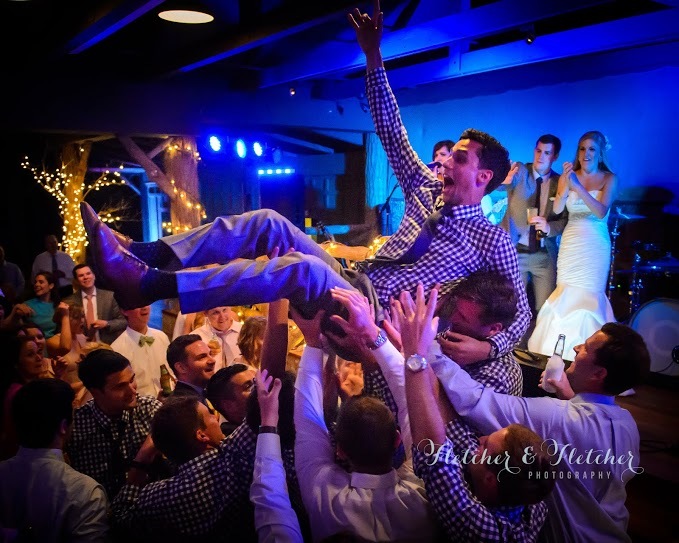 What Your Wedding Band or DJ Need From You! 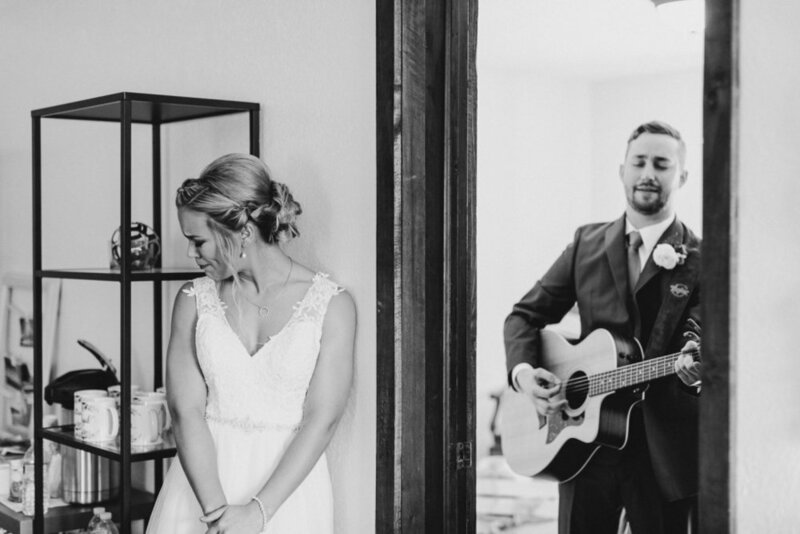 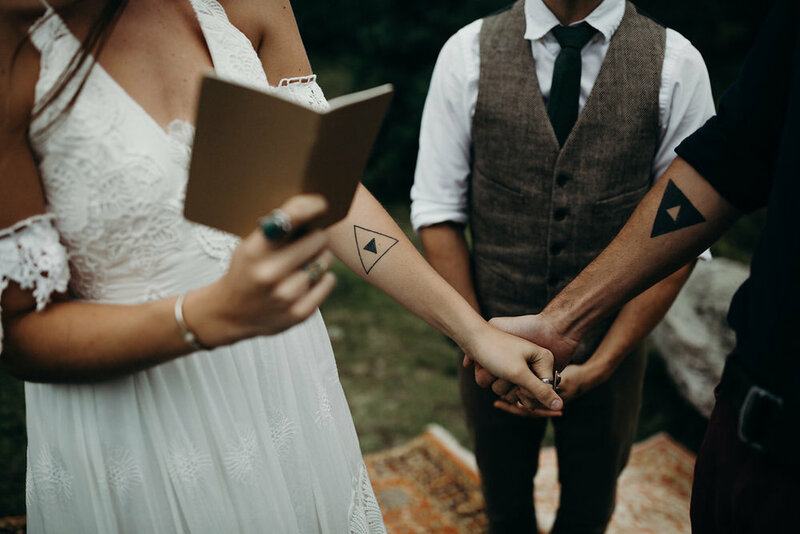 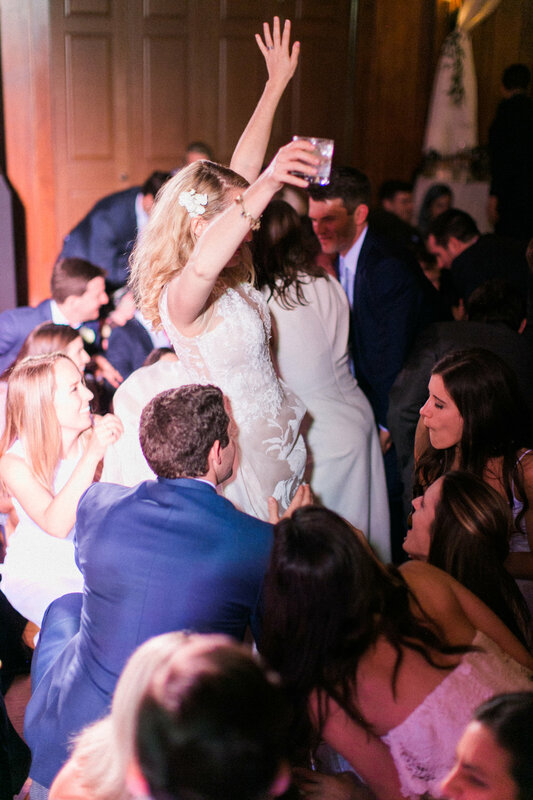 Your band and DJ aren’t mind readers and everyone has different taste in music so it’s so so important to communicate your wants and needs to your Wedding Band or DJ way in advance in order for your day to run smoothly. 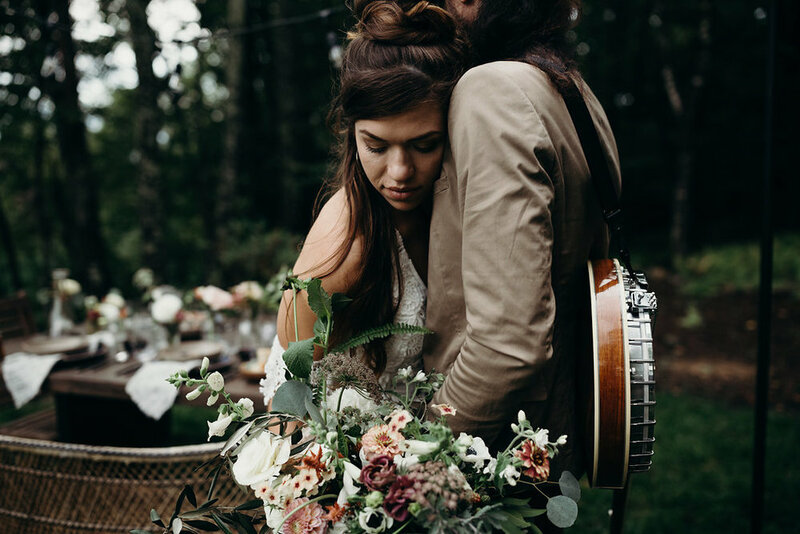 1 – Songs that you definitely want to hear as well as songs you definitely do not want to hear. 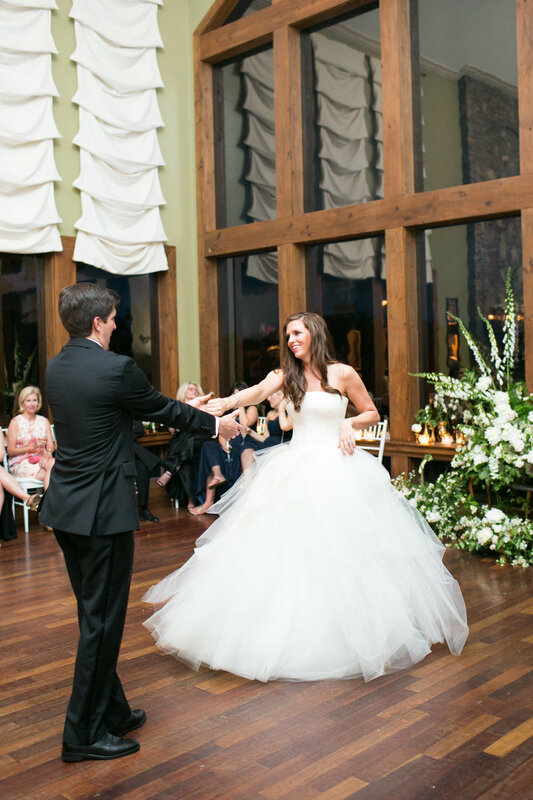 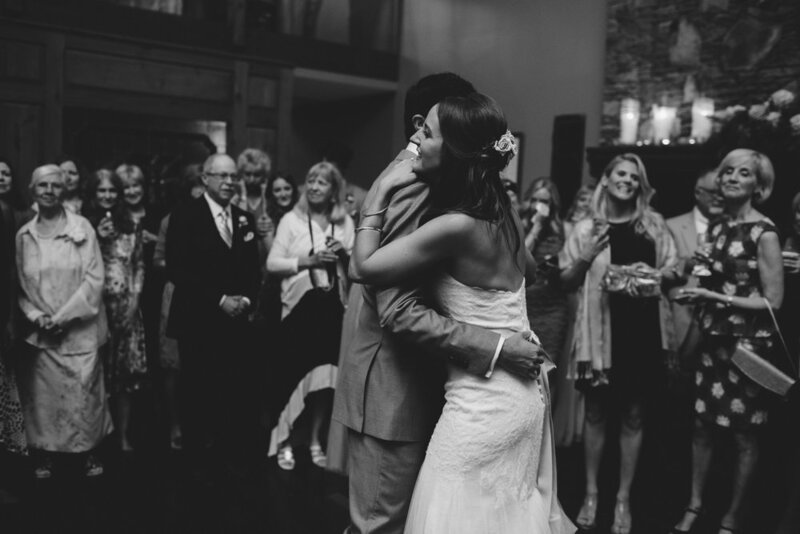 2 – Your 1st dances as well as a song for the announcement of the wedding party and or Bride and Groom. 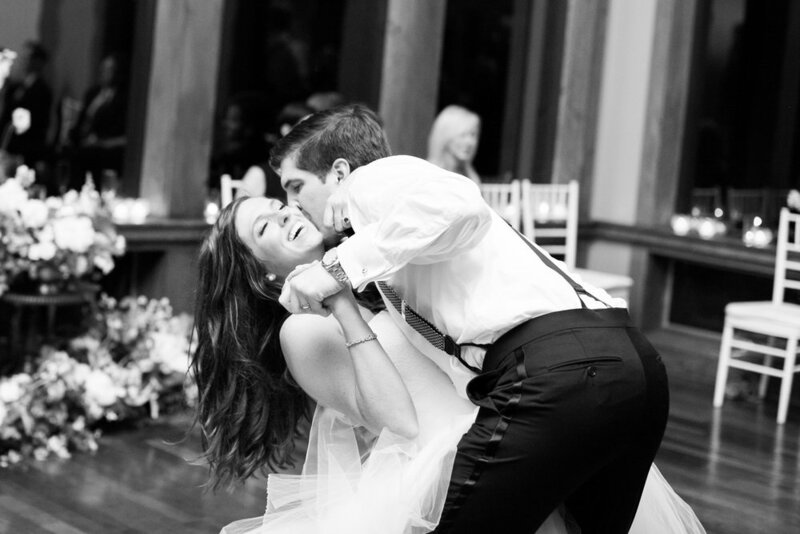 Choosing a last dance is always fun as well. 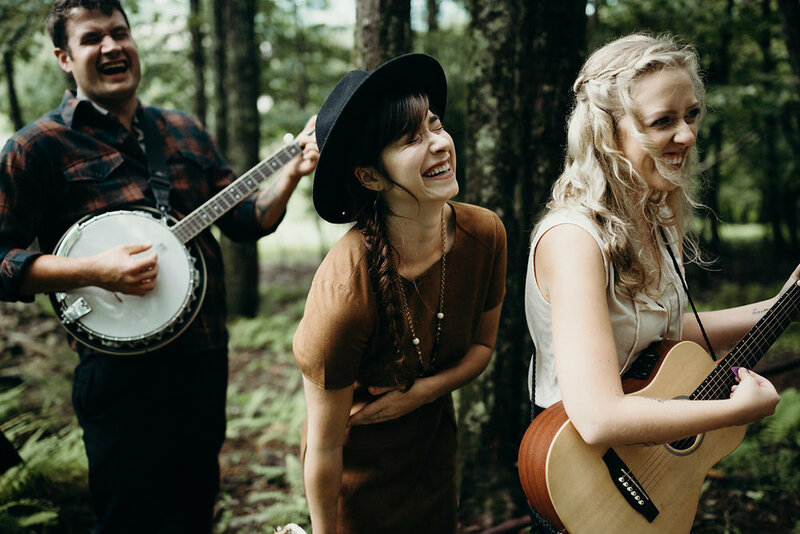 3 – Give a band ample time to learn any songs that you would like played that are not already in their repertoire. 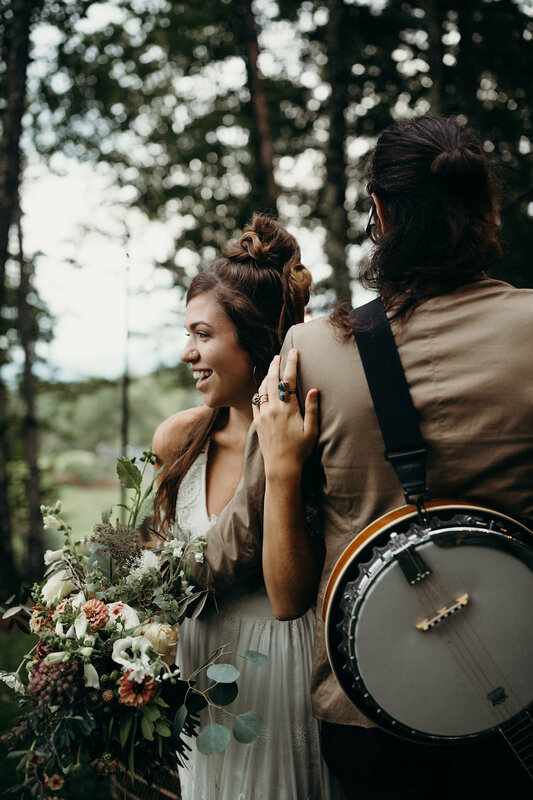 4 – Venue approval – Be sure that your venue meets all of the electrical, space and load in requirements that the band may need. 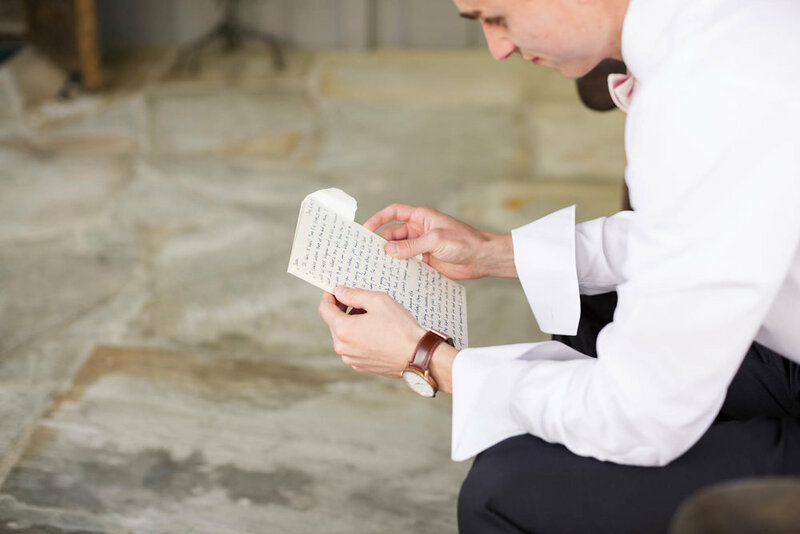 Also make note of any other special things in their rider such as food/water/beverages/changing room/accommodations etc. 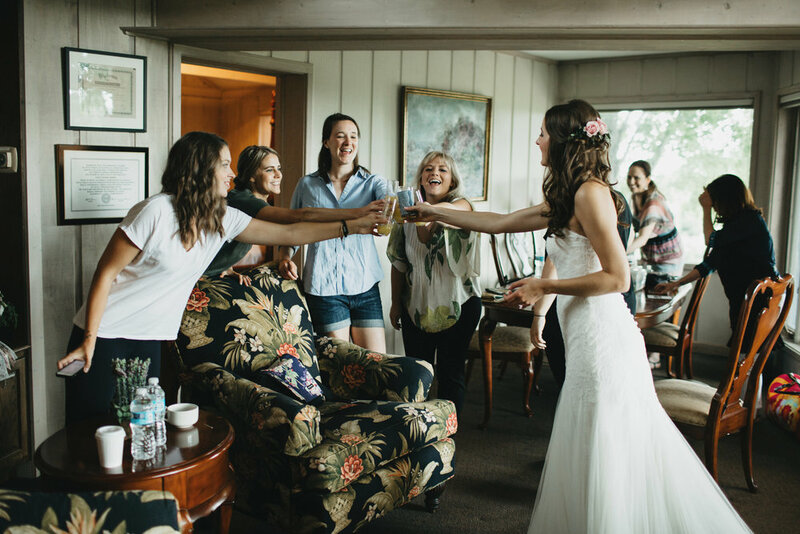 5 – Whether you are opening up the floor for toasts at all. 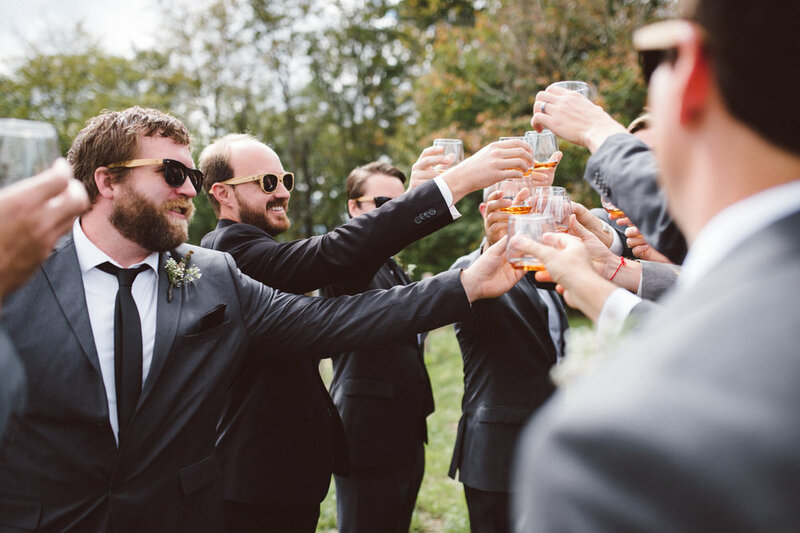 If you don’t want random groomsmen and aunts and uncles taking stage to “say a little something” let the band or DJ know and they will handle it so you don’t have to! 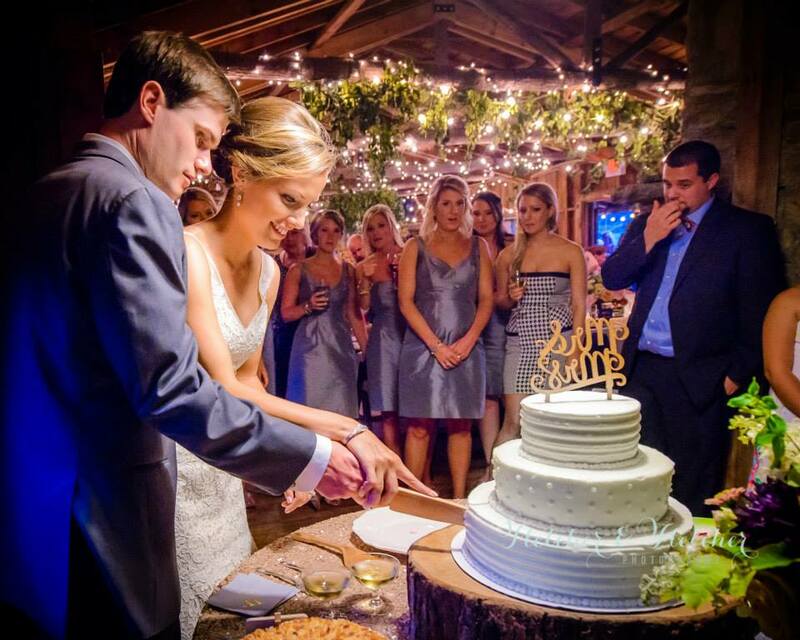 6 – Be sure to provide them with a detailed timeline of what the evening will look like, making note of cake cutting/1st dances/bouquet and garter etc. 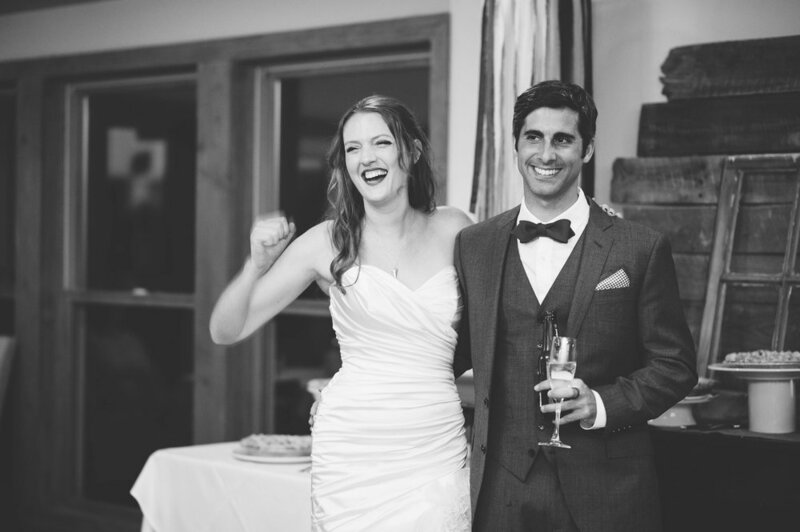 Be sure to work it out beforehand if you would like for them to act as a Master of Ceremonies and make announcements. 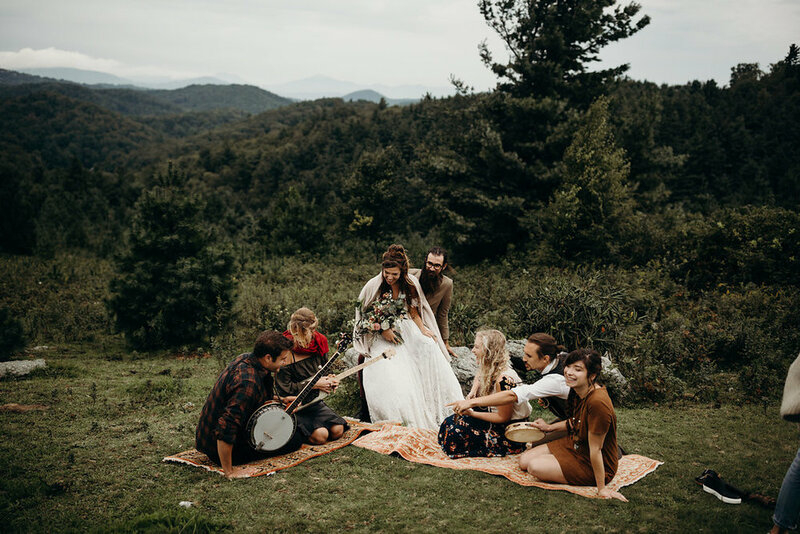 7 – Decide what music will be played during breaks. 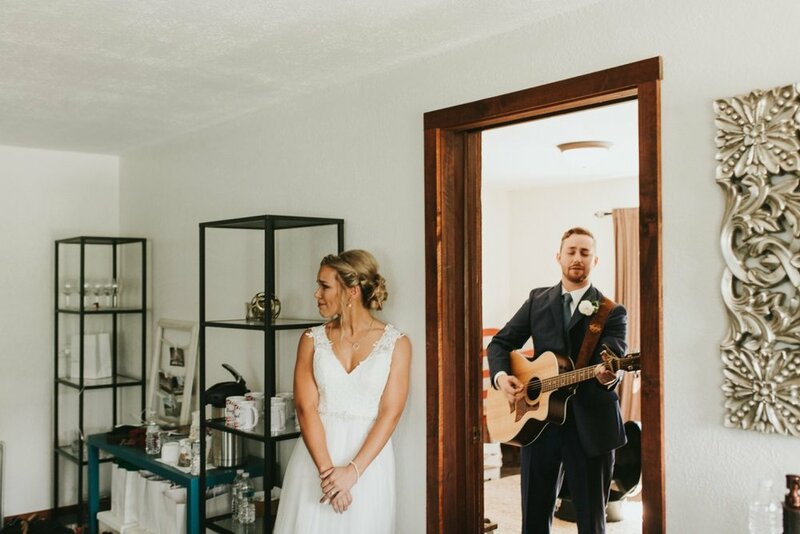 Will they just use their judgement and decide on a mix or will you give them one of your devices with a specific playlist to plug in? 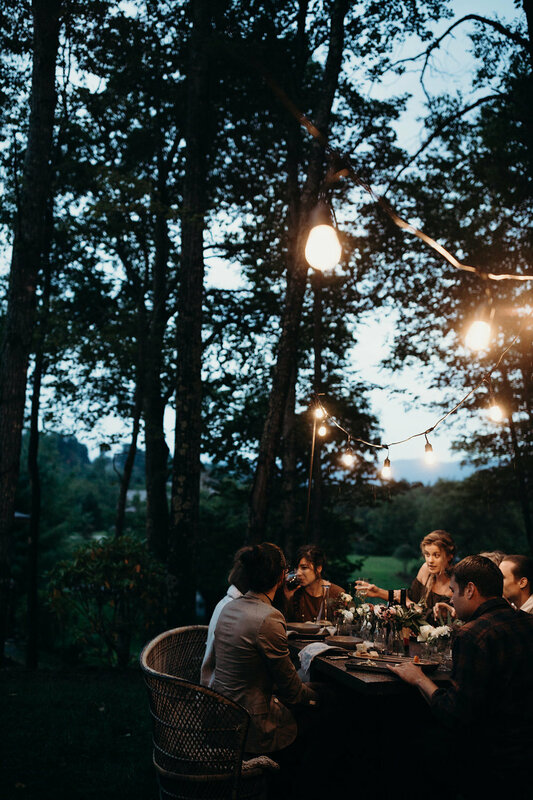 If so, make sure it is fully charged and it’s not a bad idea to have that playlist shared to an extra device just in case. 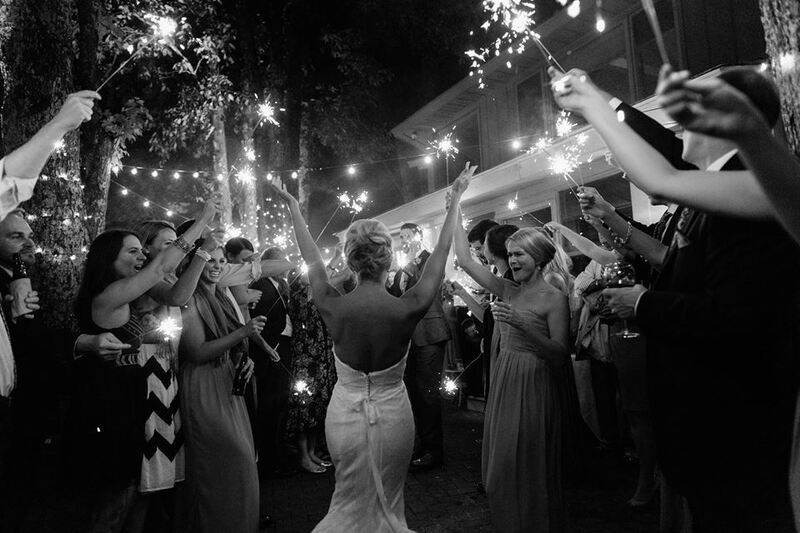 8 – Make sure that they have GOOD directions to the venue. 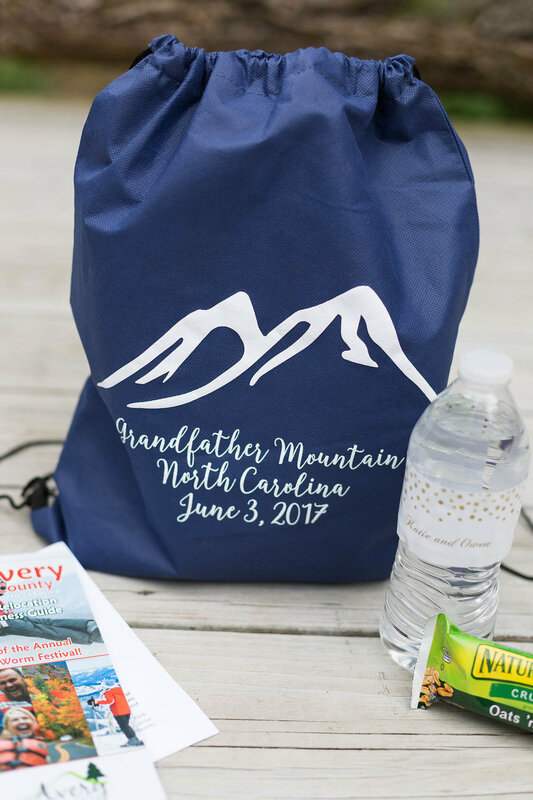 That’s more important here in the NC mountains than it is in more populated areas where GPS actually works. 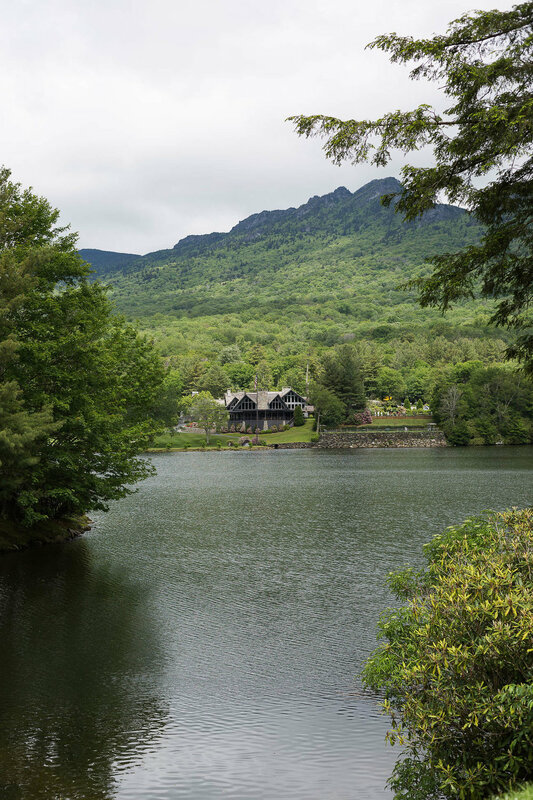 If google maps or the GPS does not give them the right directions, let them know that so they don’t just mindlessly plug it in and roll… Also, if they aren’t from the Boone/Blowing Rock area, they may not know to allow ample travel time, especially during peak season. 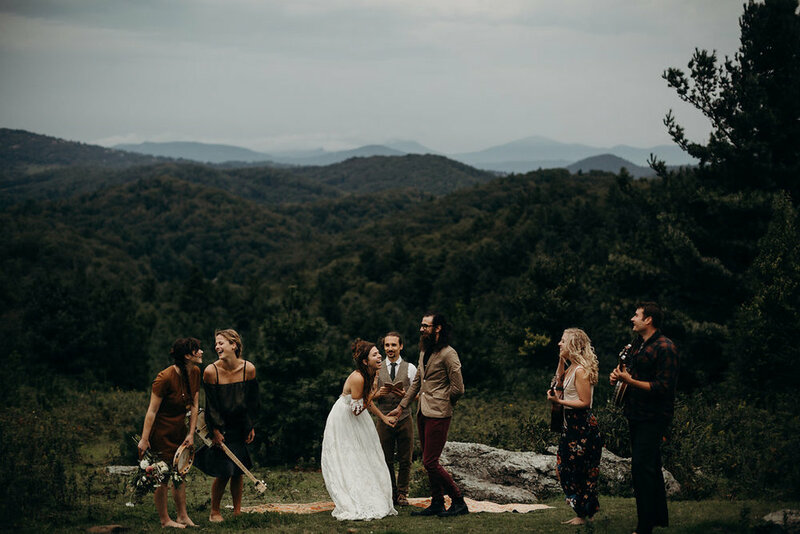 They also may think, “hey the venue is only 15 miles from Boone” and not realize that sometimes 15 miles translates into 45 minutes. 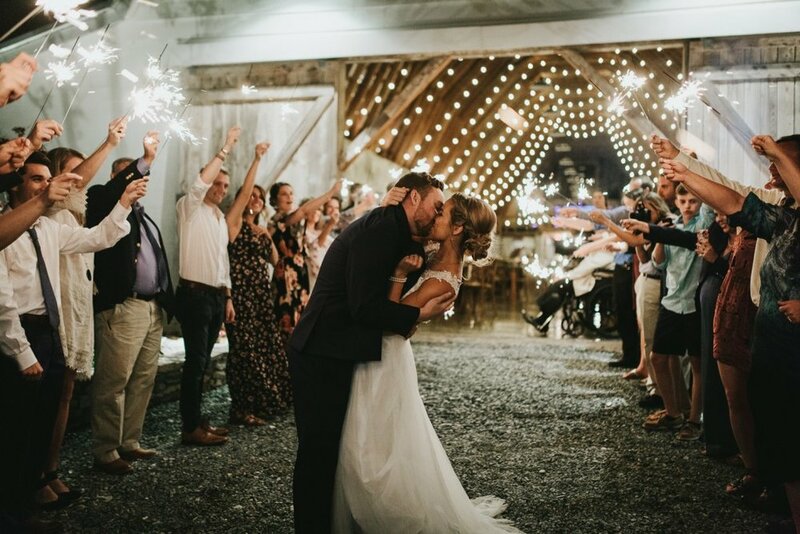 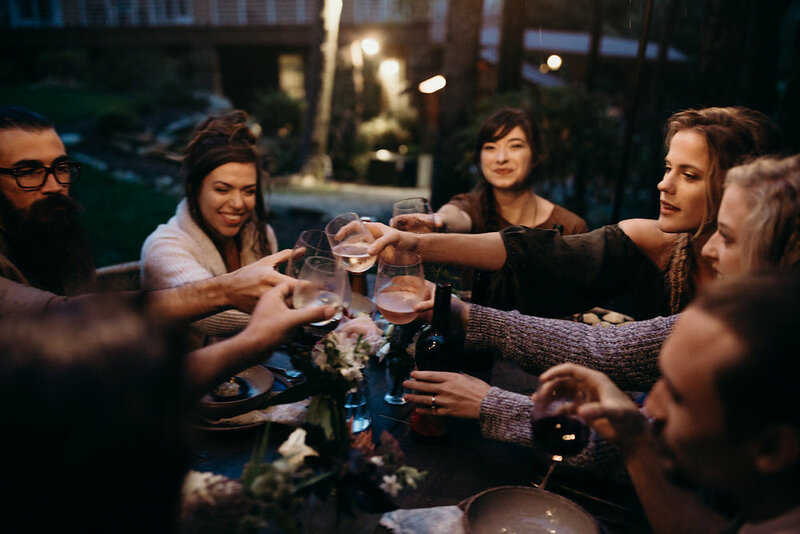 9 – If you are announcing the wedding party and bride and groom, provide them with the order that everyone is coming in and help them with any difficult pronunciations. 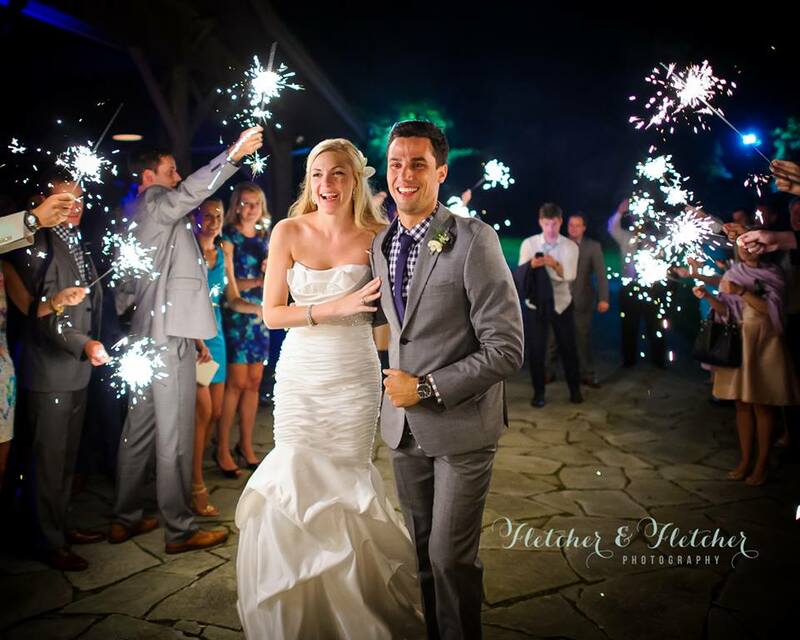 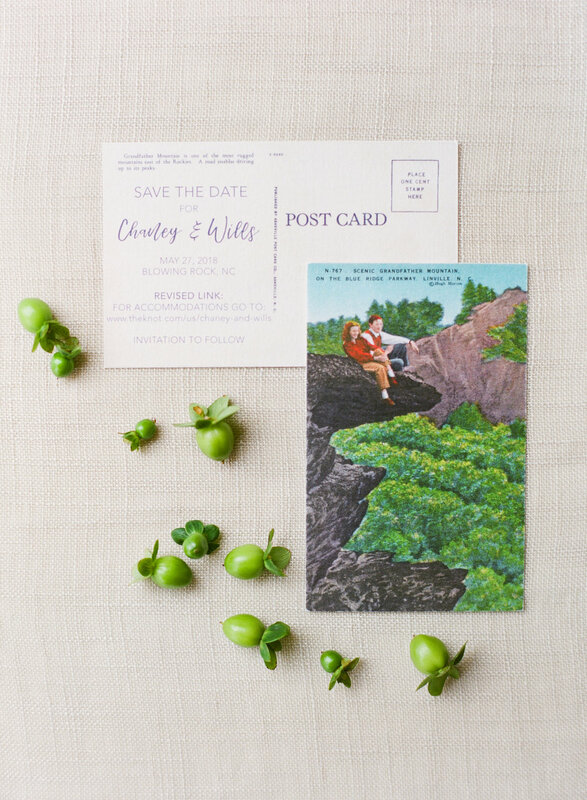 Also tell them how you would like to be announced – Mr. and Mrs. John Smith…. 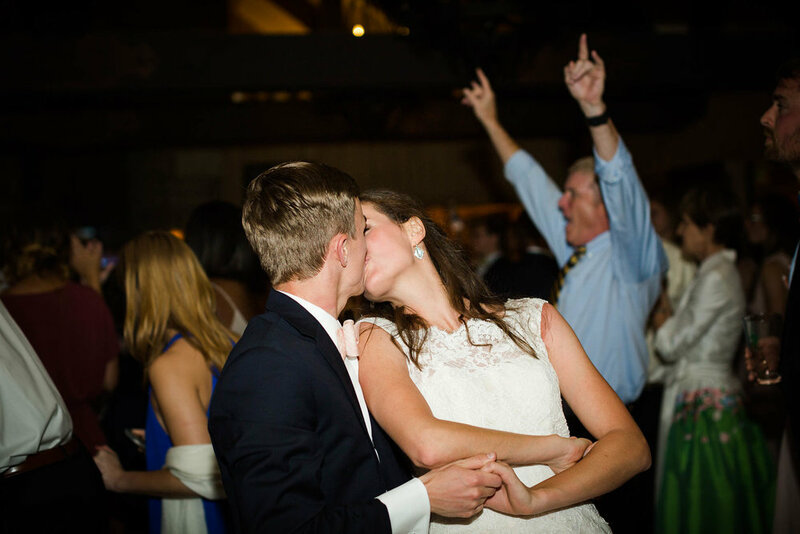 10 – And for the love of God, if you don’t want them to do the thing where the person that catches the garter puts it back on the person who caught the bouquet, please tell them!!! 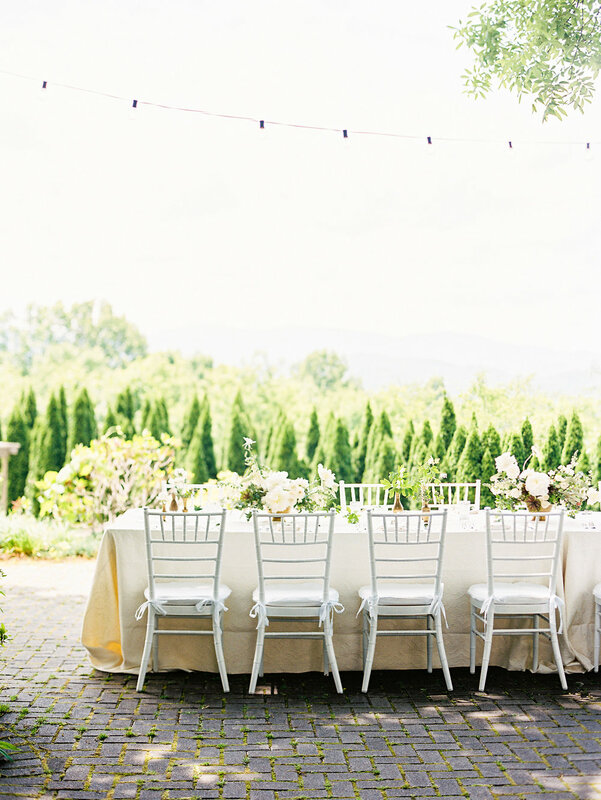 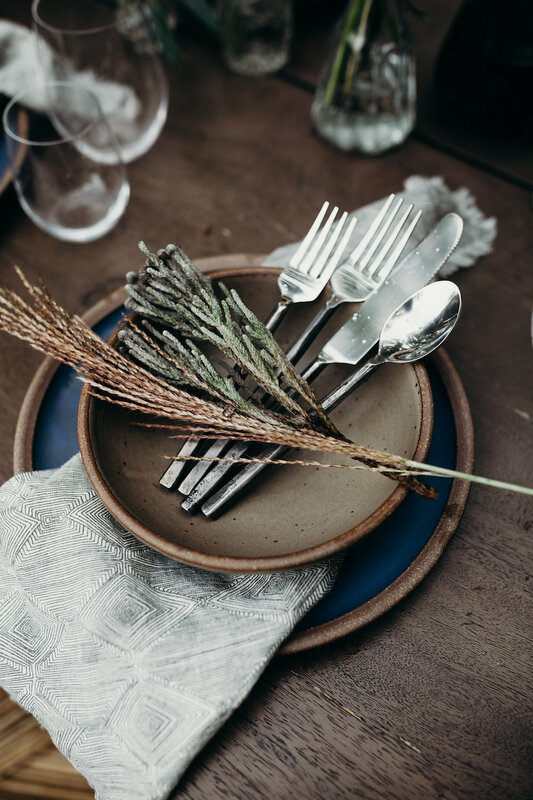 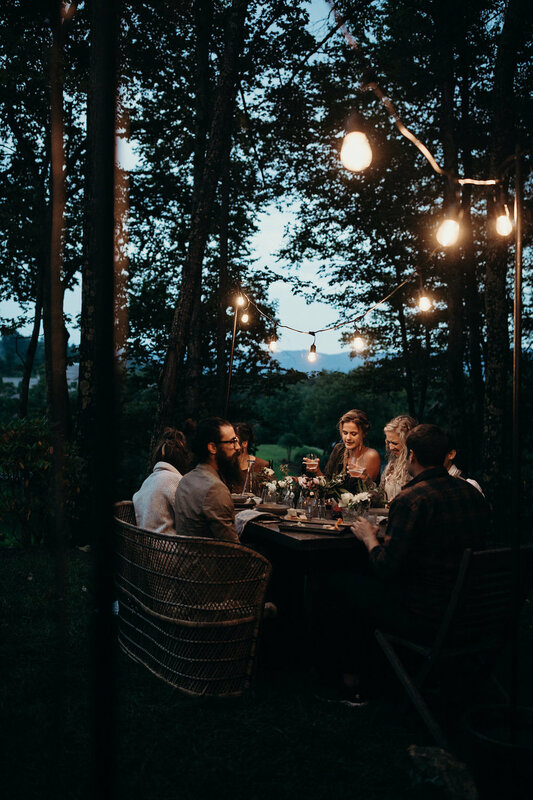 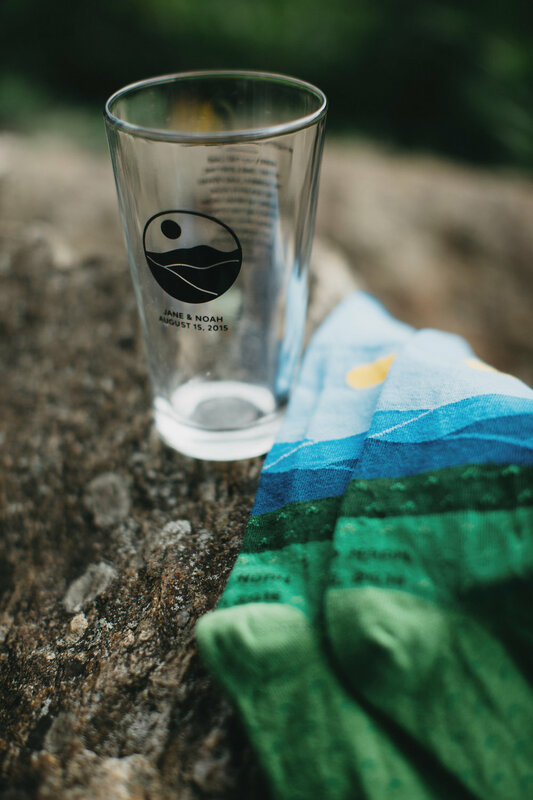 The Whole Shebang is a high energy force of design savvy worker bees loving life in the beautiful blue ridge mountains of North Carolina. 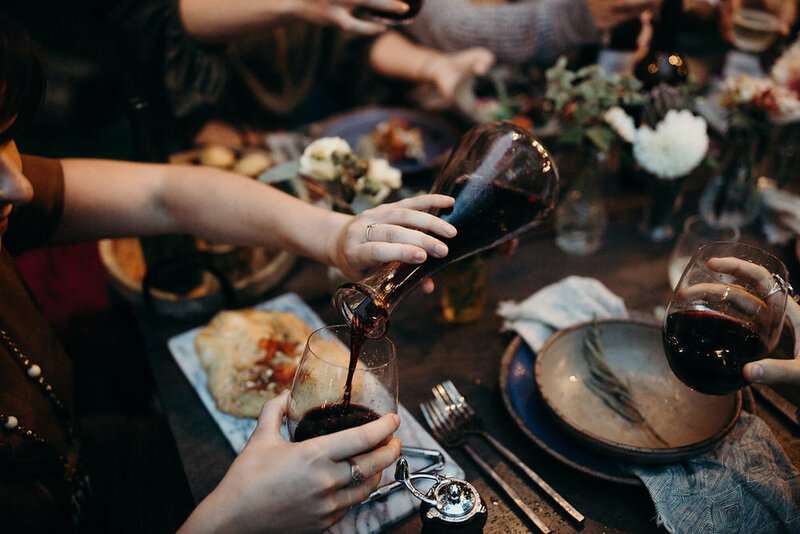 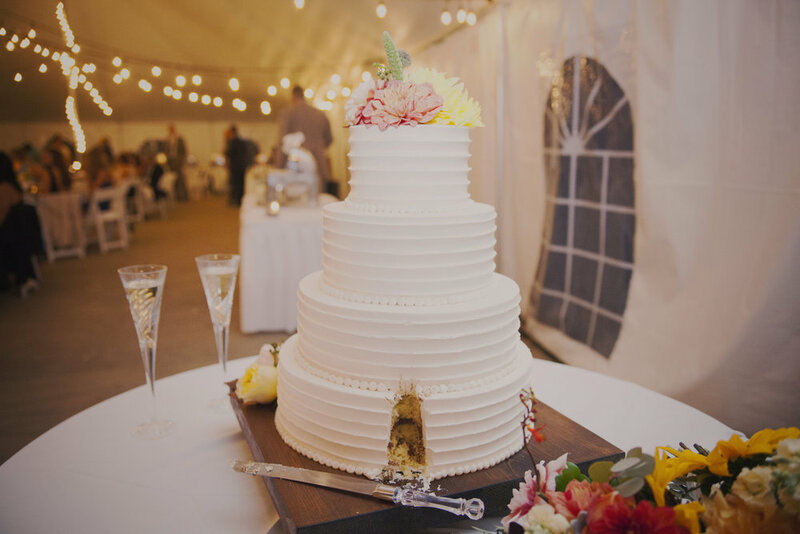 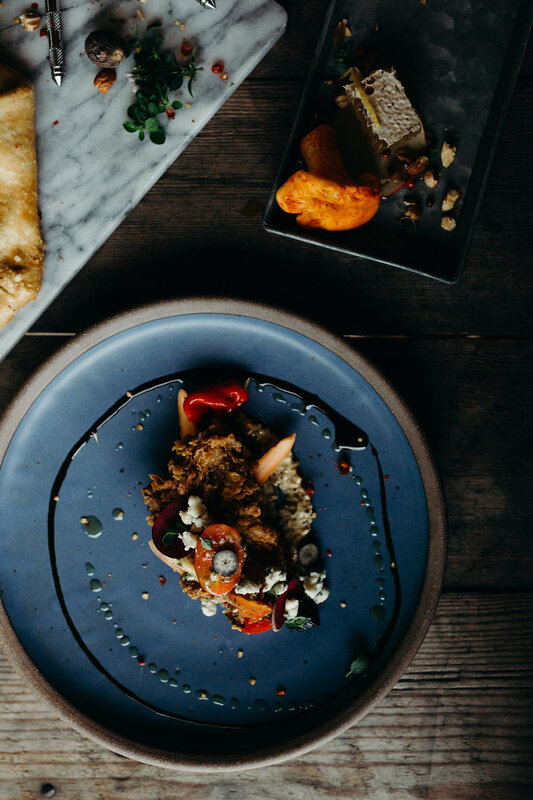 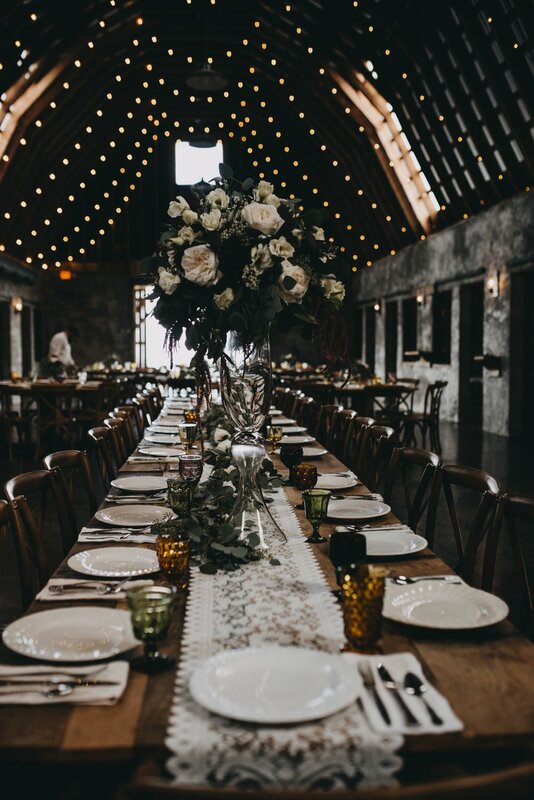 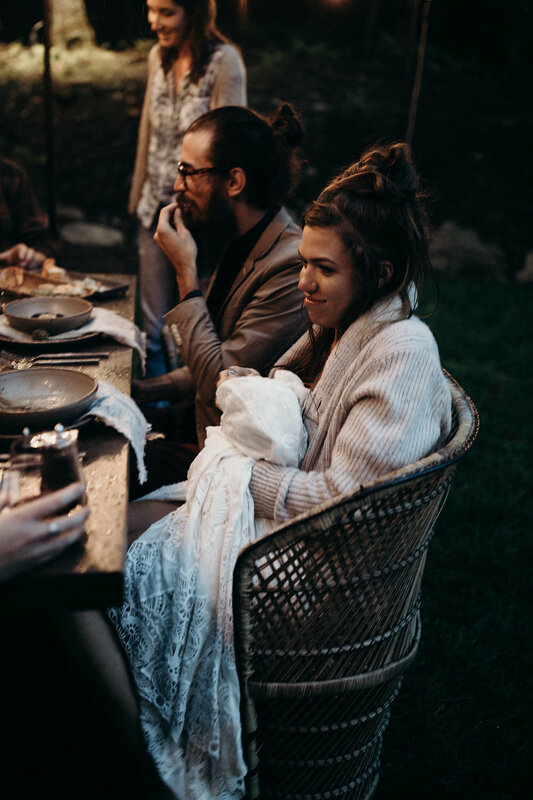 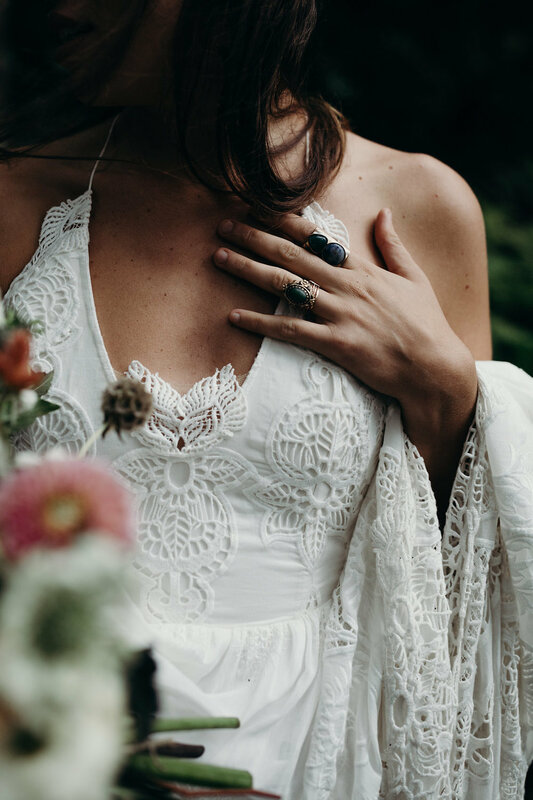 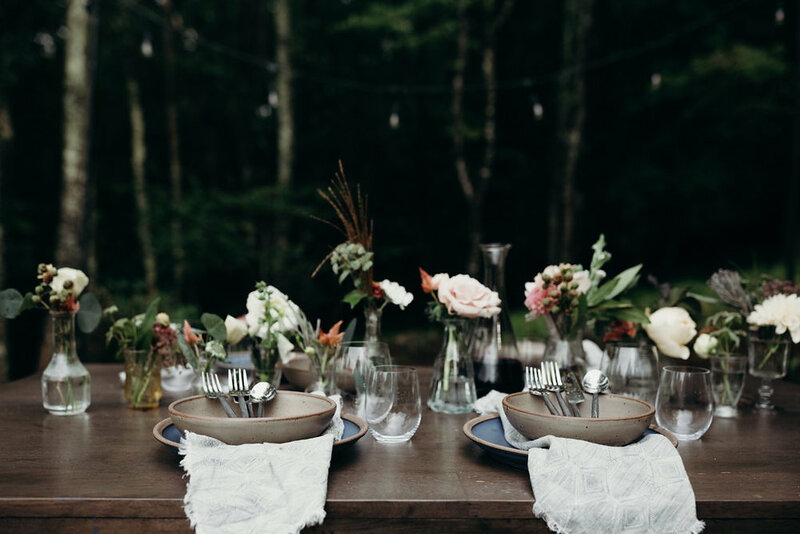 We embrace a wide variety of wedding and event styles ranging from Back Yard BBQs to Elaborate Super Fancy Soirees and everything in between! 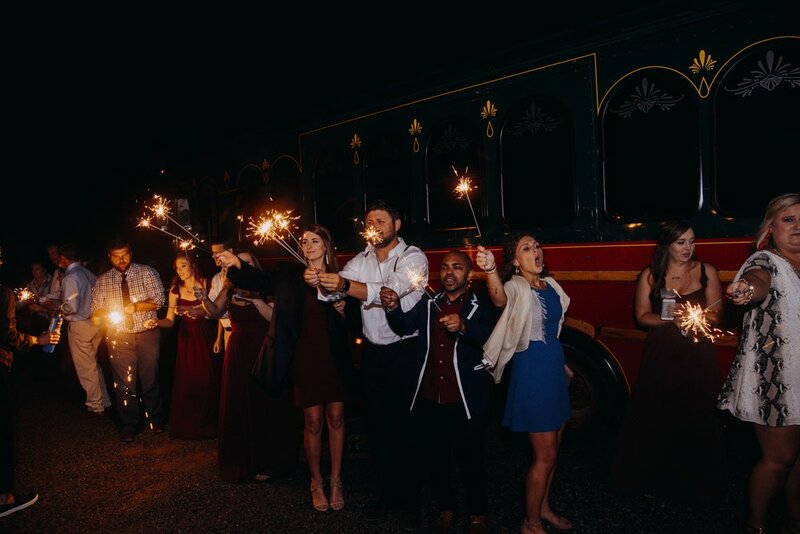 We truly love what we do and seek out creative fun loving couples who want to throw an epic party and make their wedding day as memorable as it is uniquely beautiful. 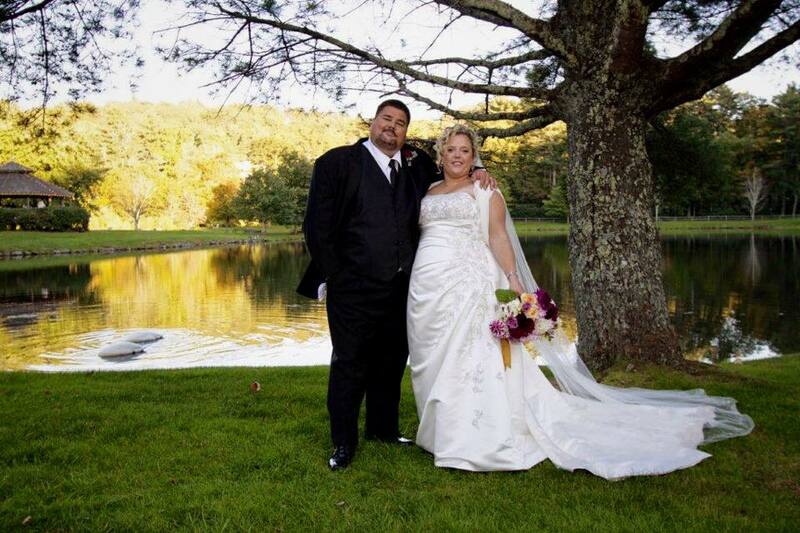 Servicing mainly the Western North Carolina mountain towns ofBoone, Blowing Rock, Banner Elk and surrounding areas.